Nestled between the St. Ann Mountains and the Caribbean Sea, Sandals Grande Riviera Beach & Villa Golf Resort features three unique vacation experiences in one: the vibrant beach culture of the Riviera Beach Club & Seaside, the chic Riviera Villa Suites located in lush tropical gardens; and the heart and pulse of the resort, the Riviera Great House with its fantasy pool all come together to create an unforgettable getaway. 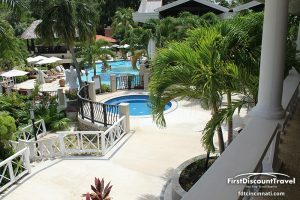 From championship golf and a renowned scuba program to gourmet dining at 15 specialty restaurants and private strolls along Ocho Rios' longest beach; from luxurious Butler Service suites with 24-hour room service to a full-service Red Lane Spa and unlimited land & water sports, this exquisite sanctuary offers something to tempt every guest. 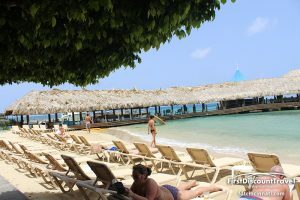 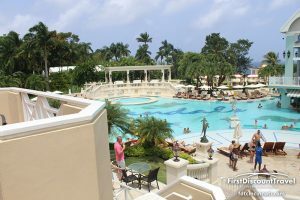 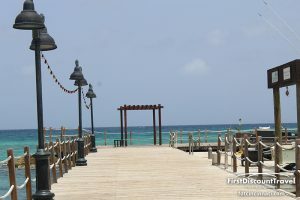 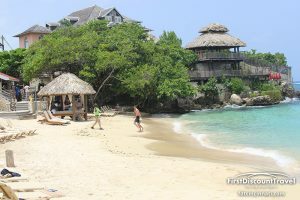 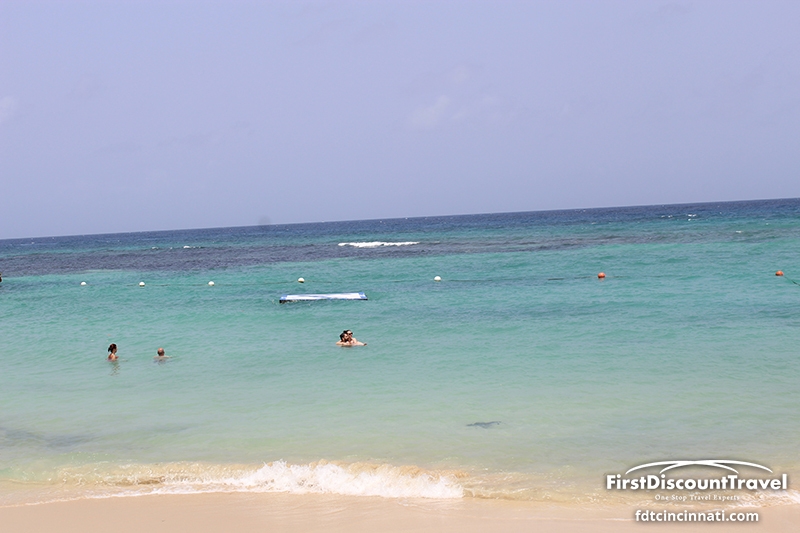 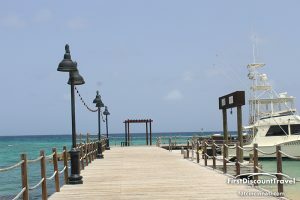 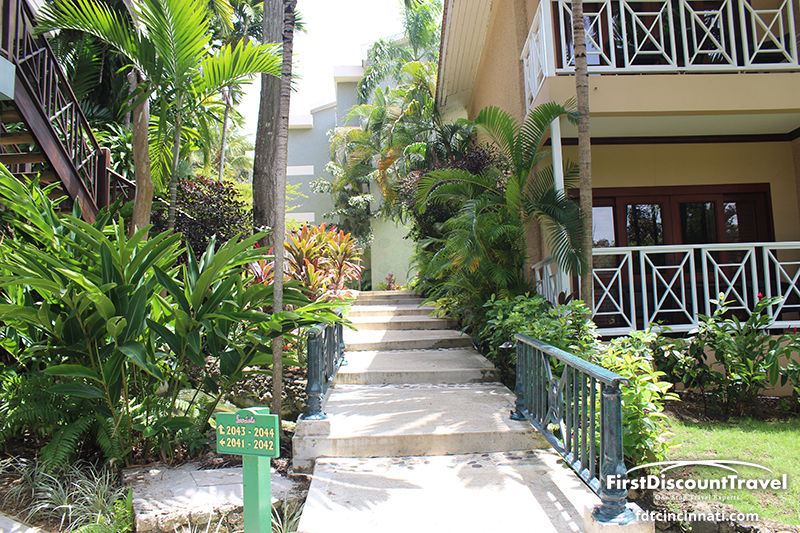 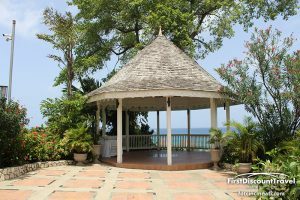 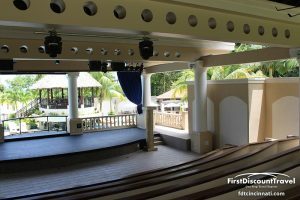 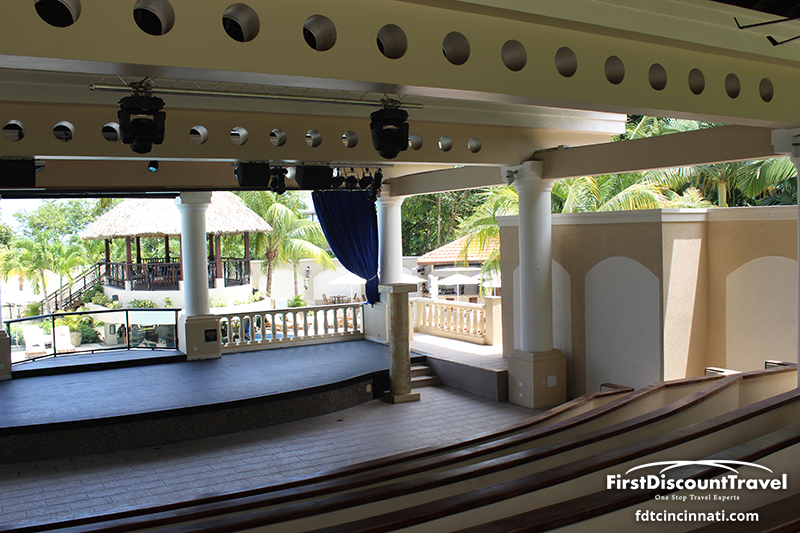 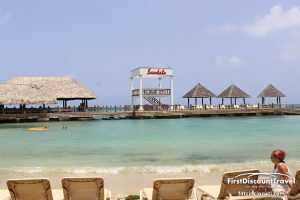 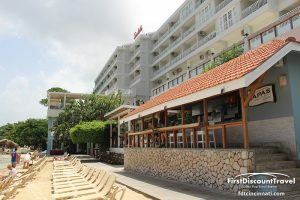 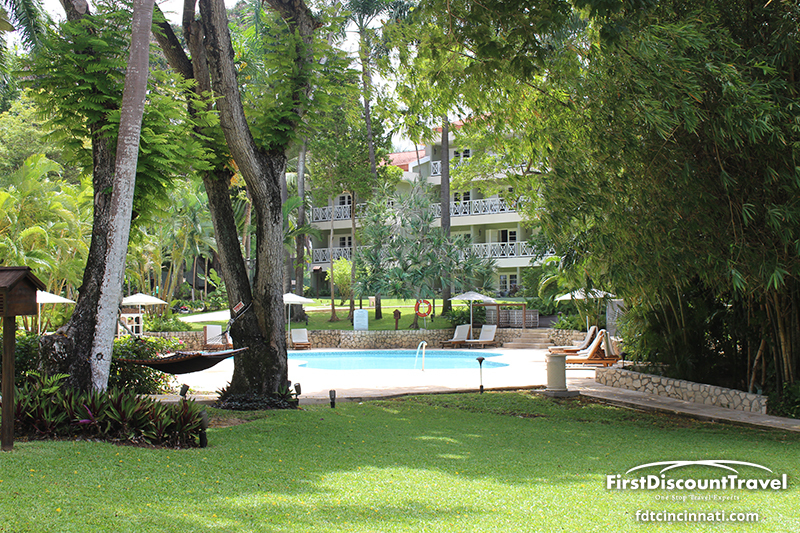 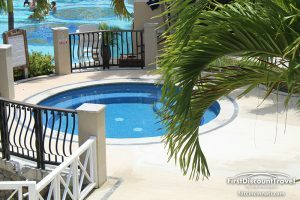 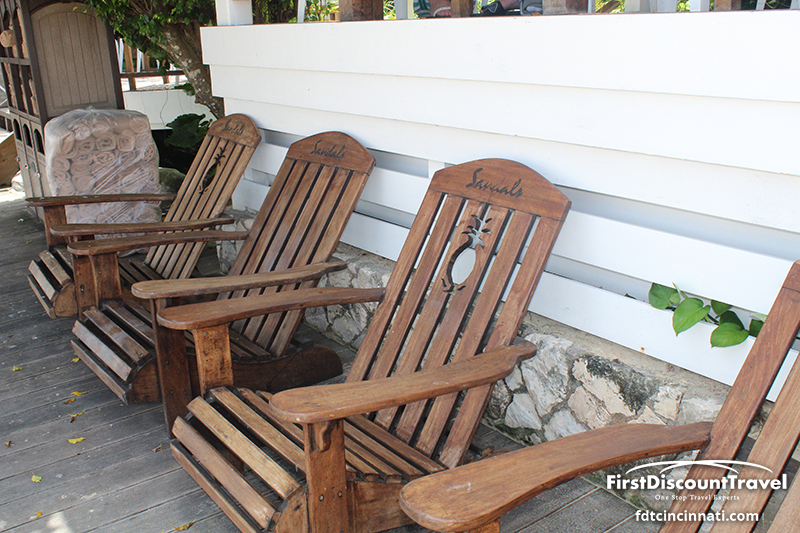 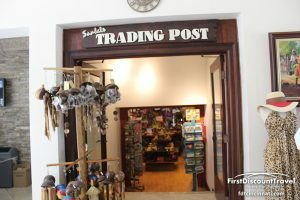 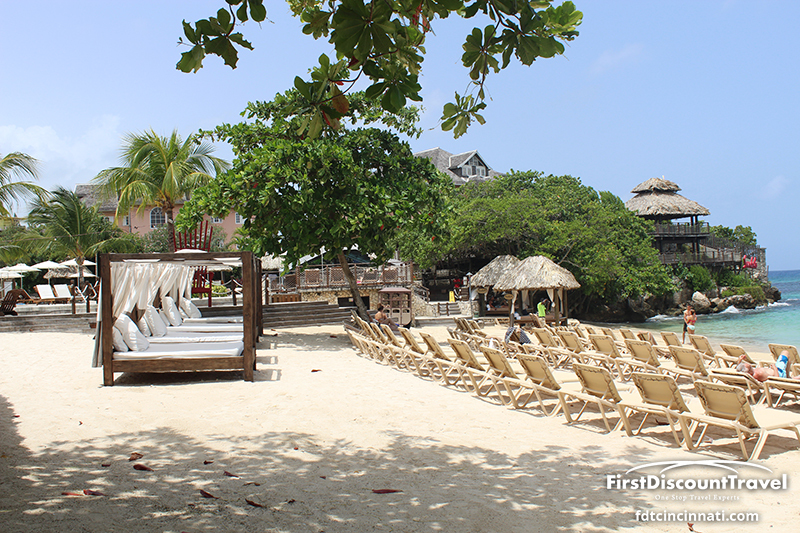 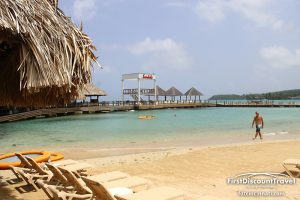 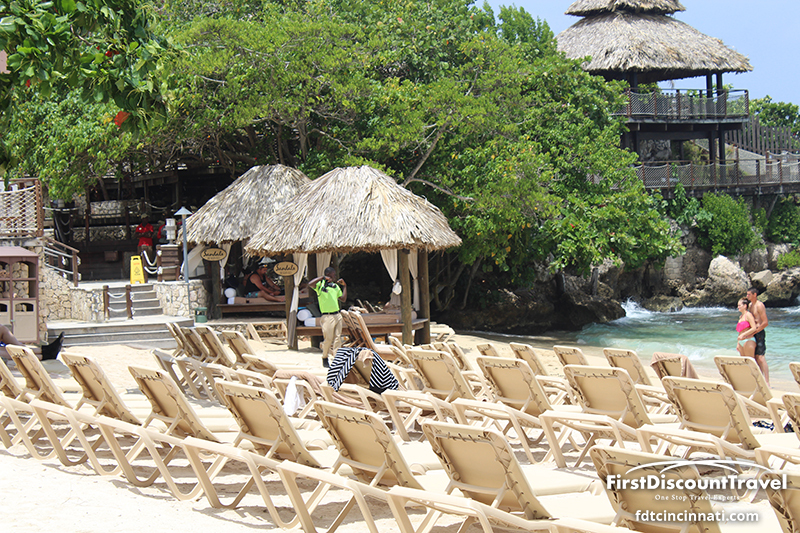 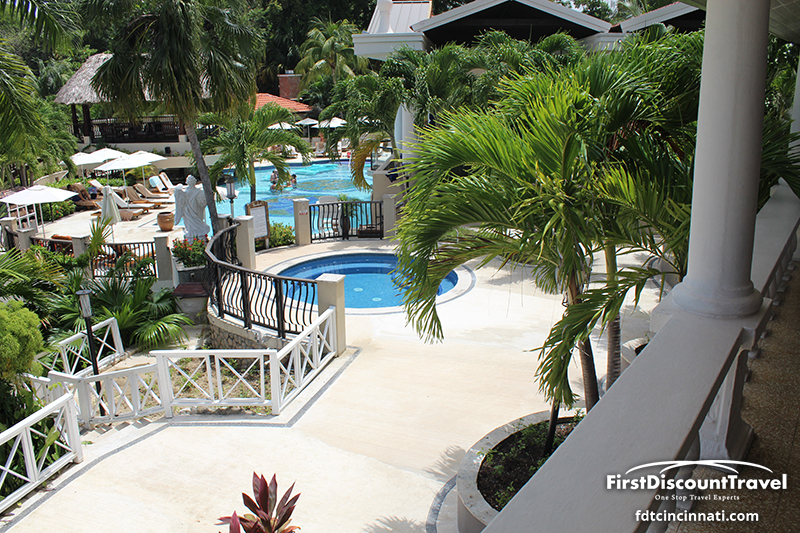 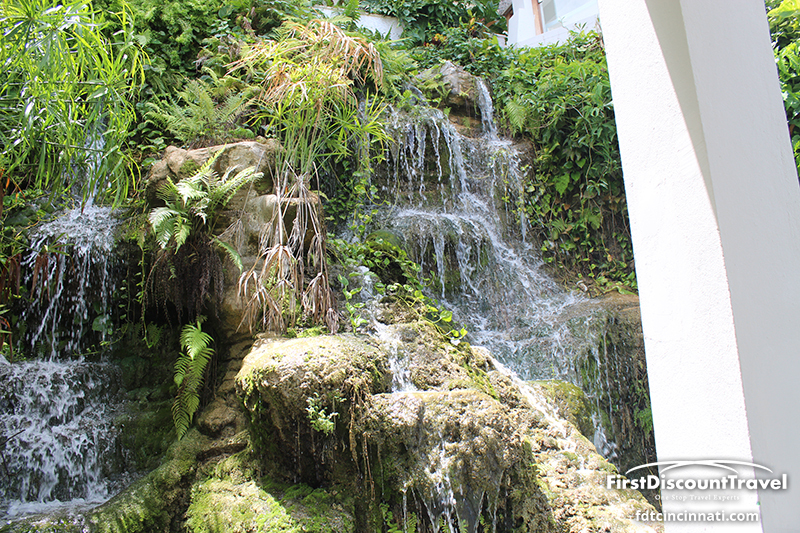 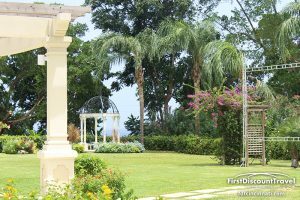 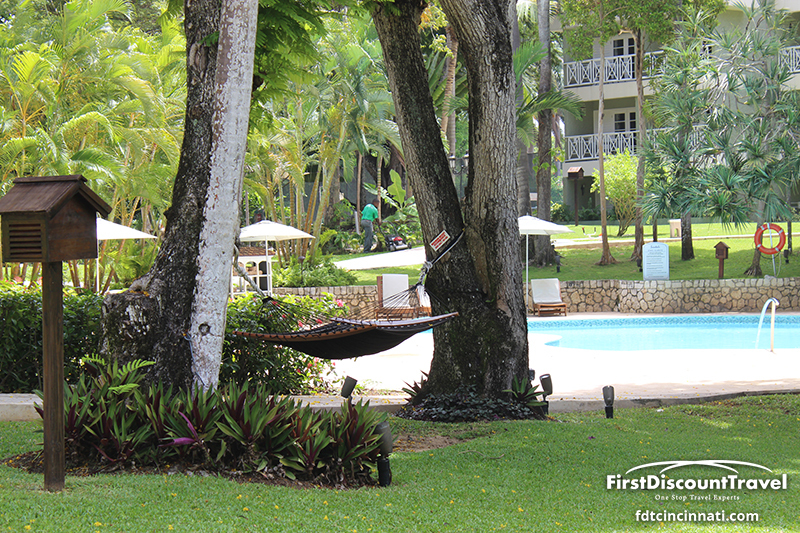 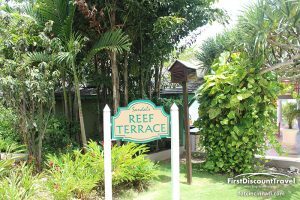 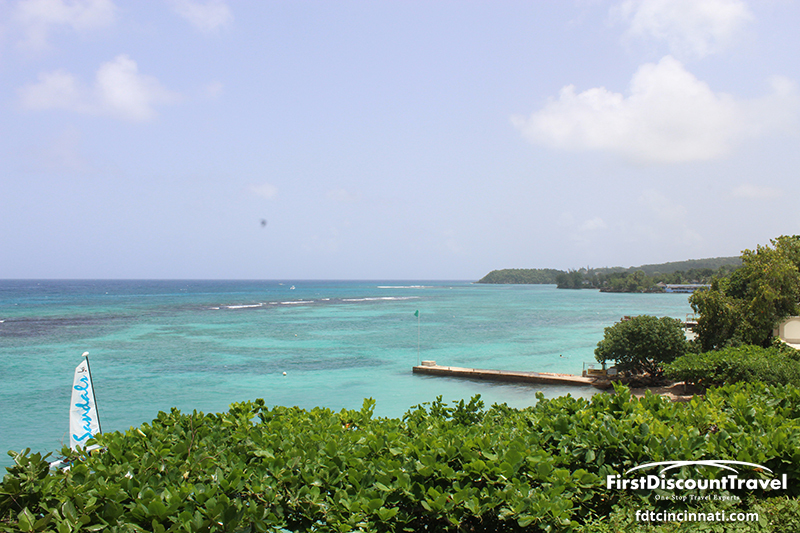 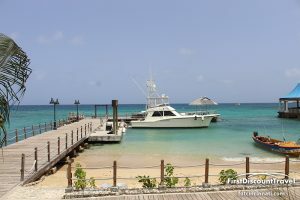 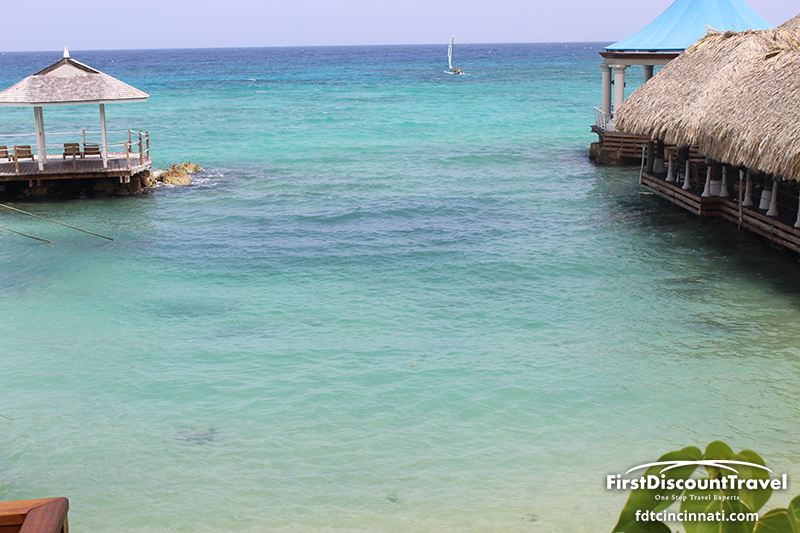 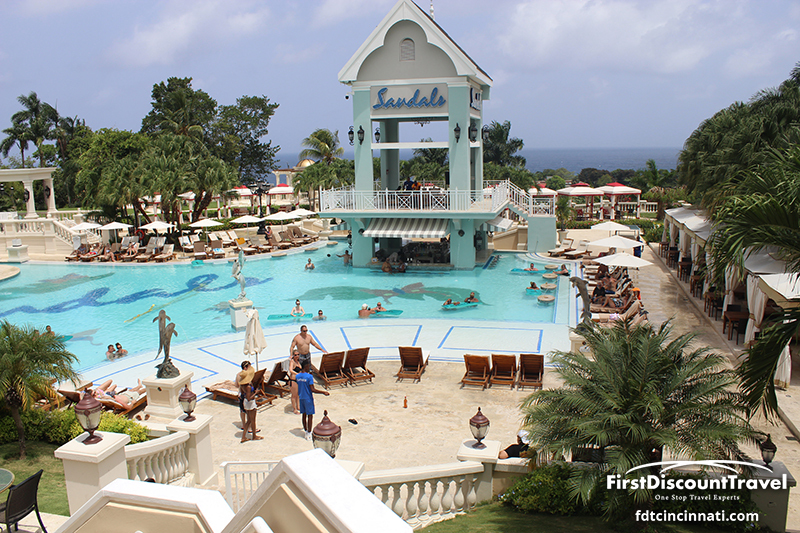 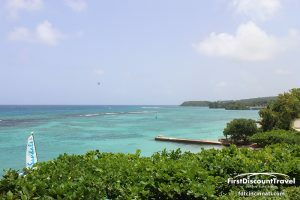 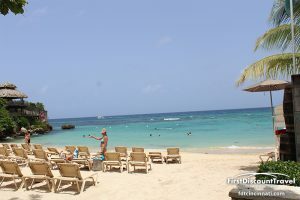 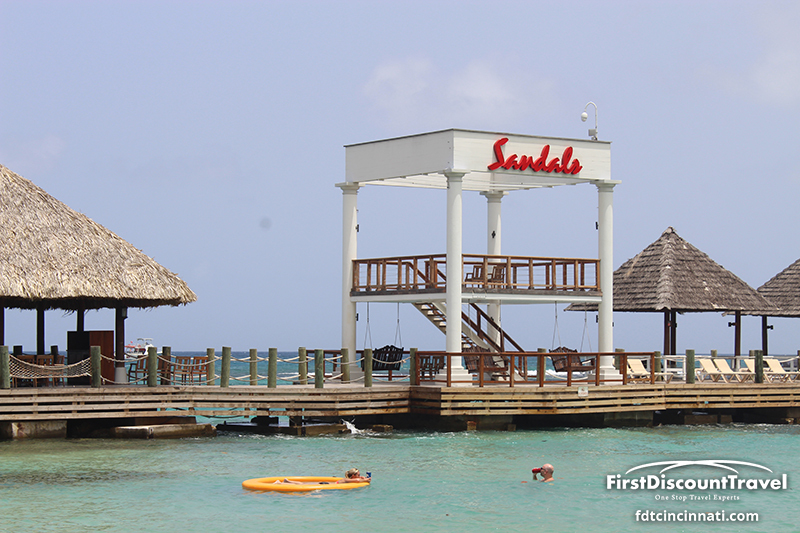 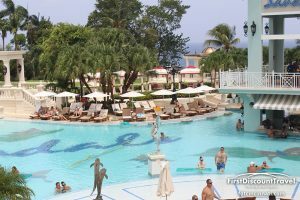 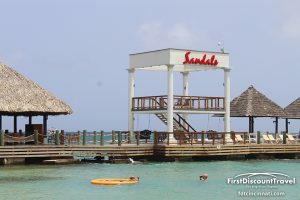 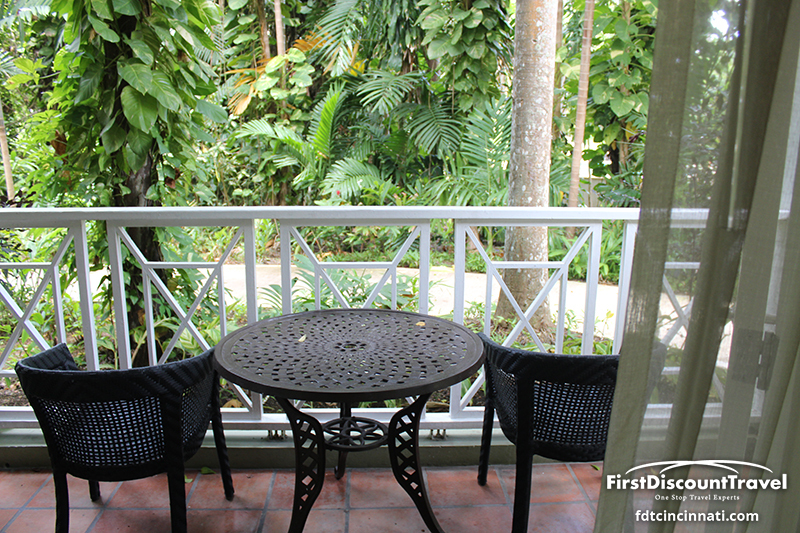 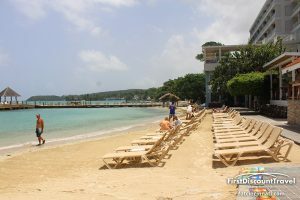 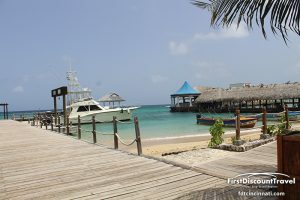 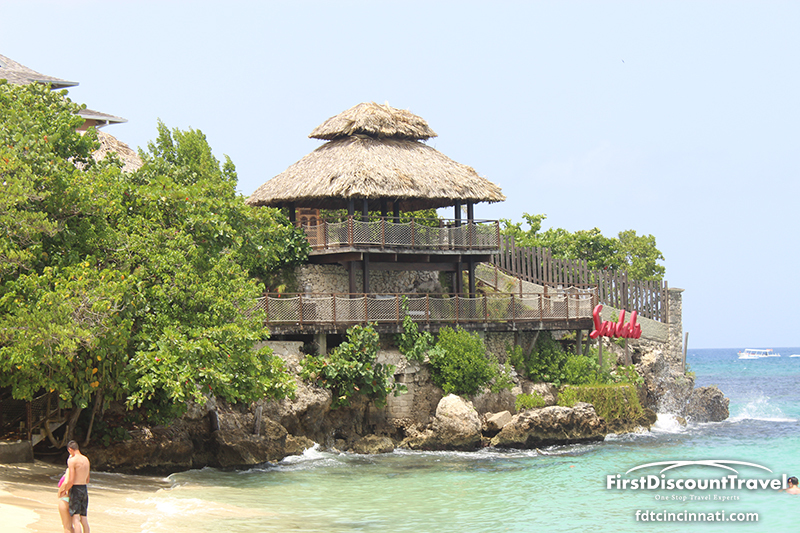 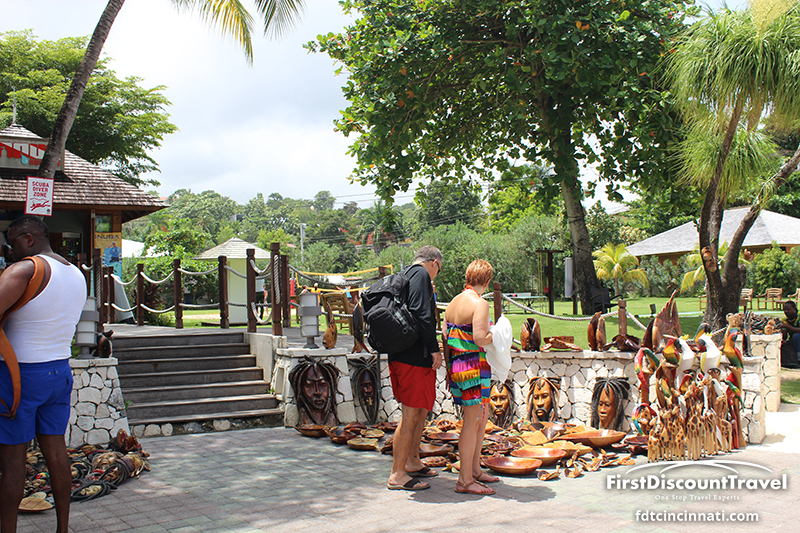 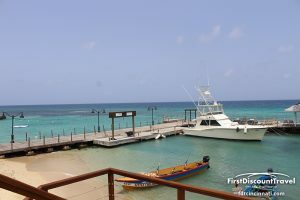 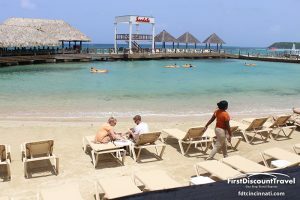 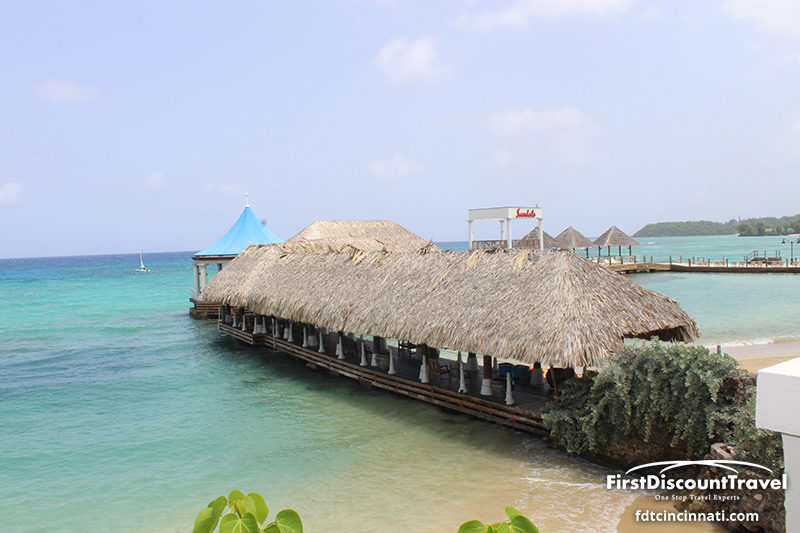 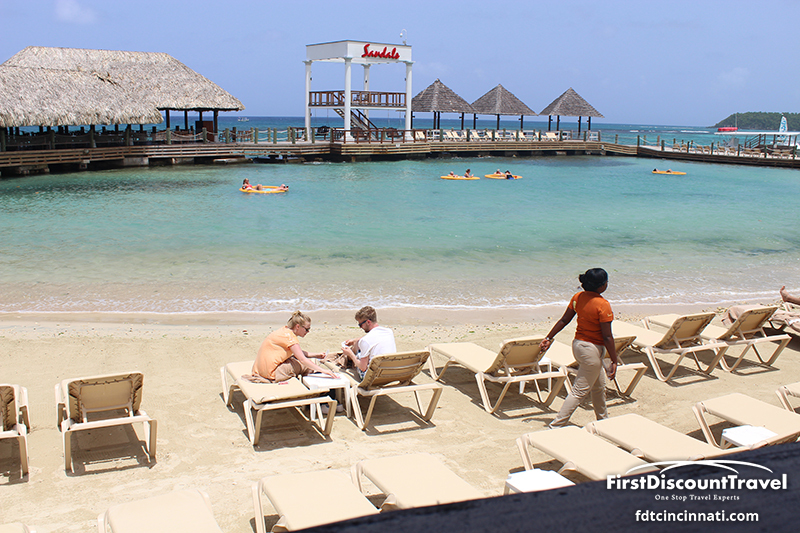 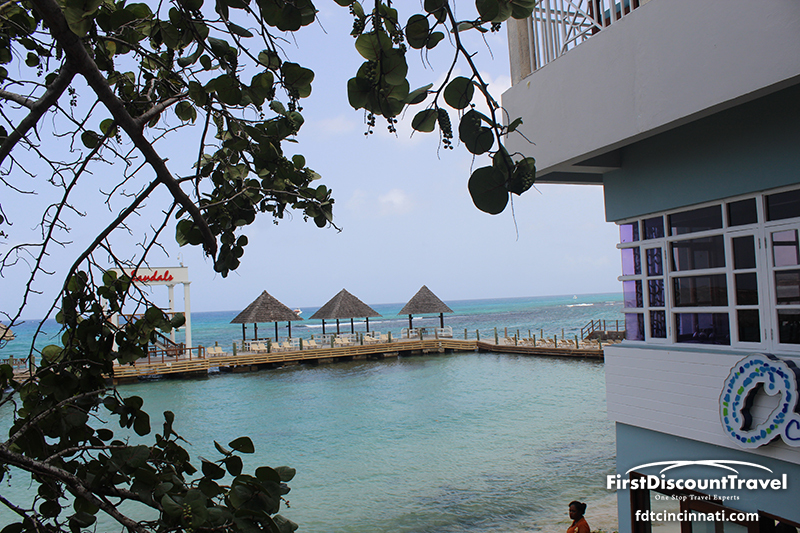 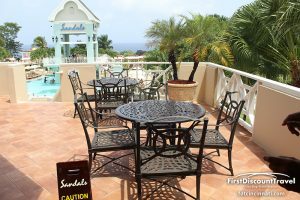 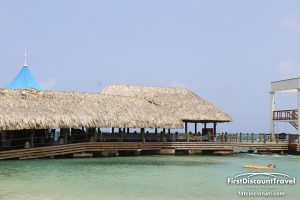 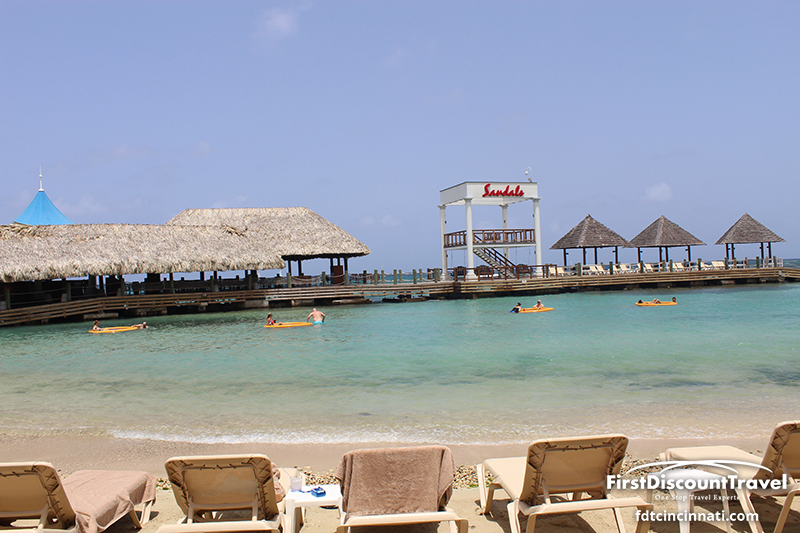 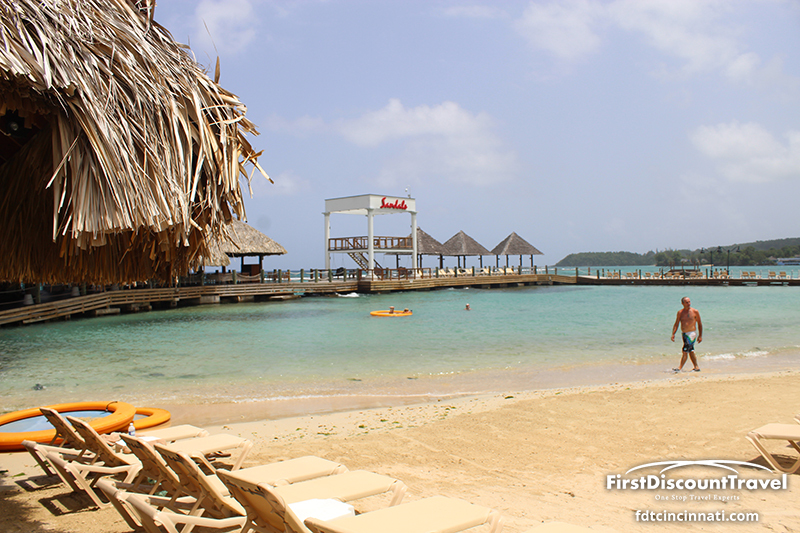 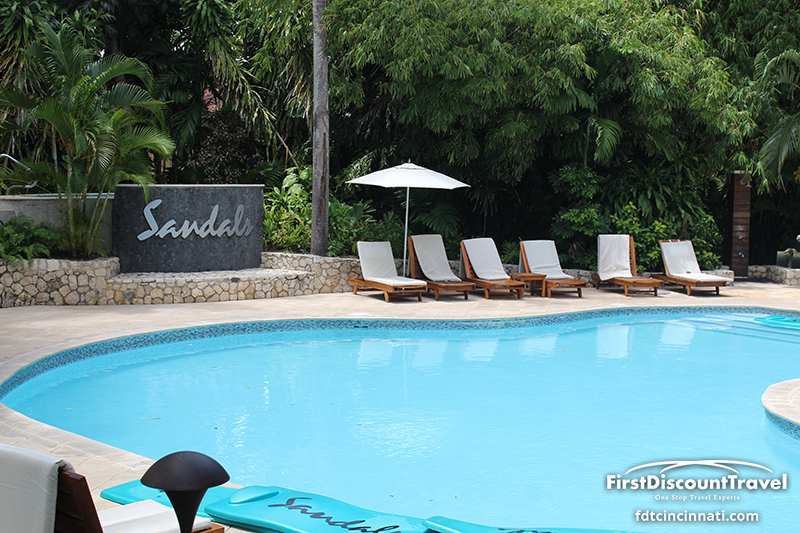 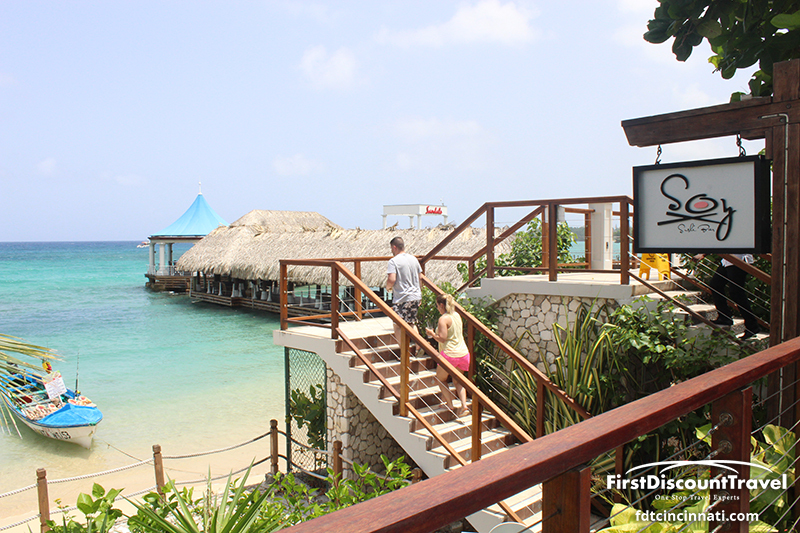 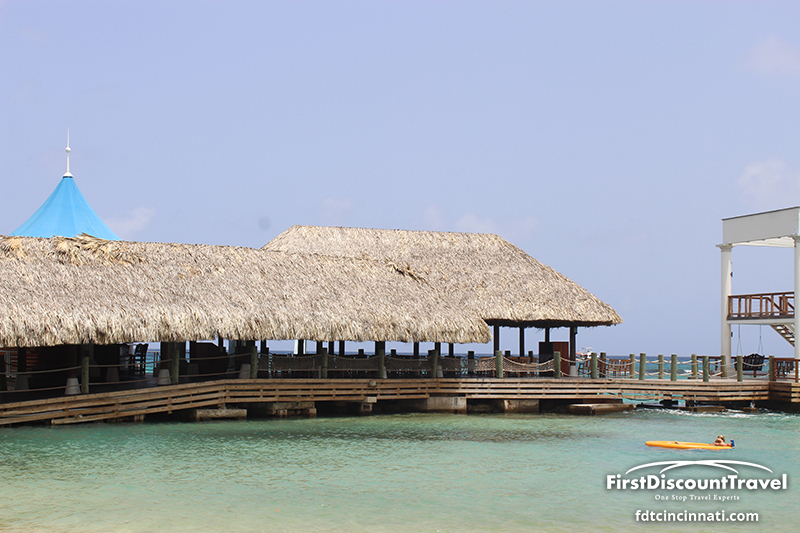 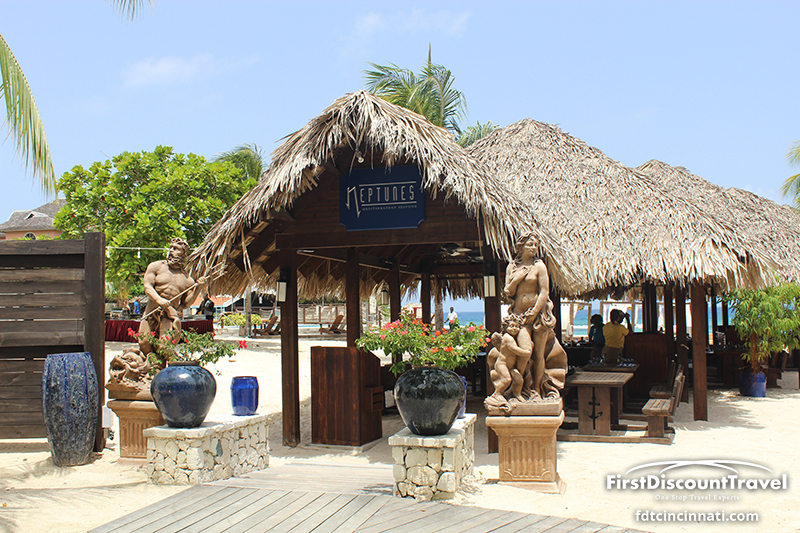 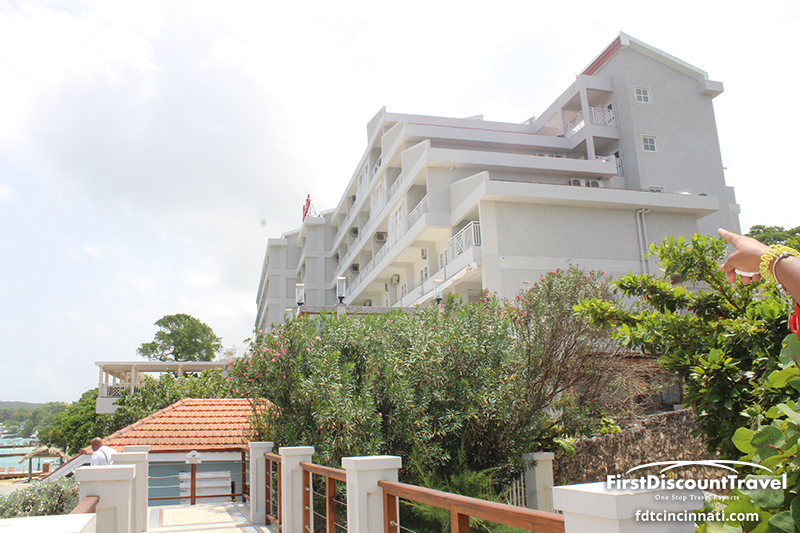 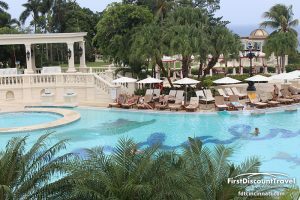 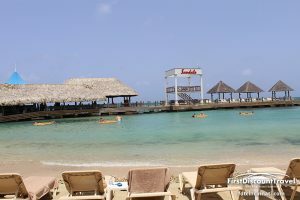 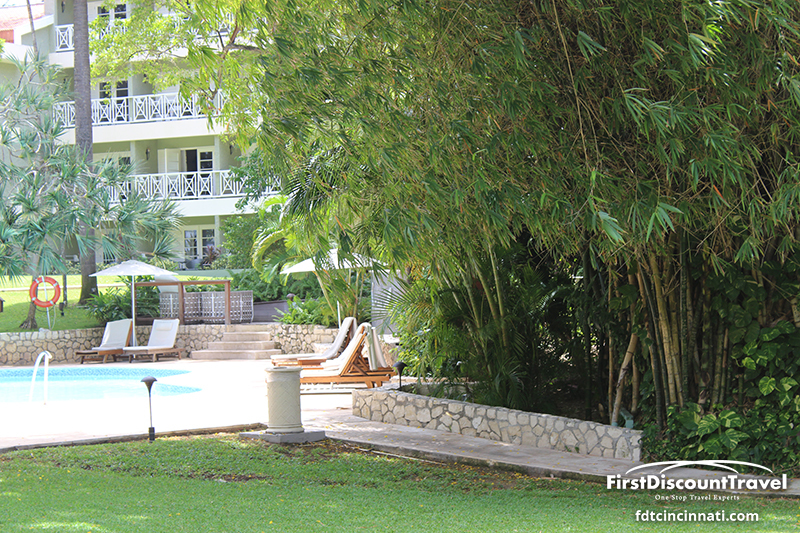 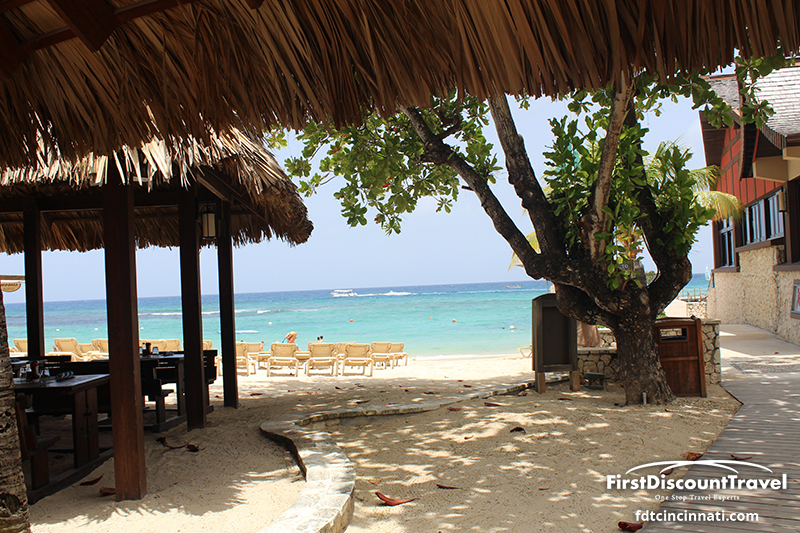 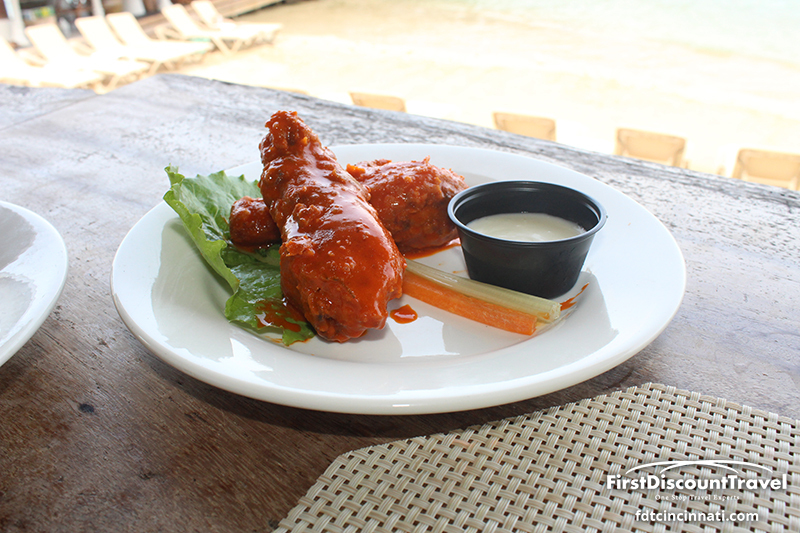 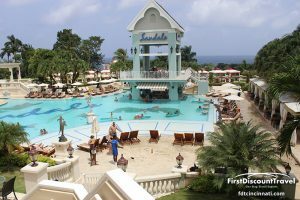 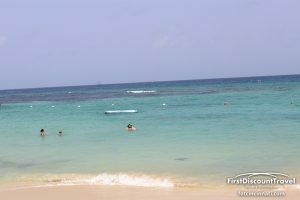 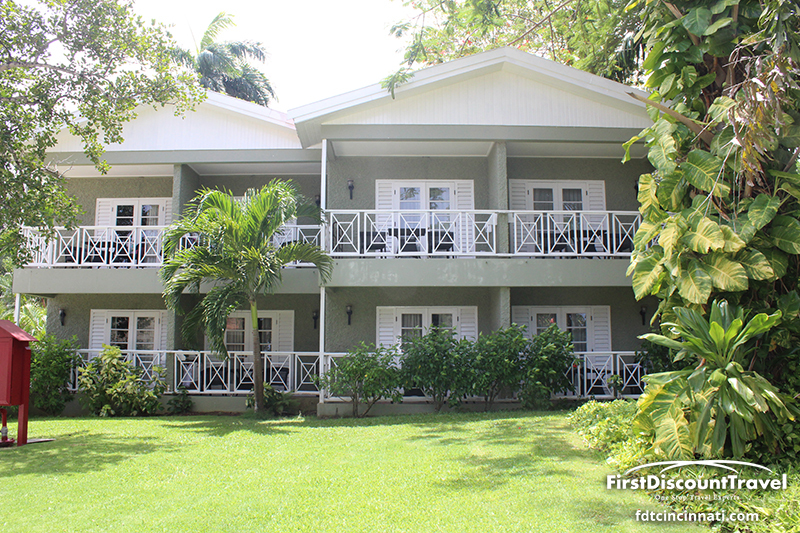 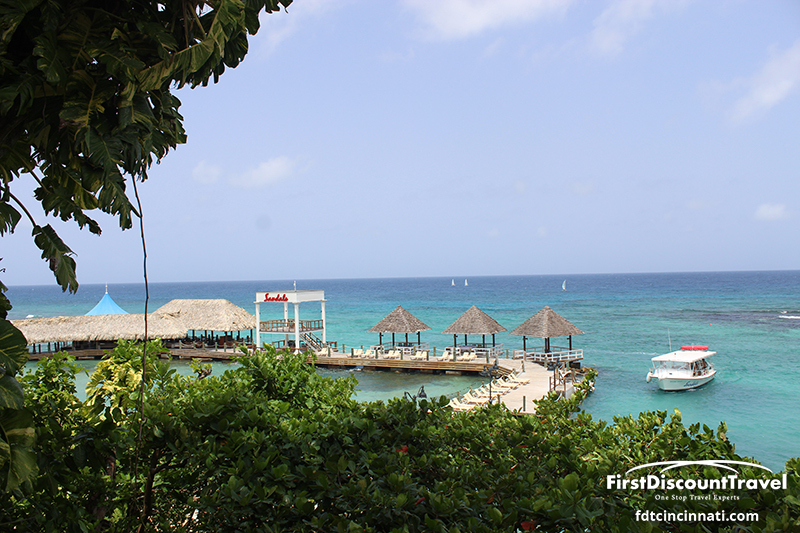 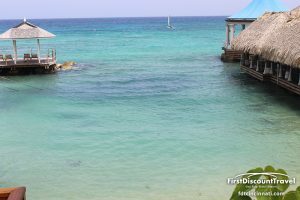 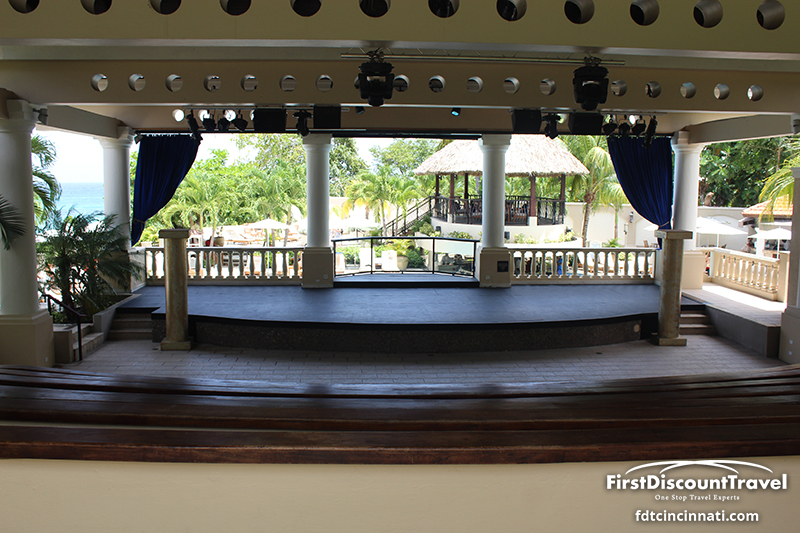 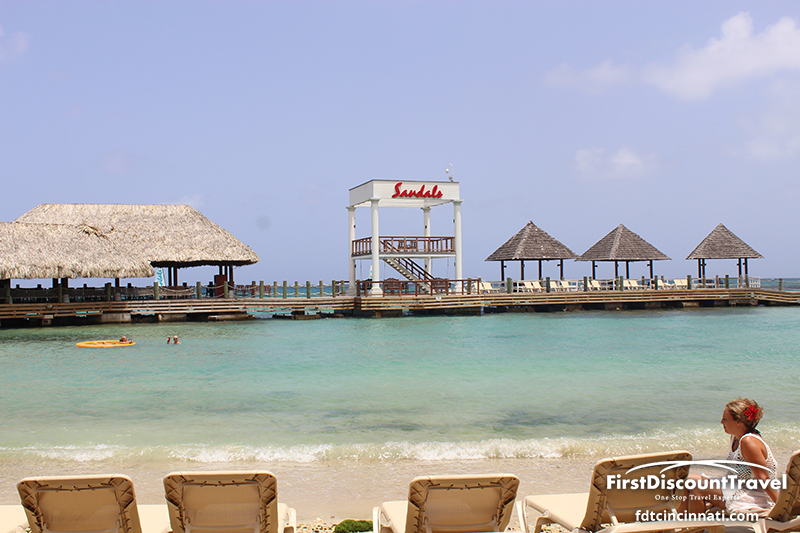 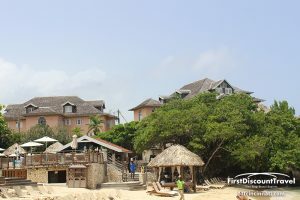 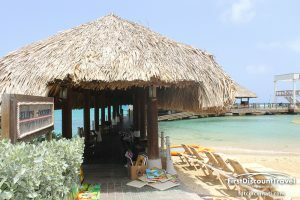 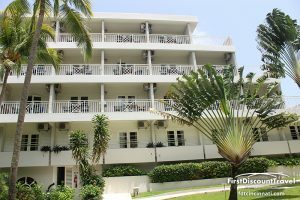 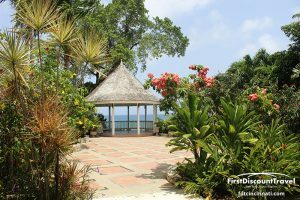 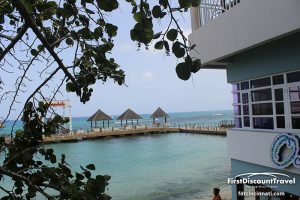 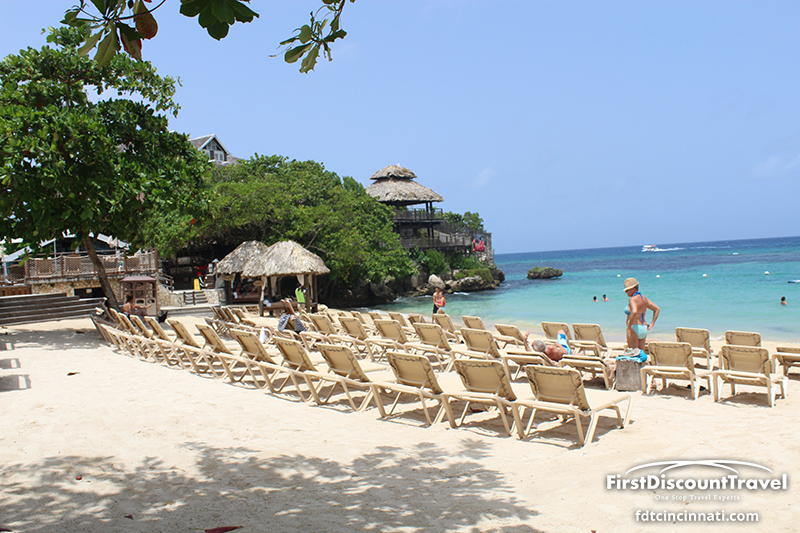 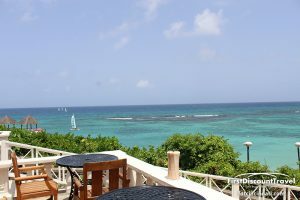 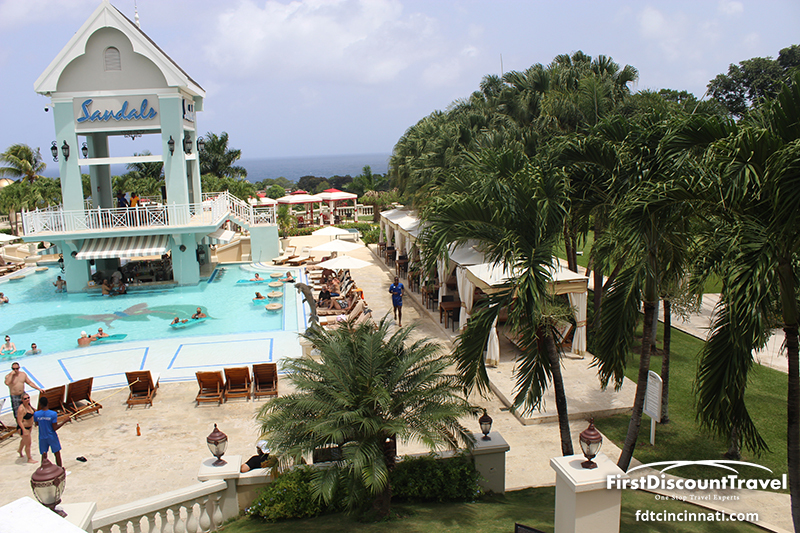 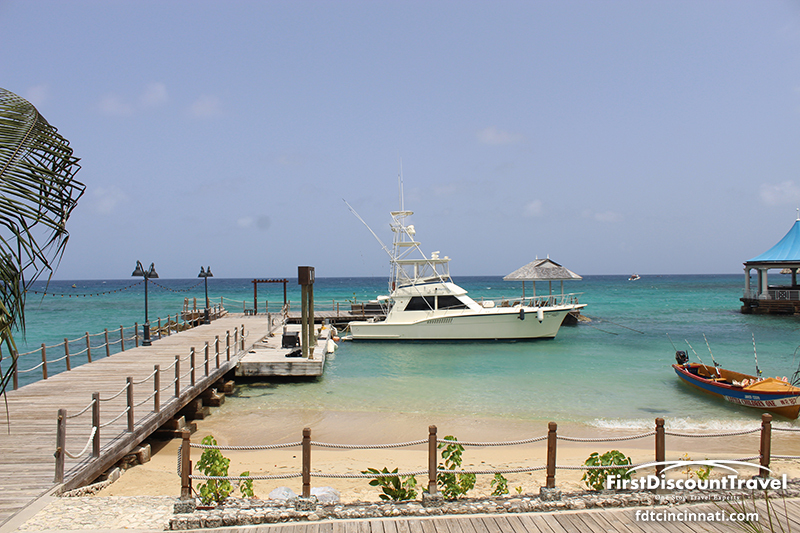 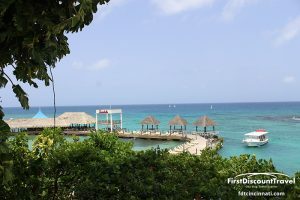 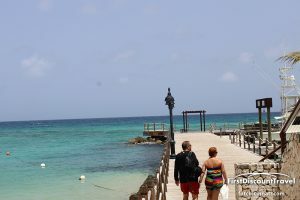 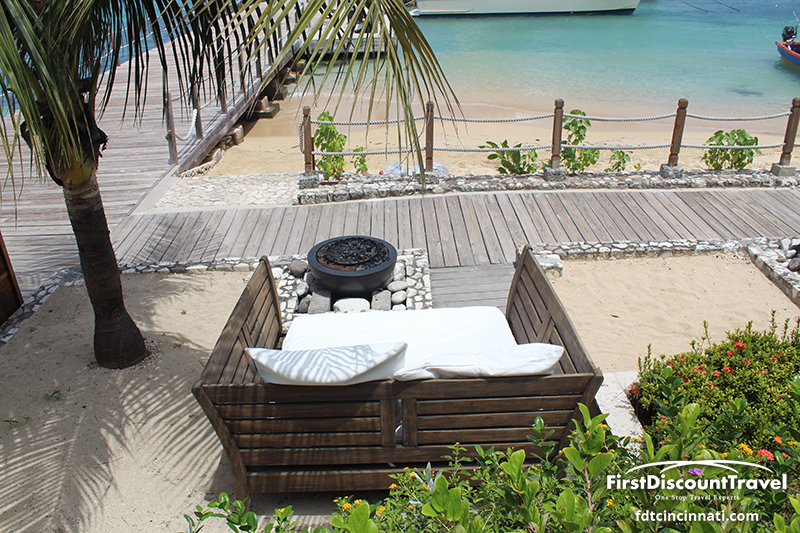 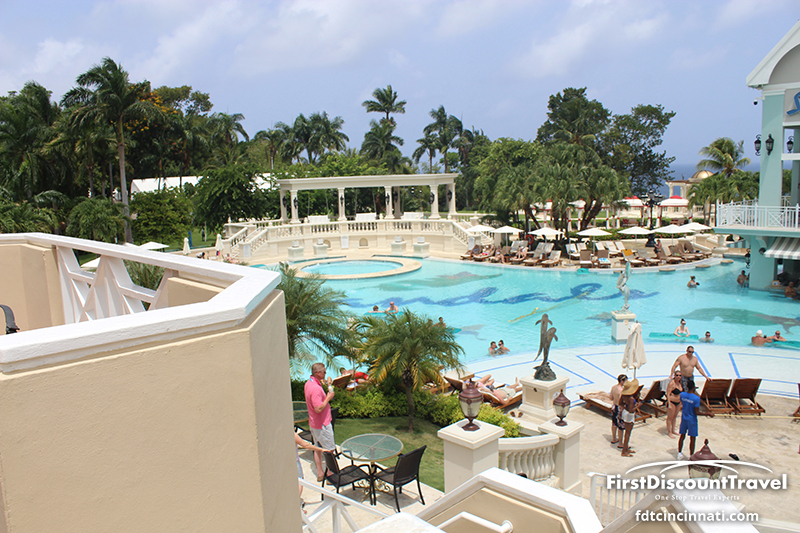 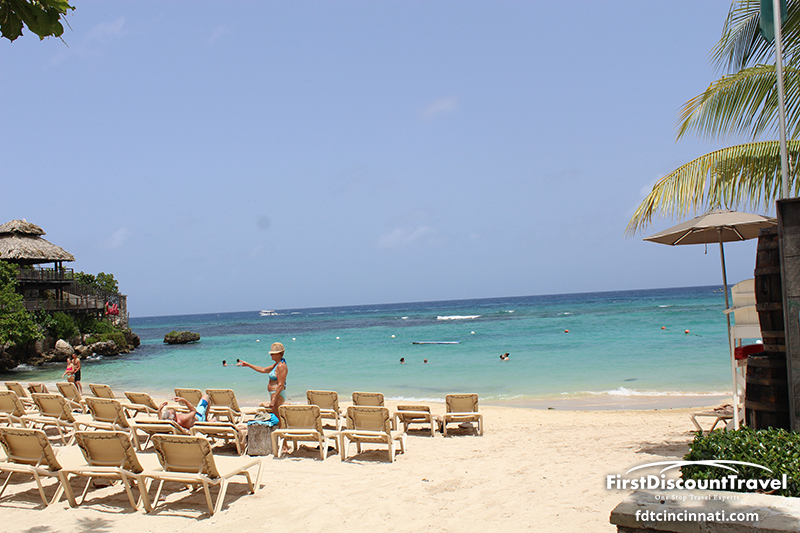 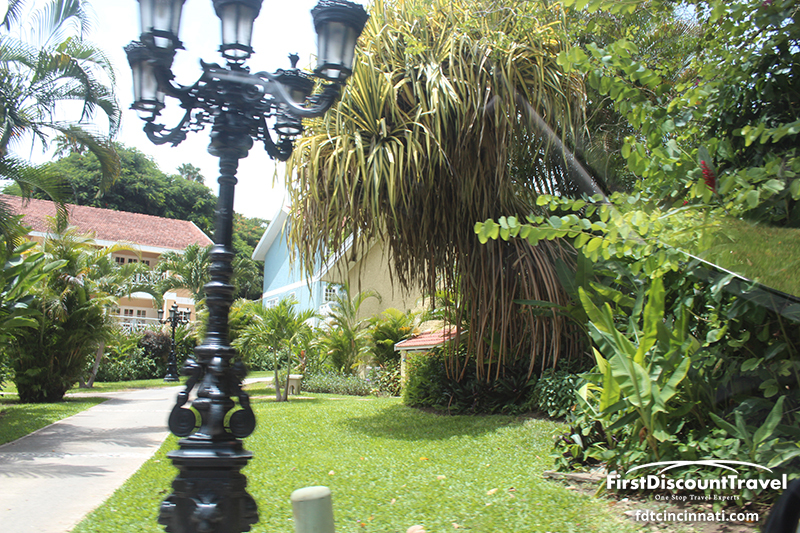 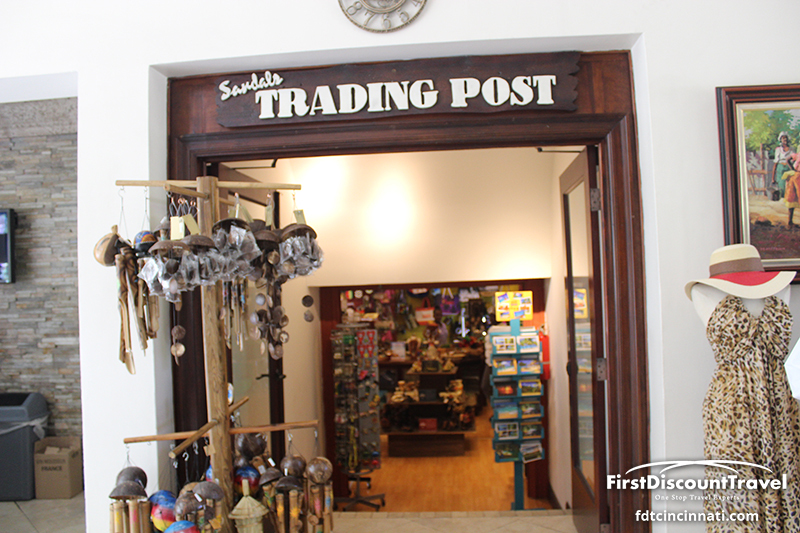 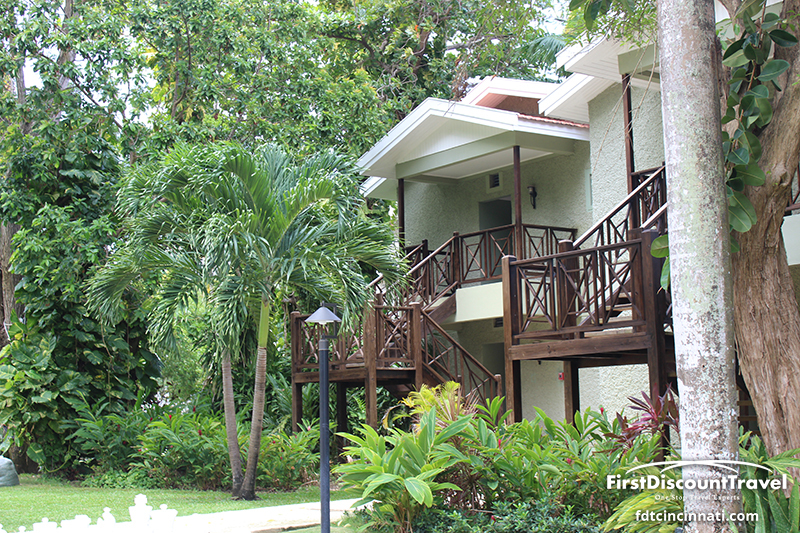 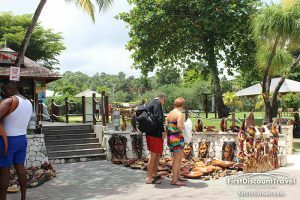 Sandals Grande Riviera is located 90 minutes from the Montego Bay Airport in Jamaica’s tourist capitol of Ocho Rios. 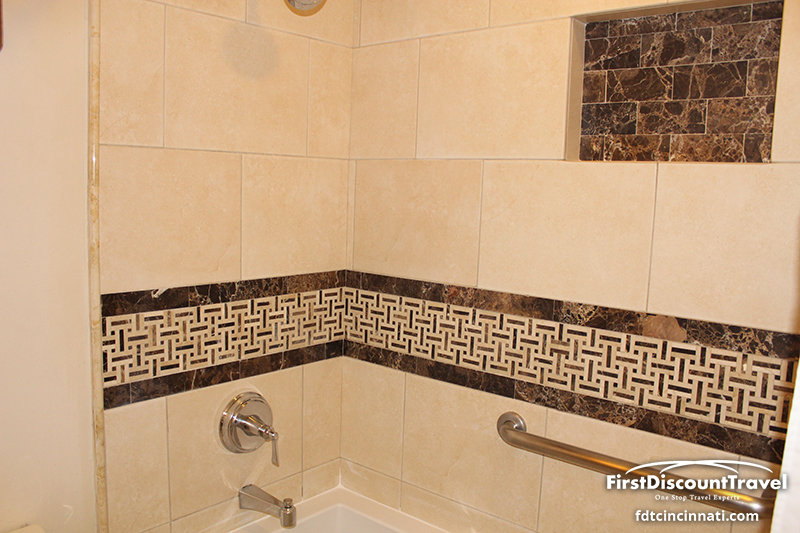 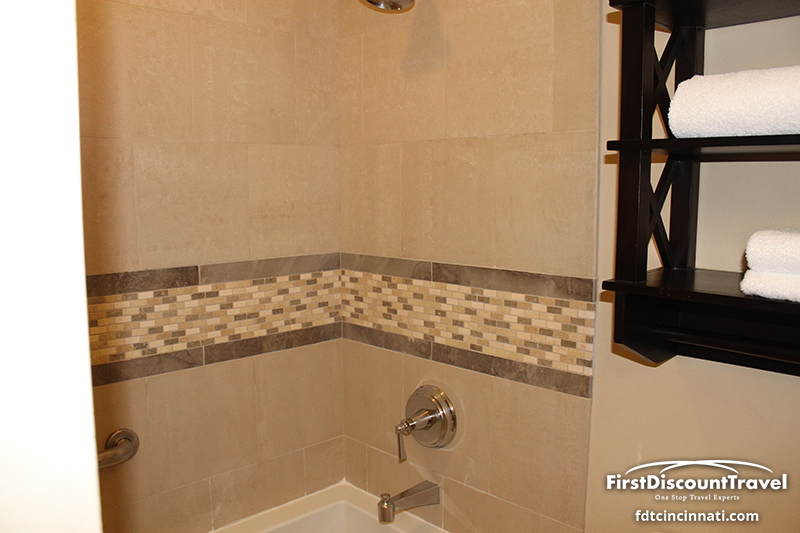 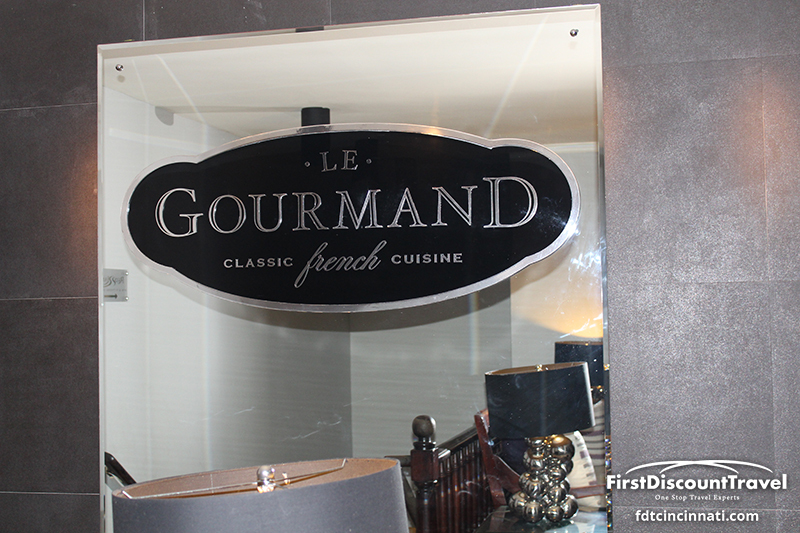 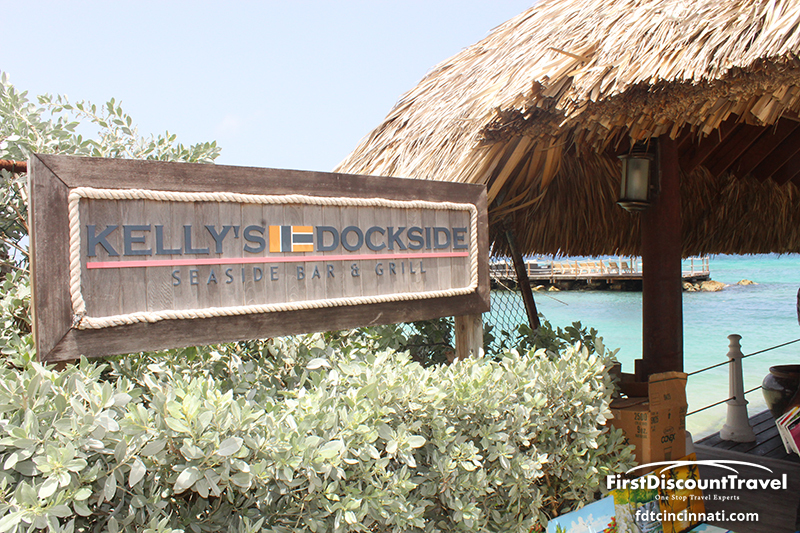 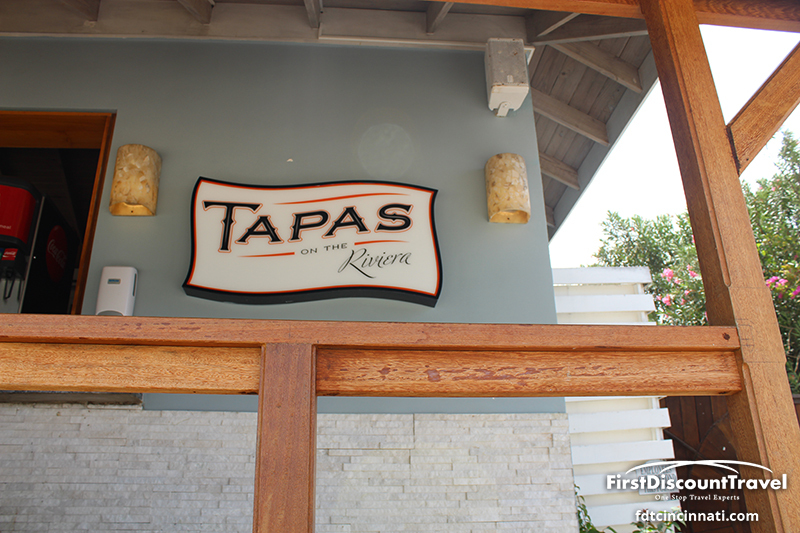 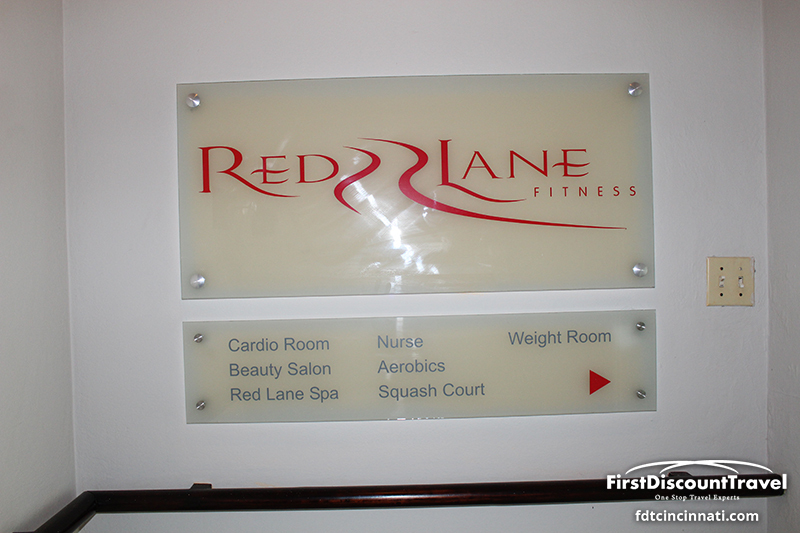 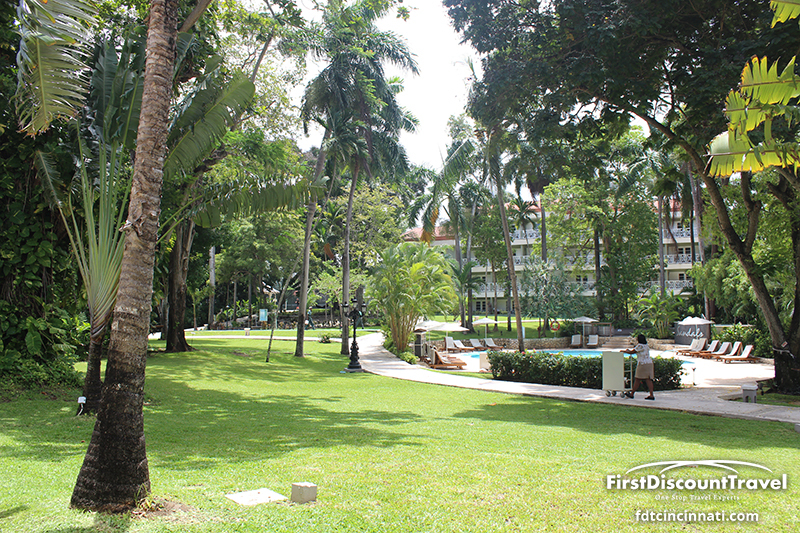 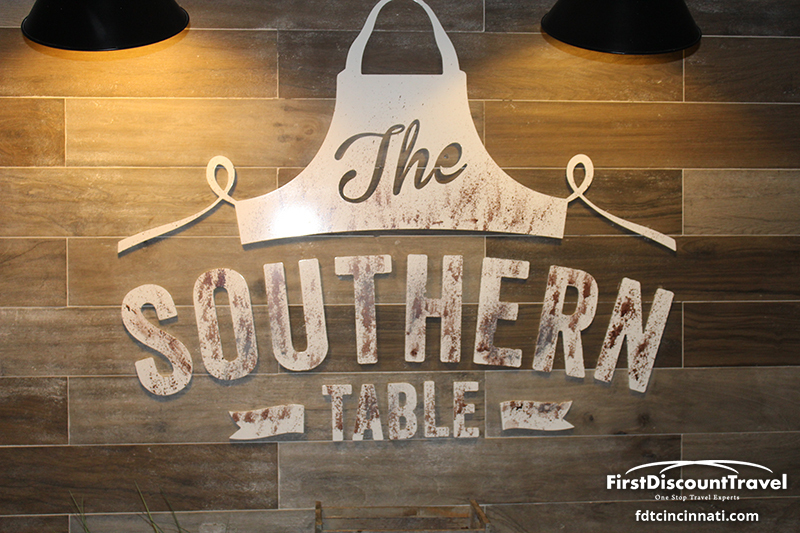 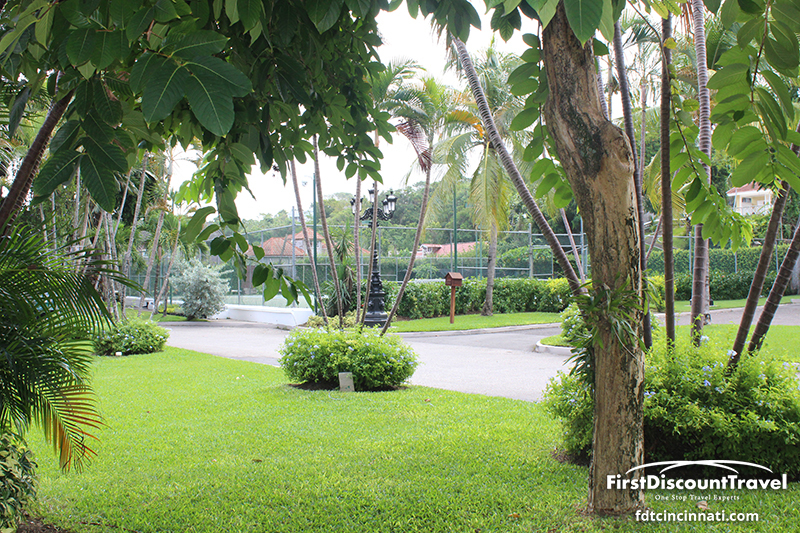 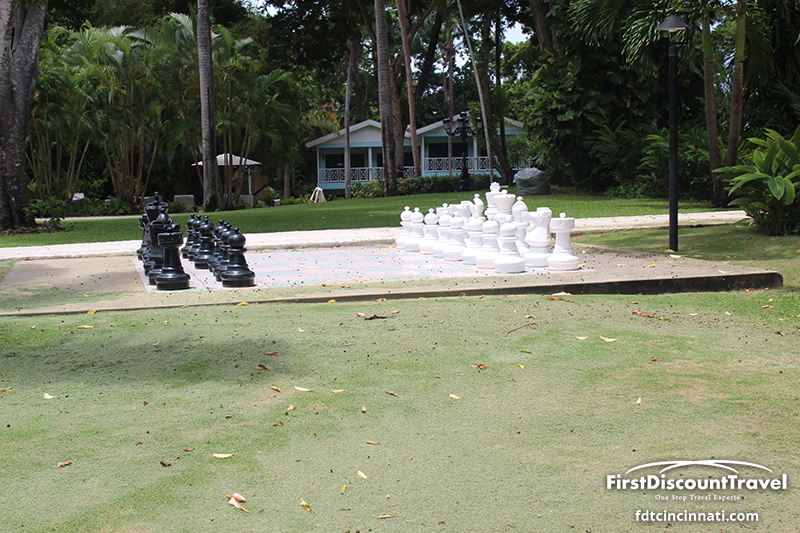 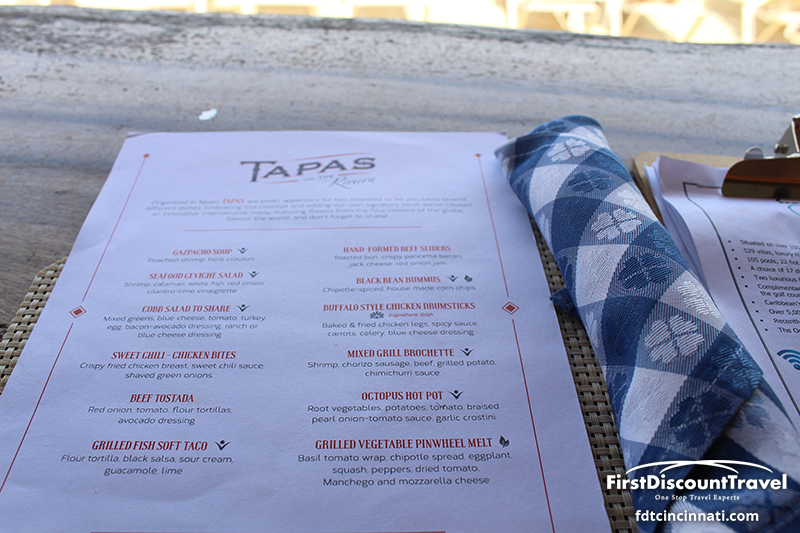 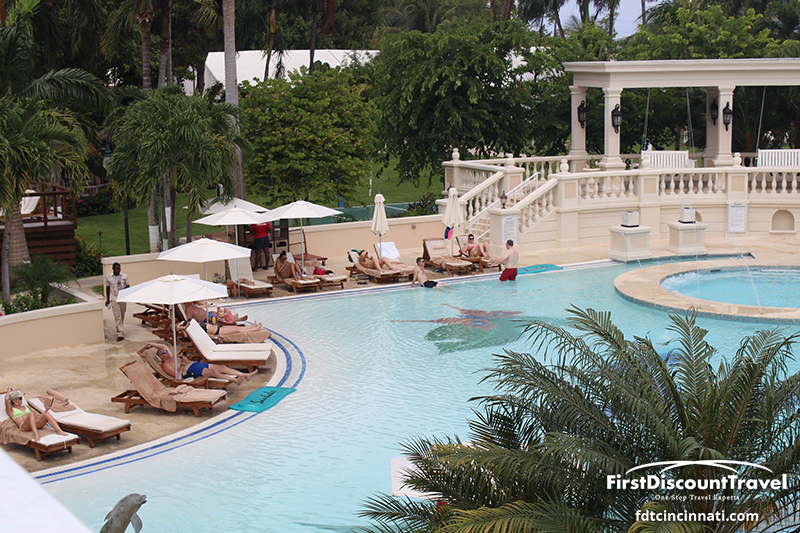 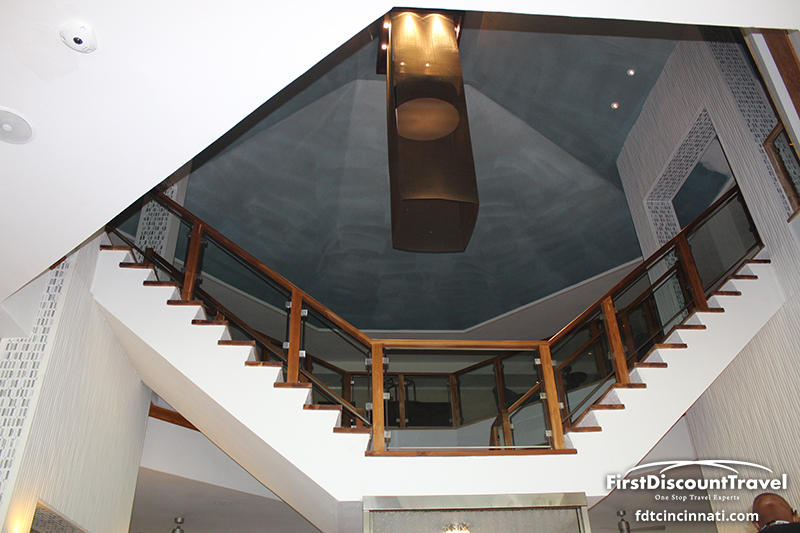 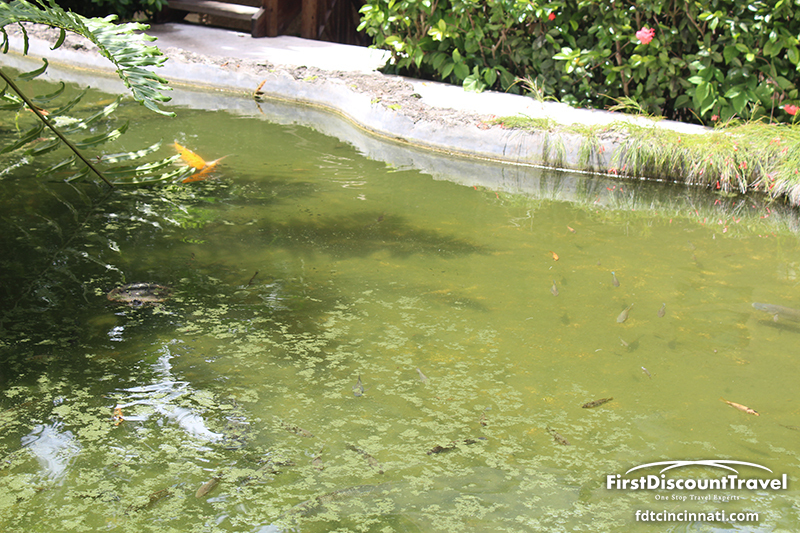 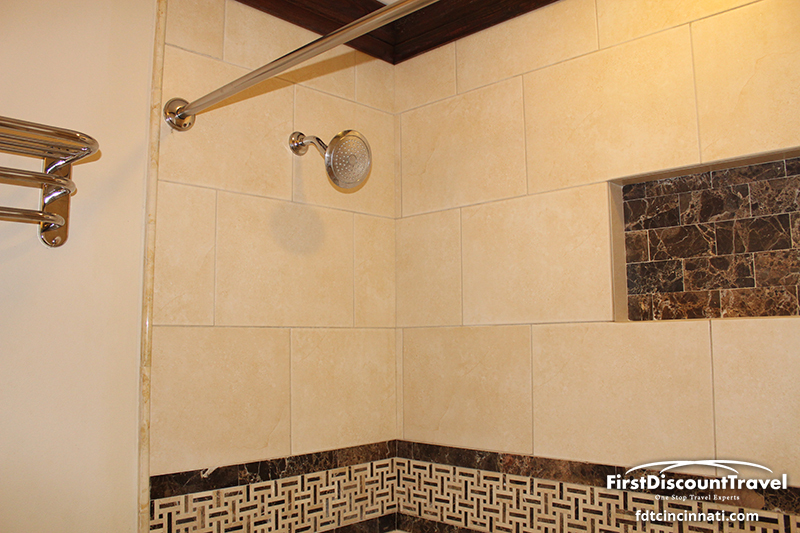 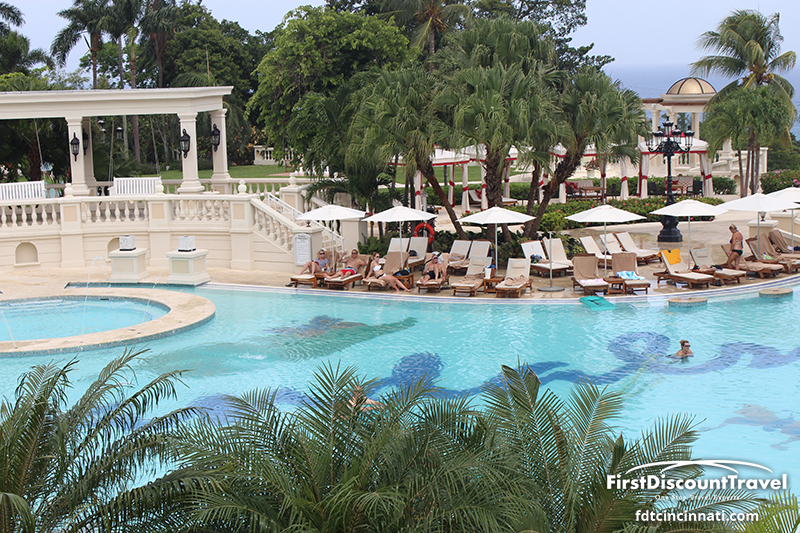 The resort was completely transformed with a $65 Million Dollar renovation in 2012. 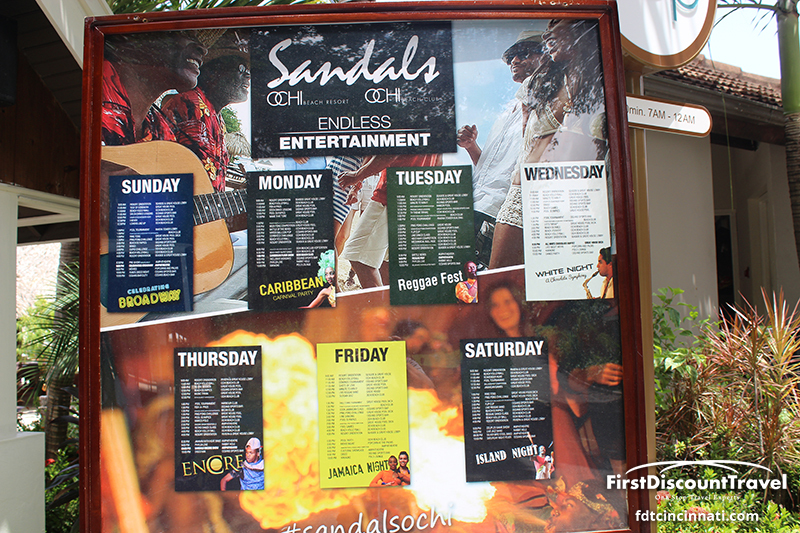 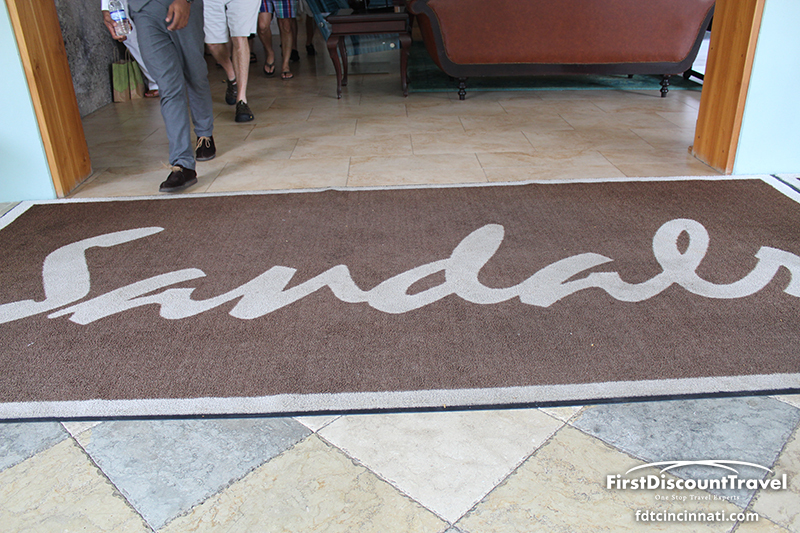 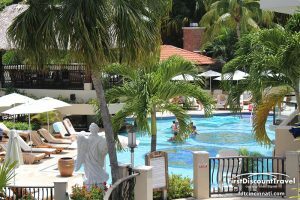 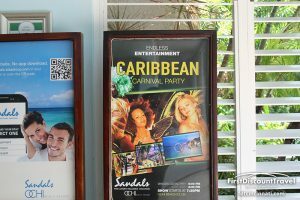 Sandals Grande Riviera is the largest of all Sandals with 505 rooms and suites and 15 restaurants. 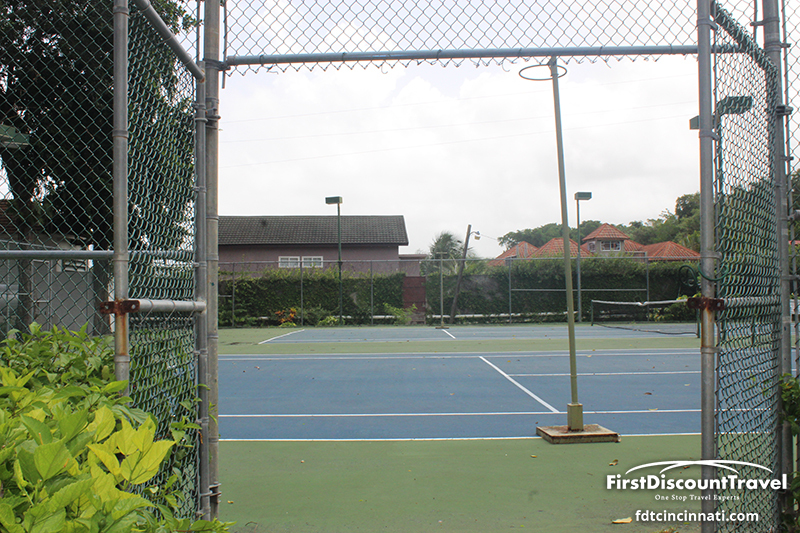 There are two sides to the resort. 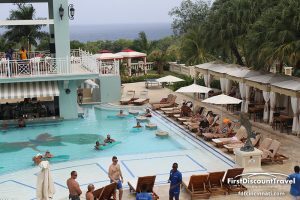 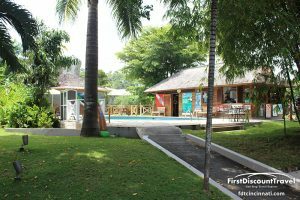 The Butler Village is located on the hillside with shared smaller pools as well as a huge fantasy pool located at the Manor House lobby. 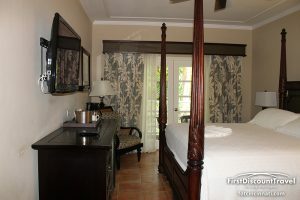 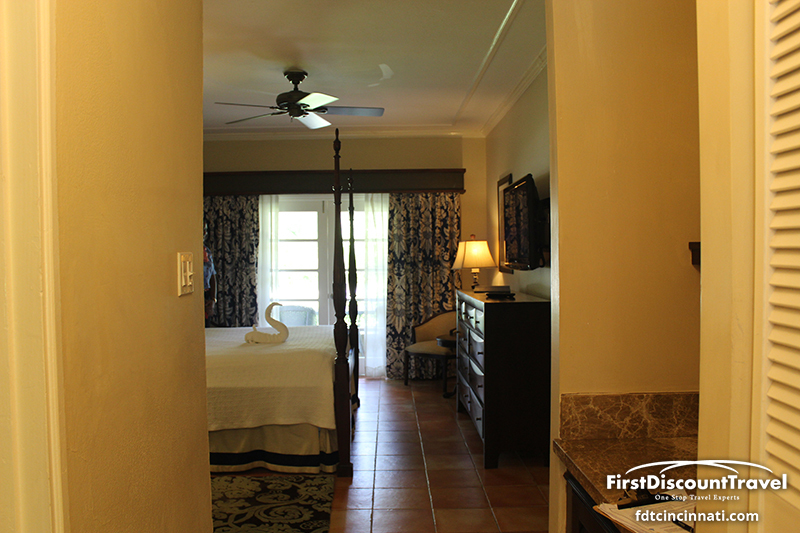 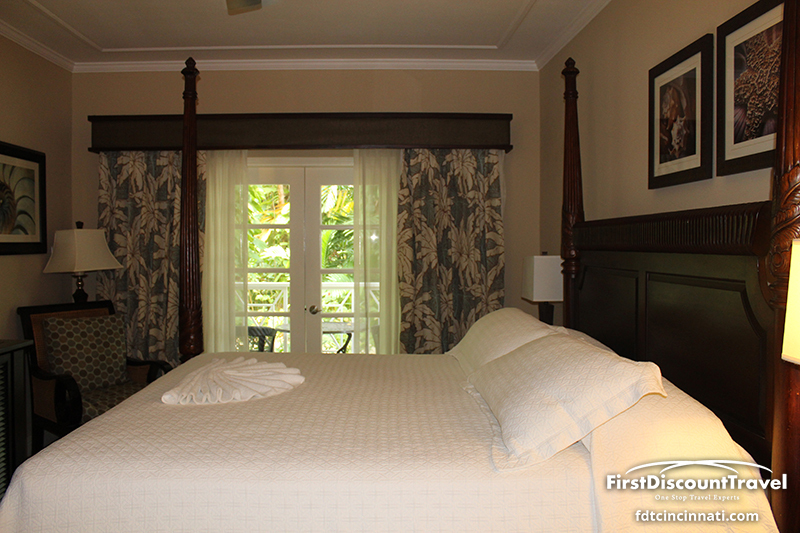 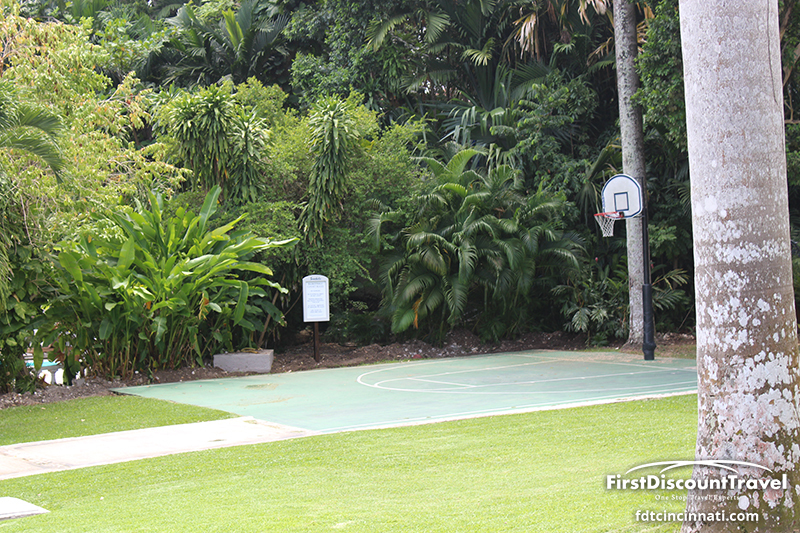 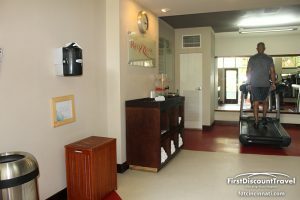 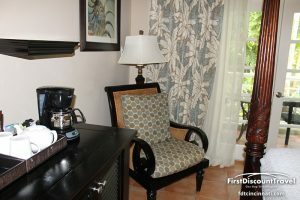 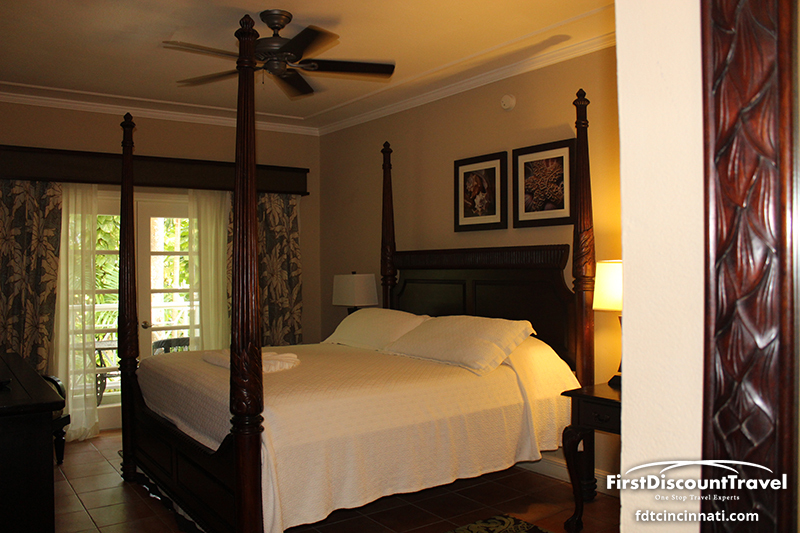 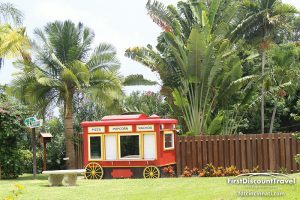 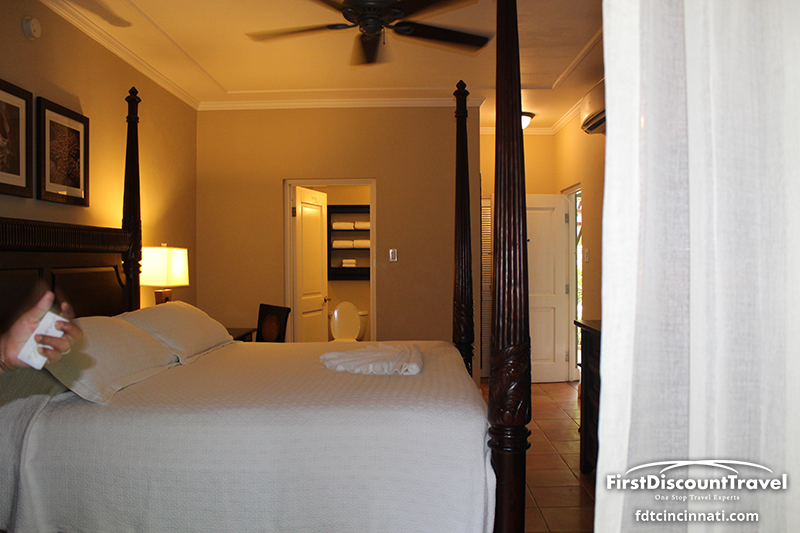 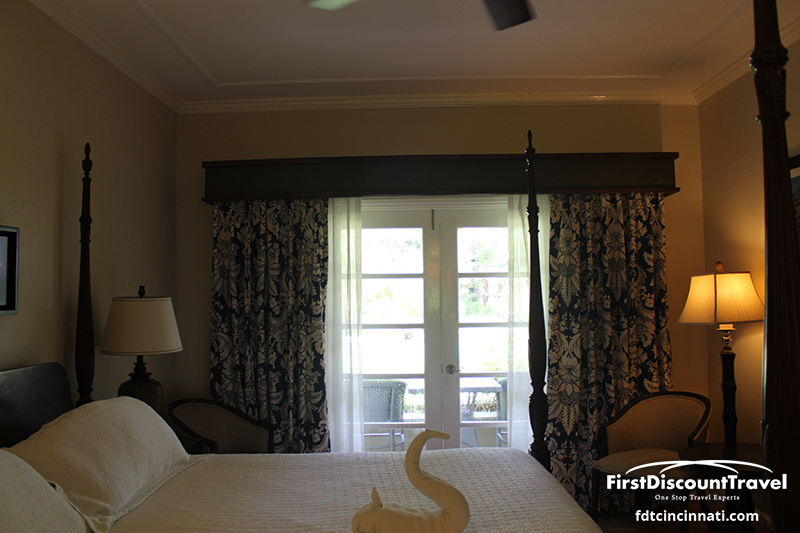 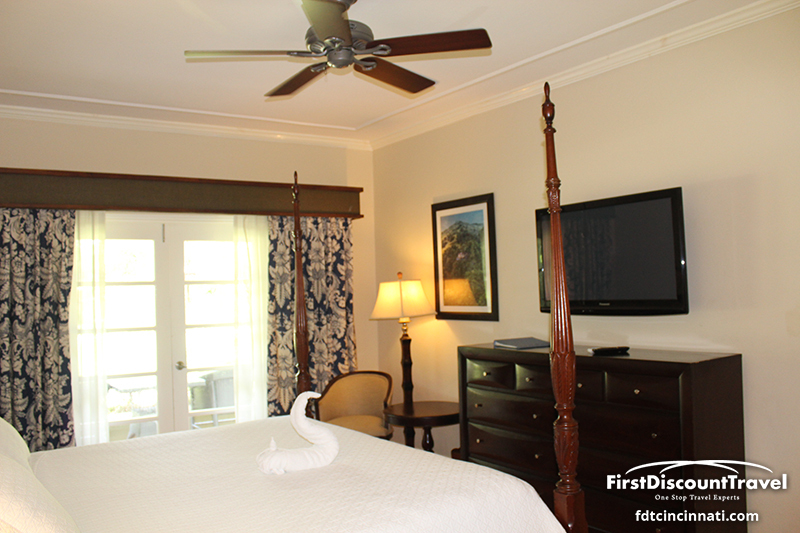 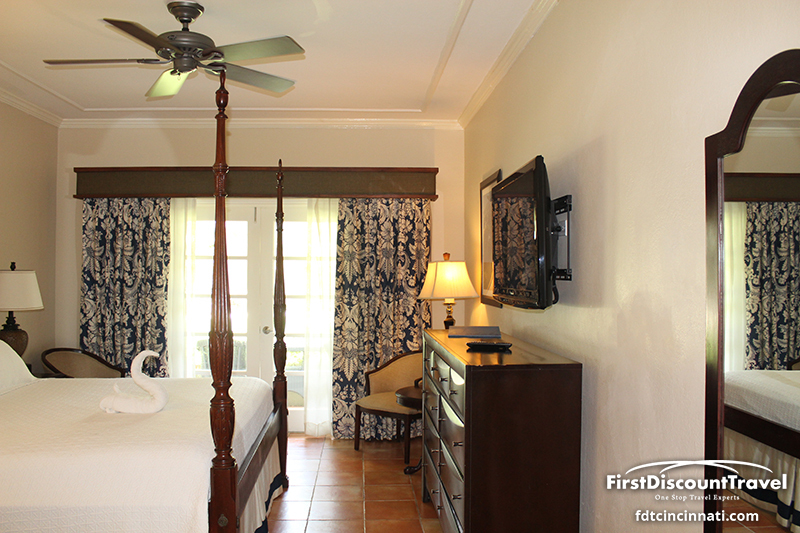 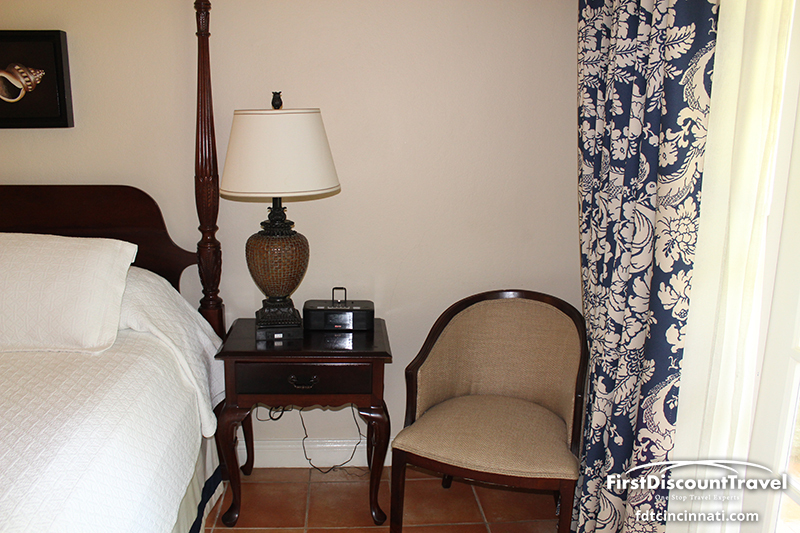 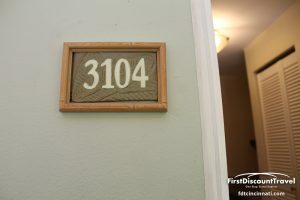 The rooms are more cottage style and oversized golf carts transport guests from the rooms to the manor House lobby. 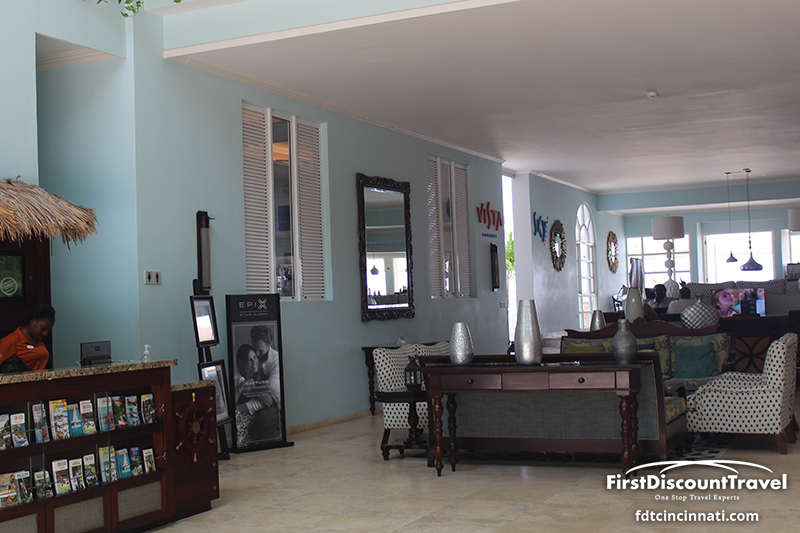 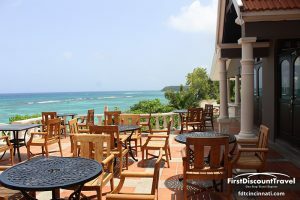 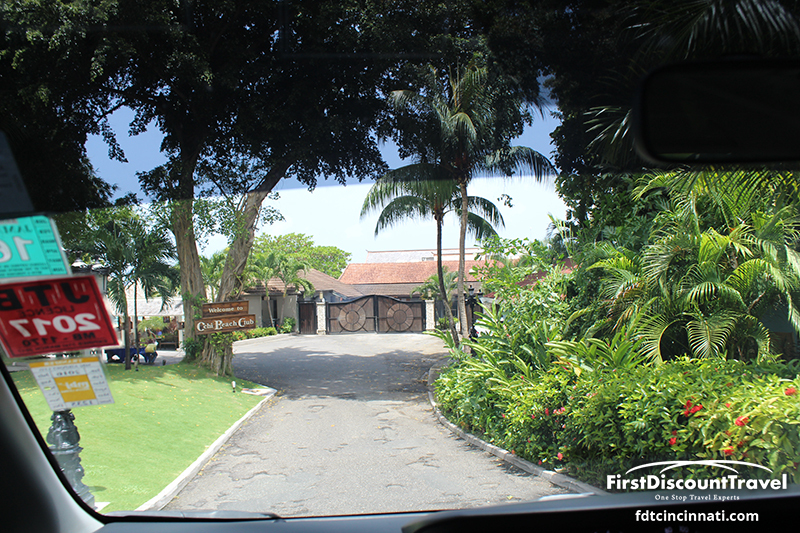 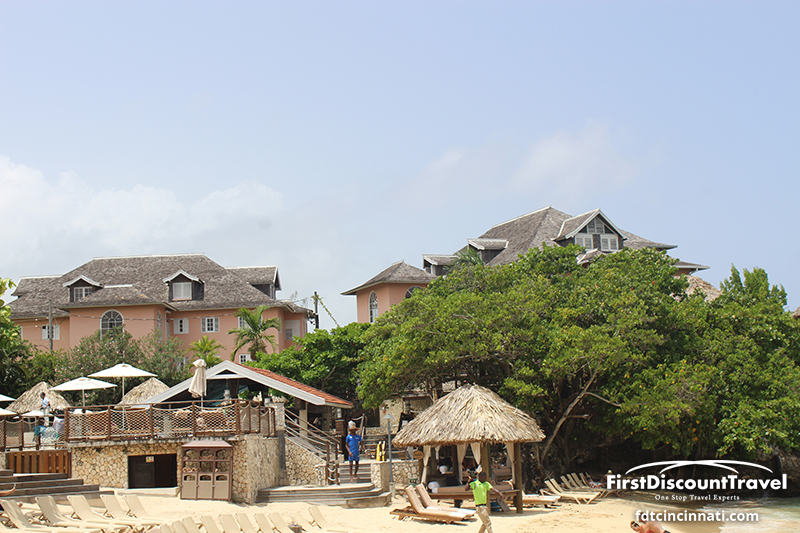 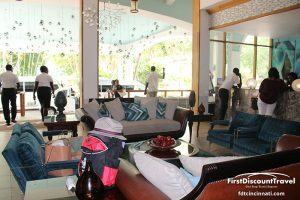 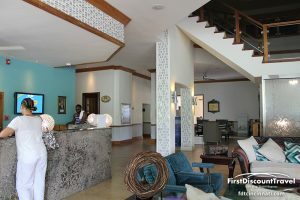 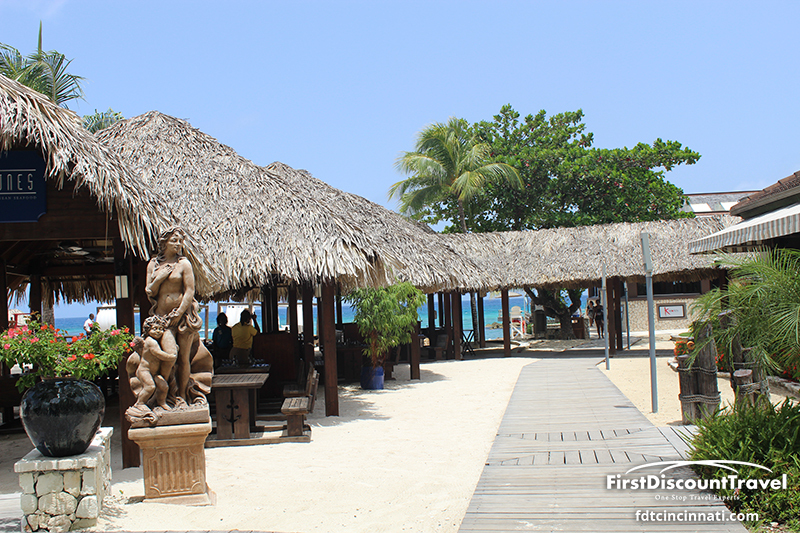 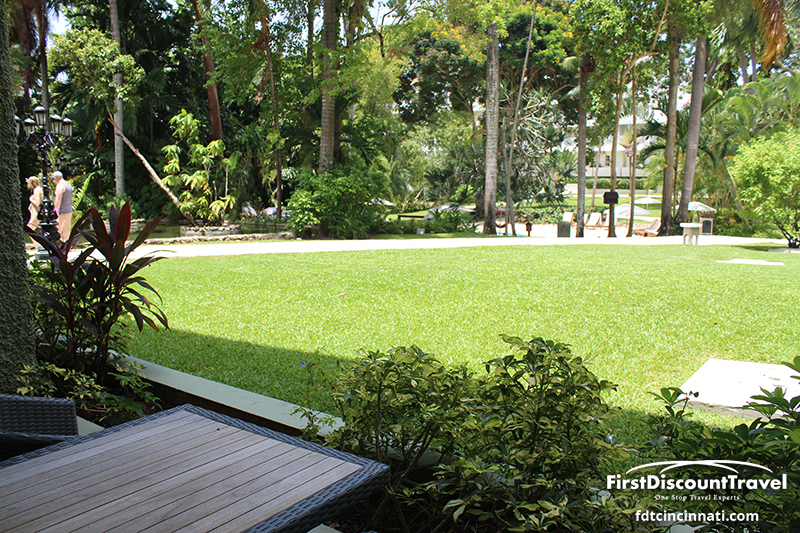 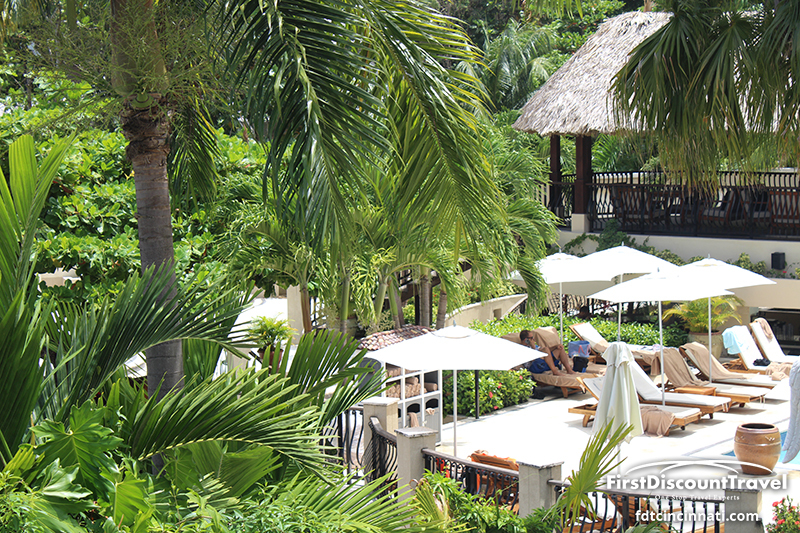 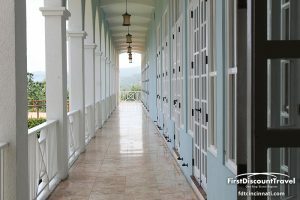 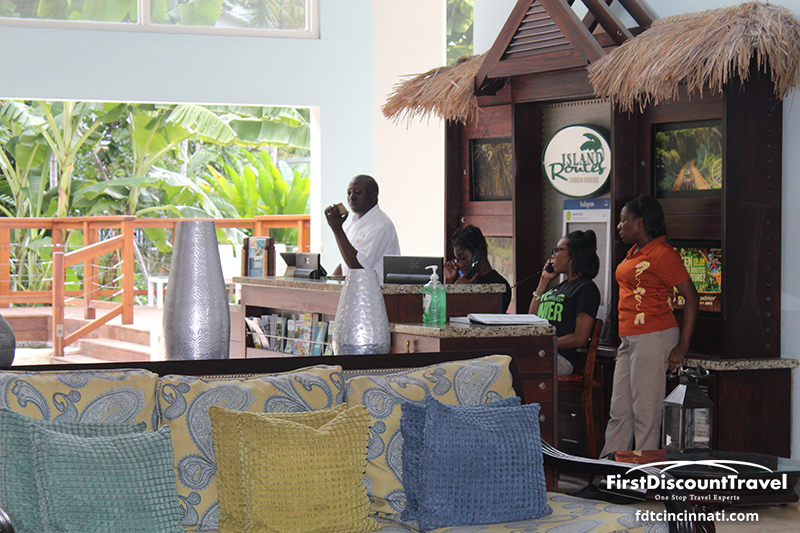 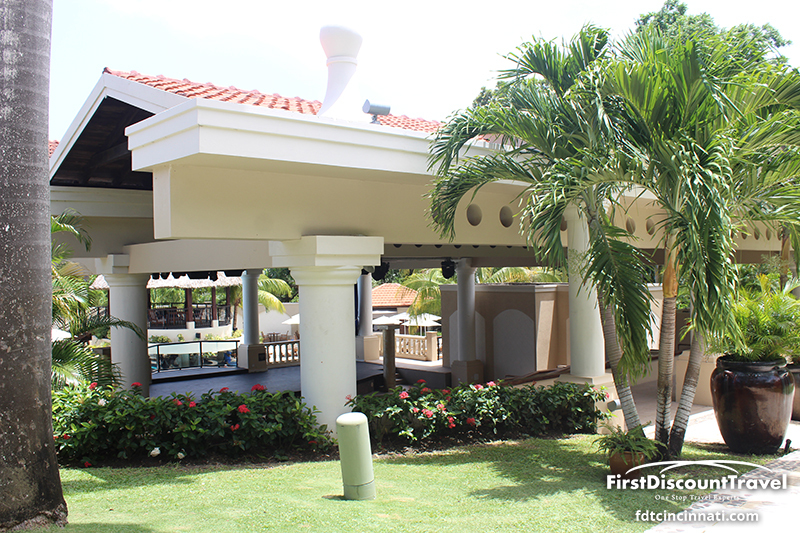 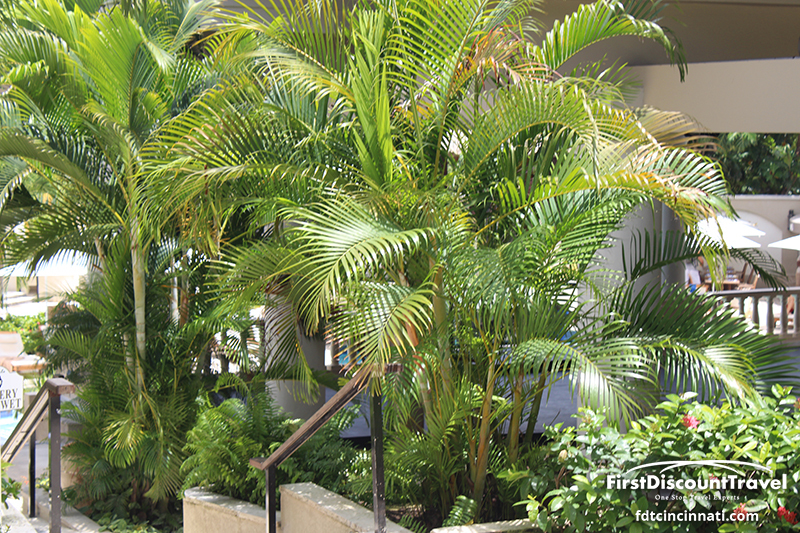 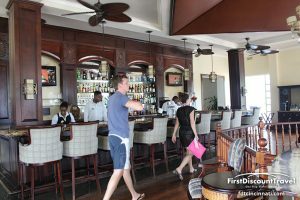 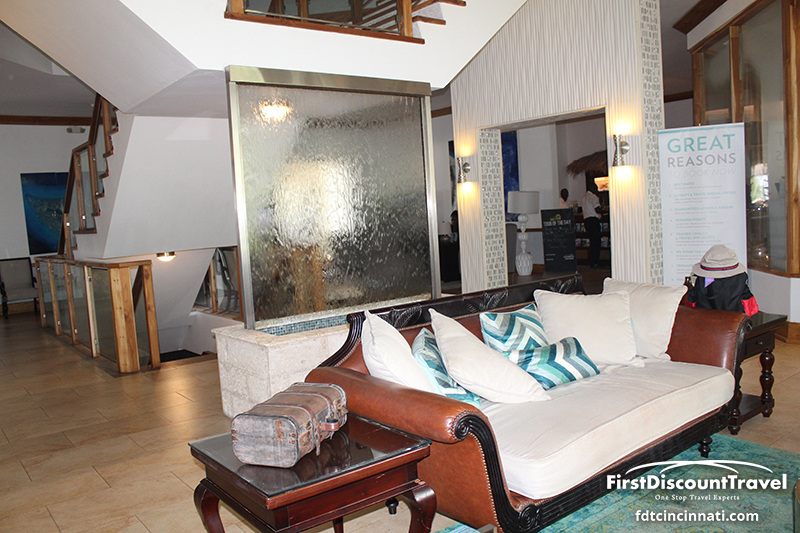 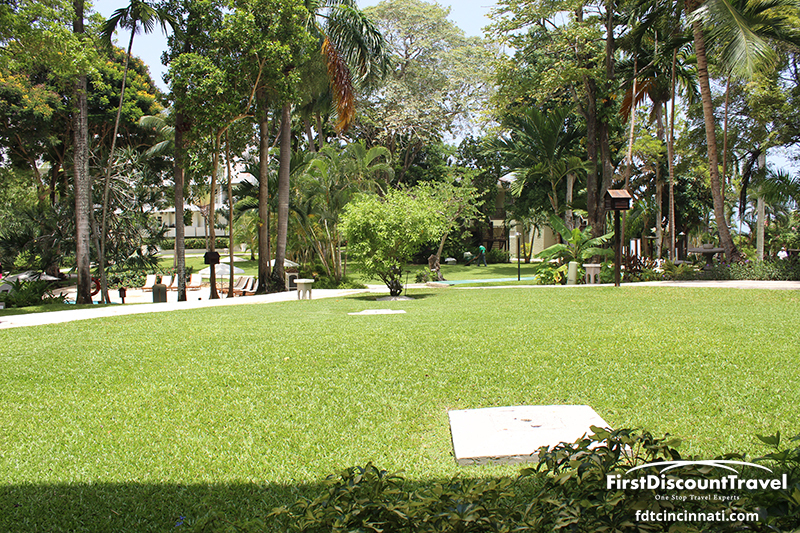 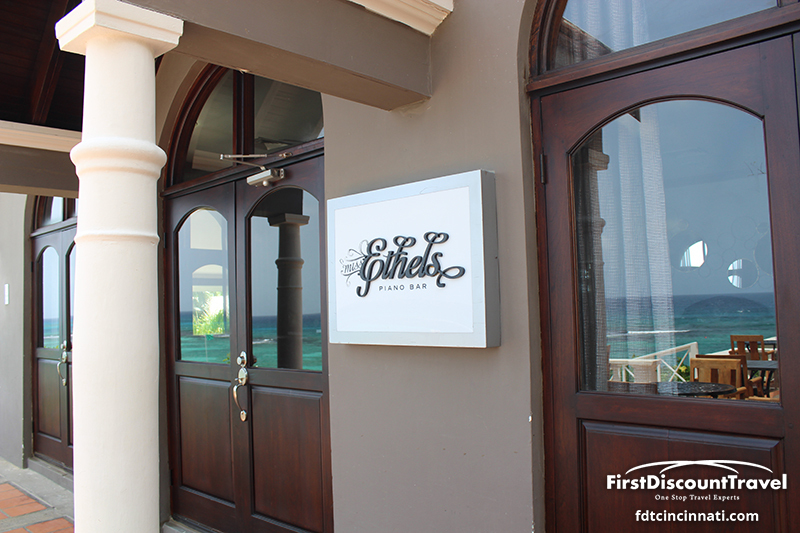 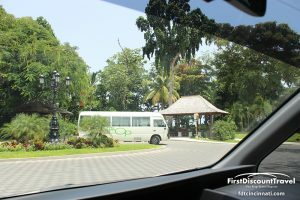 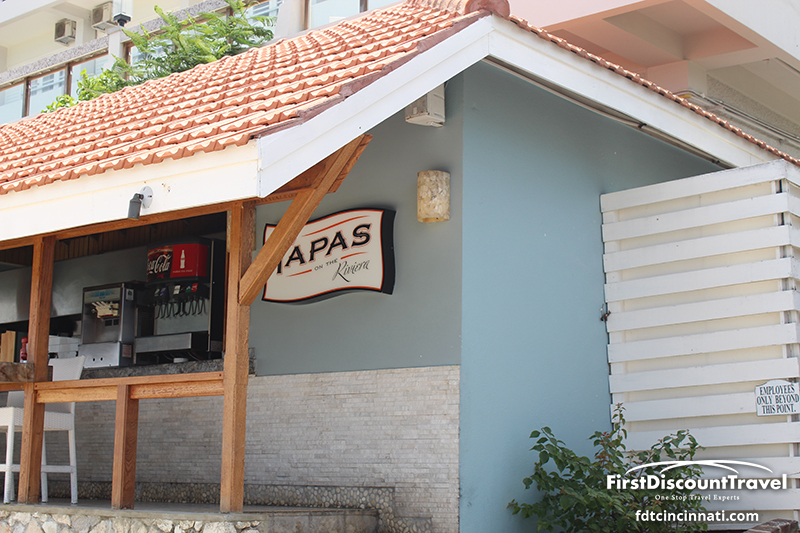 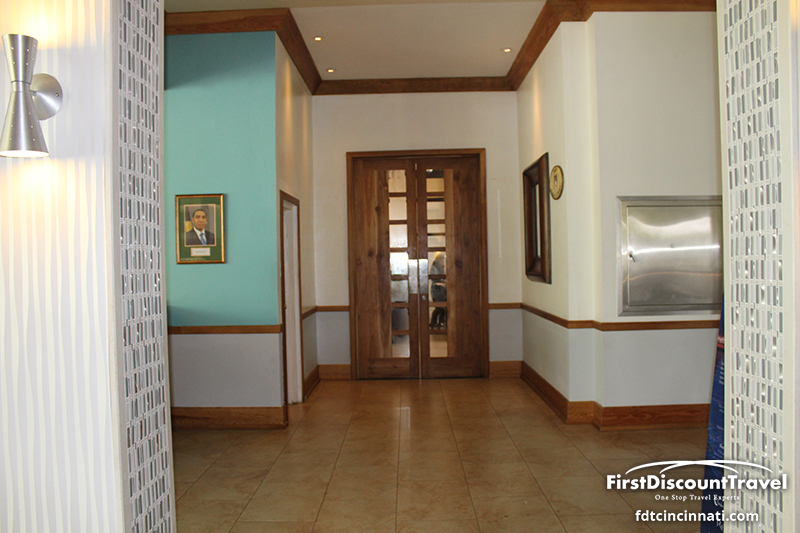 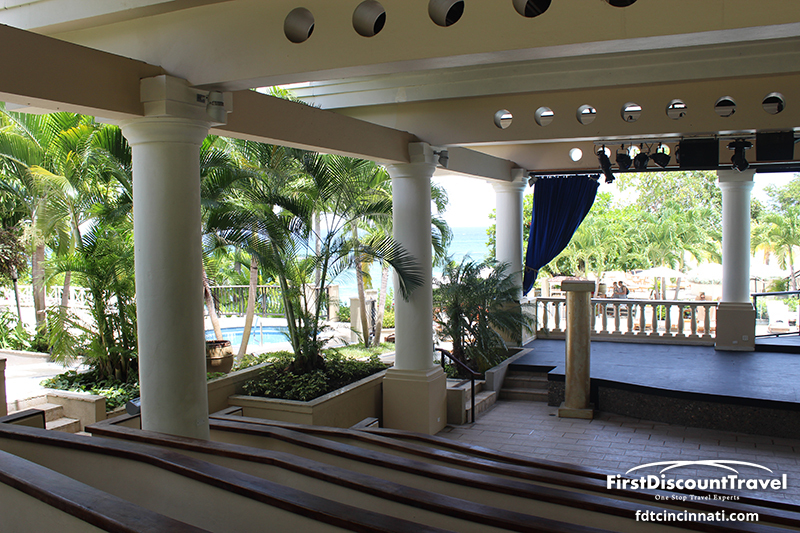 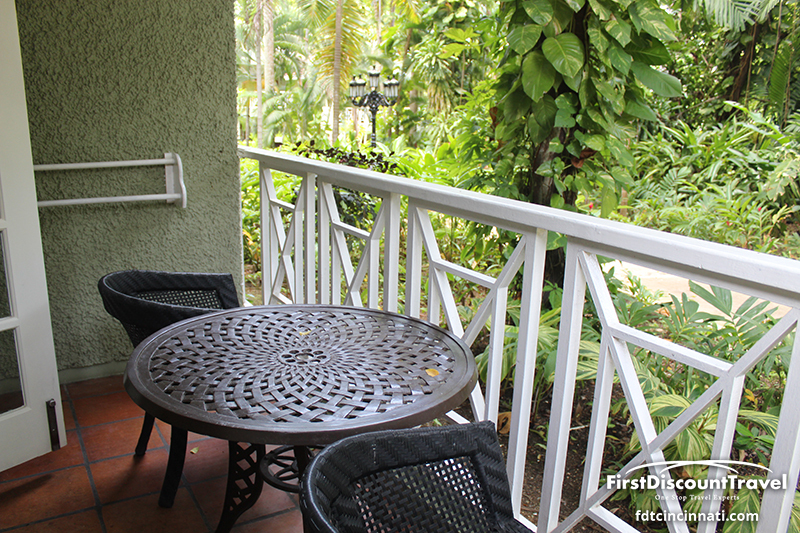 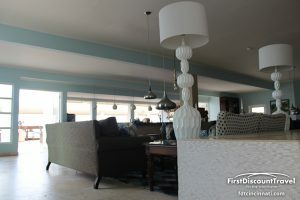 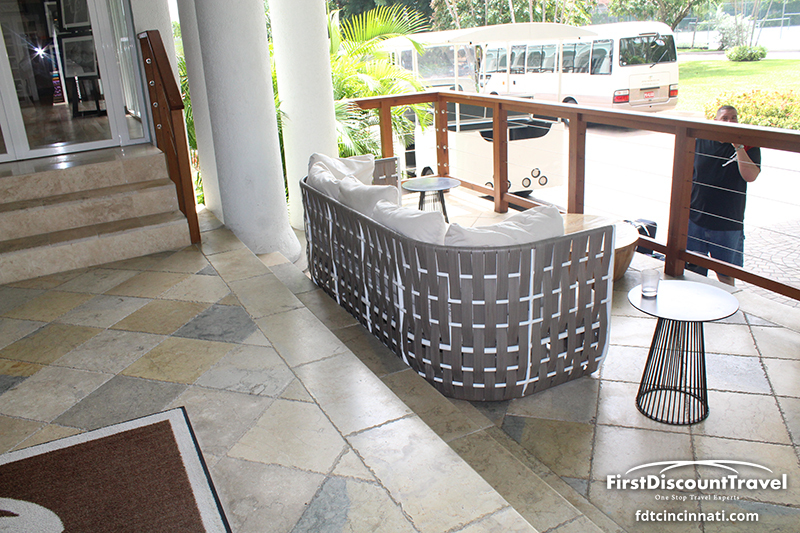 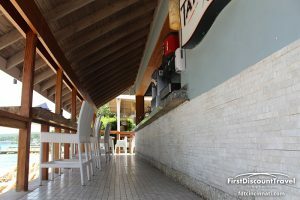 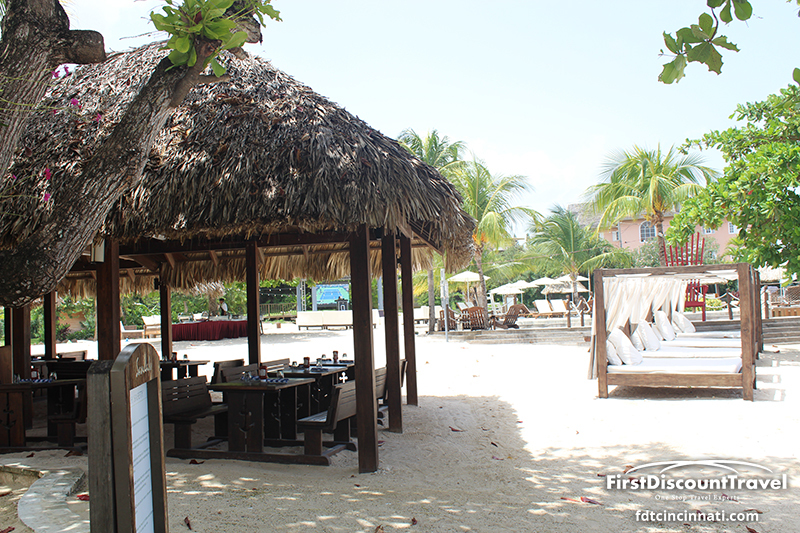 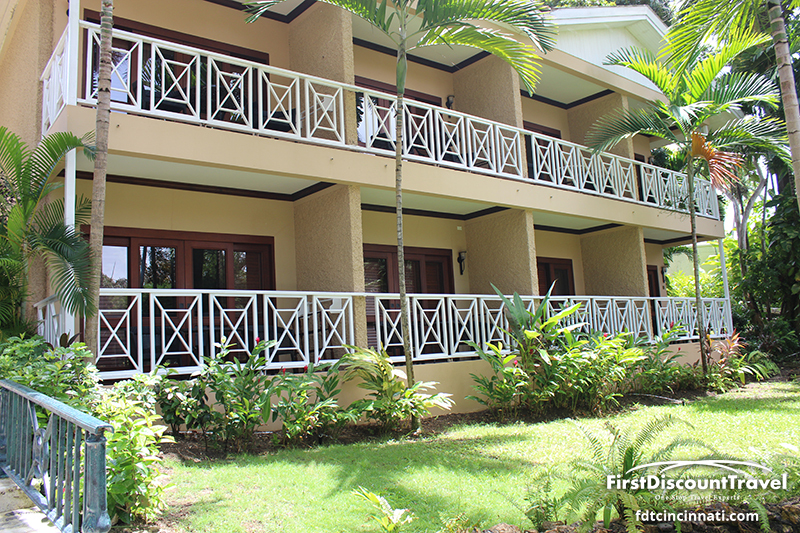 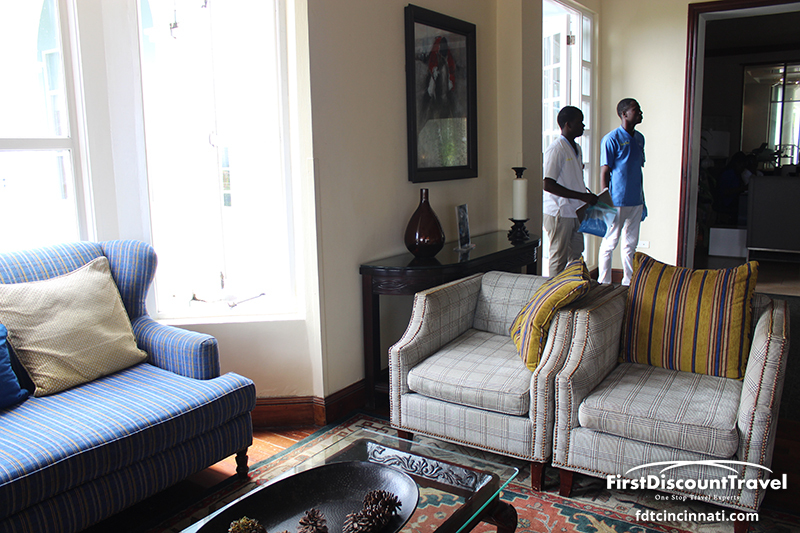 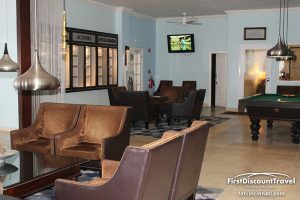 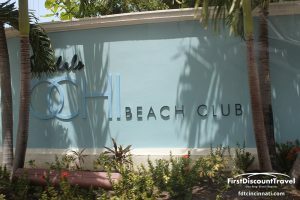 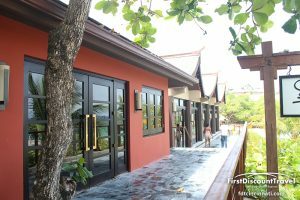 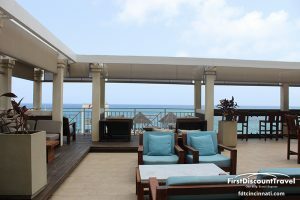 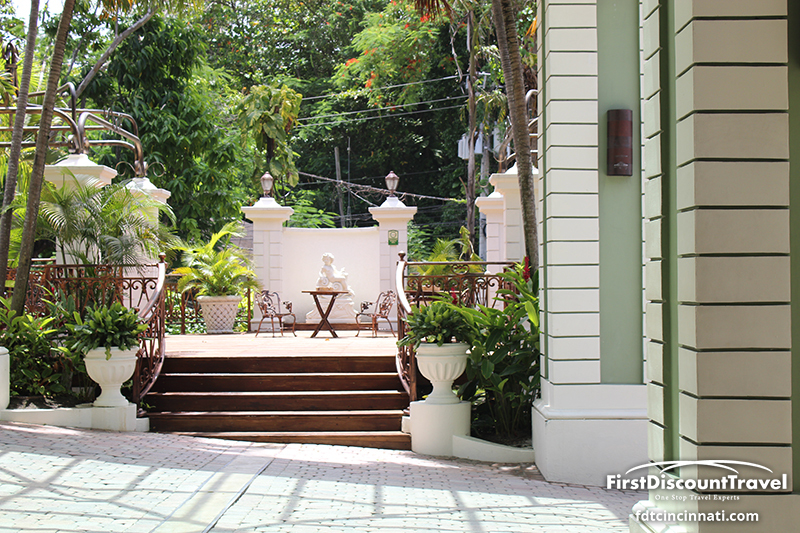 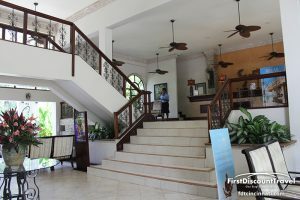 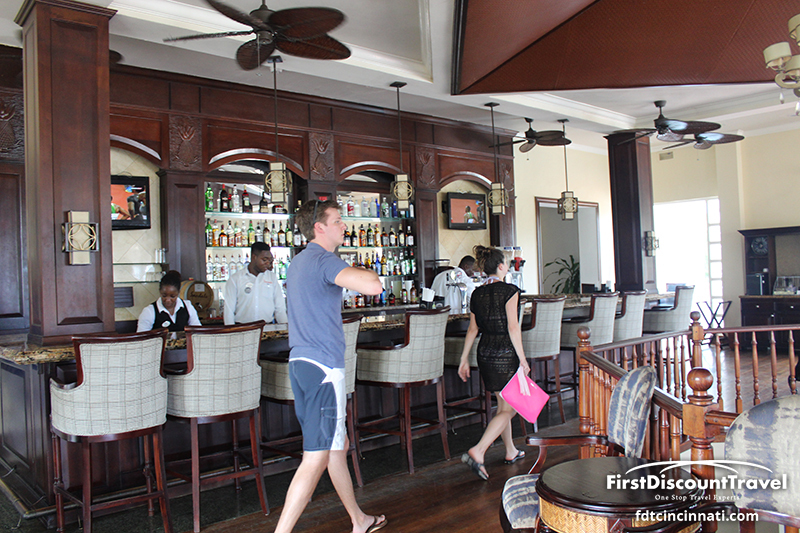 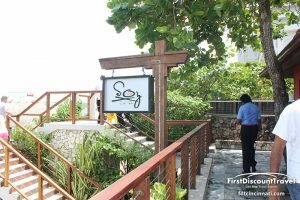 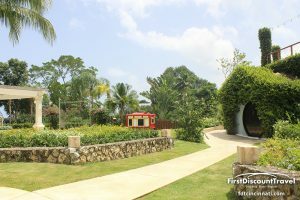 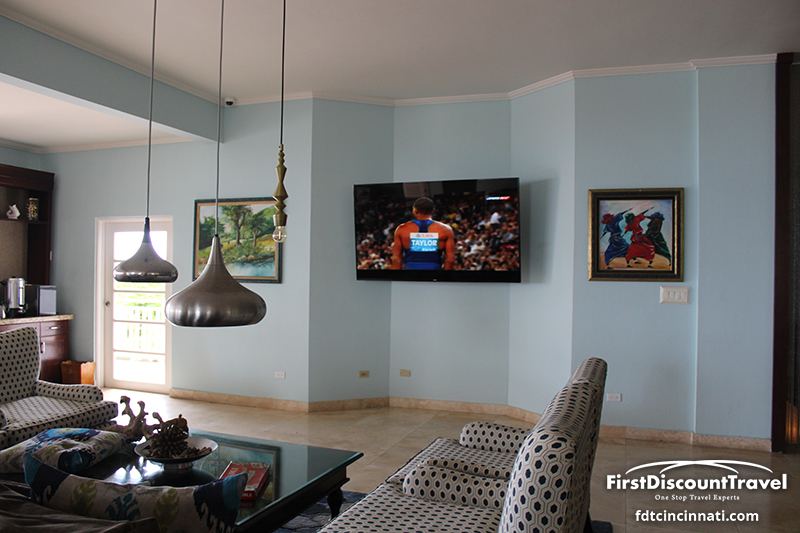 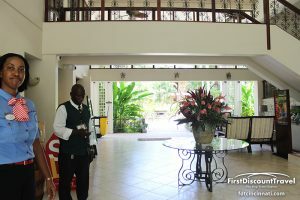 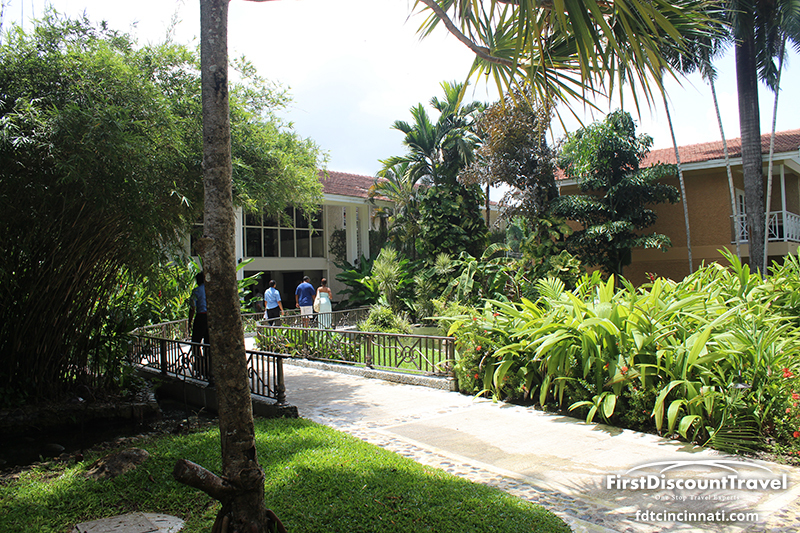 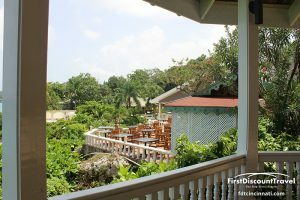 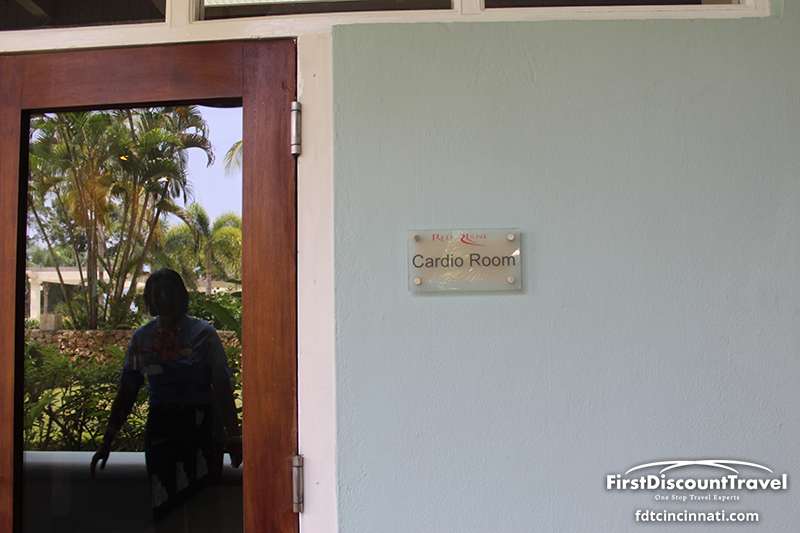 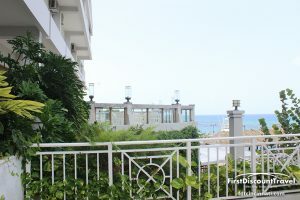 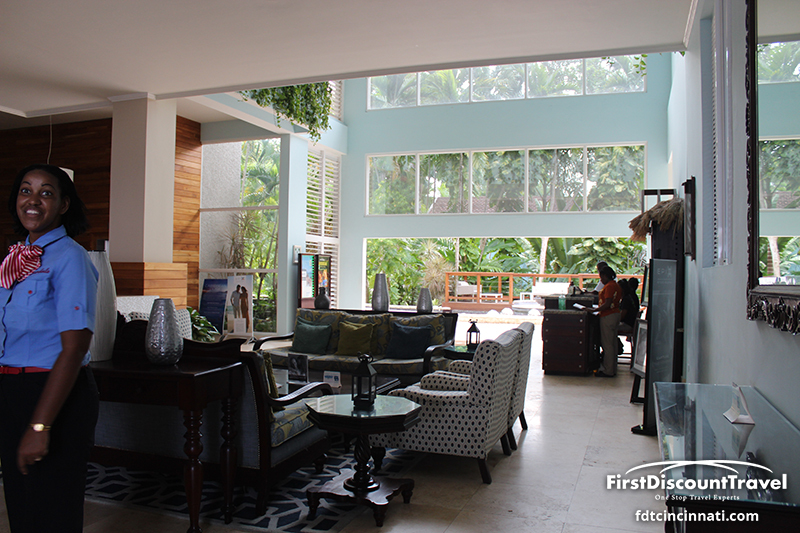 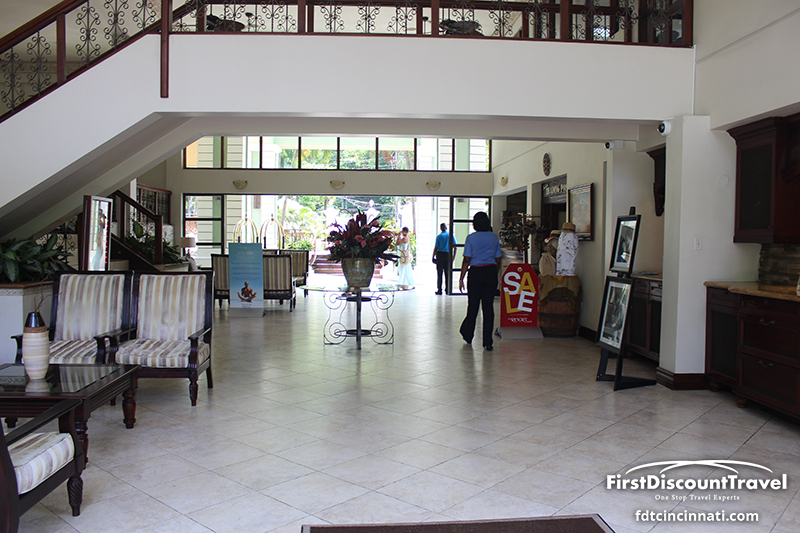 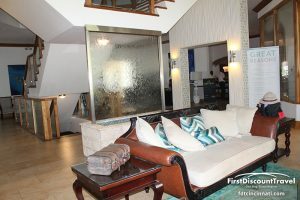 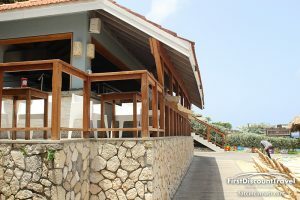 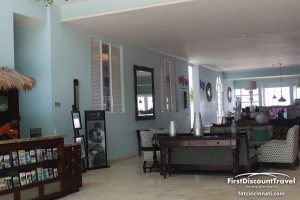 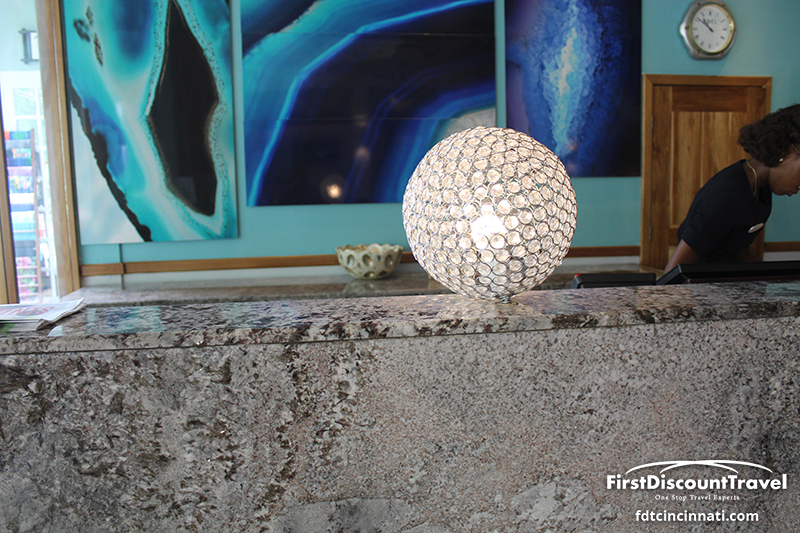 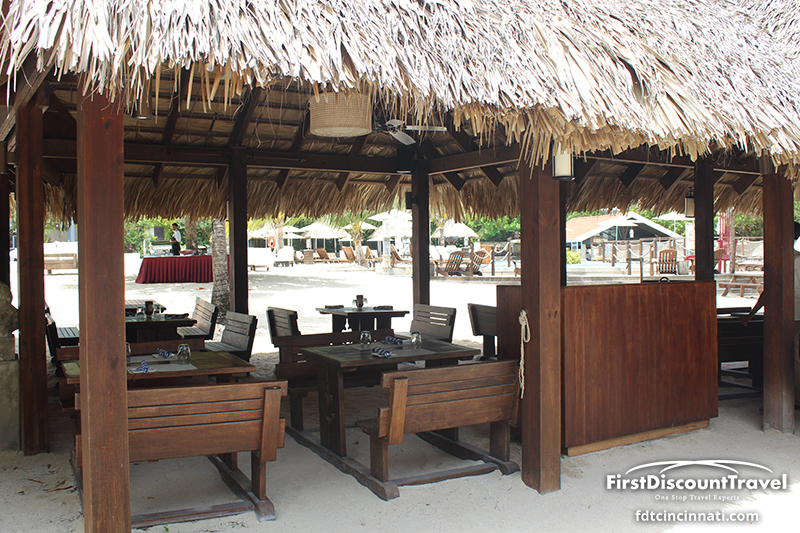 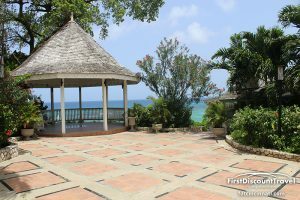 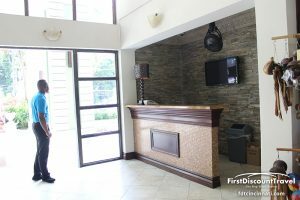 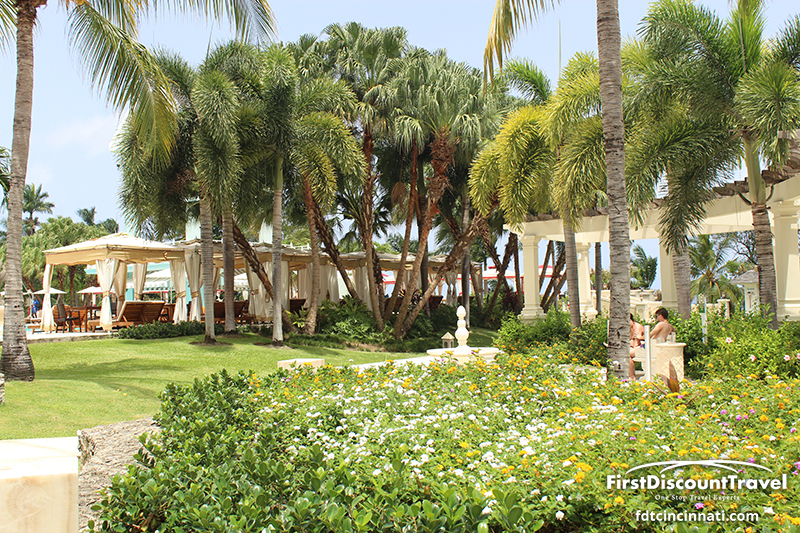 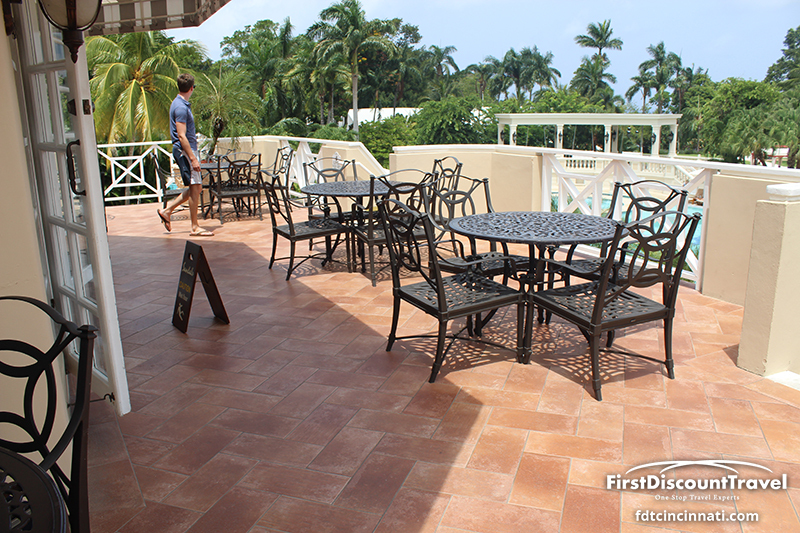 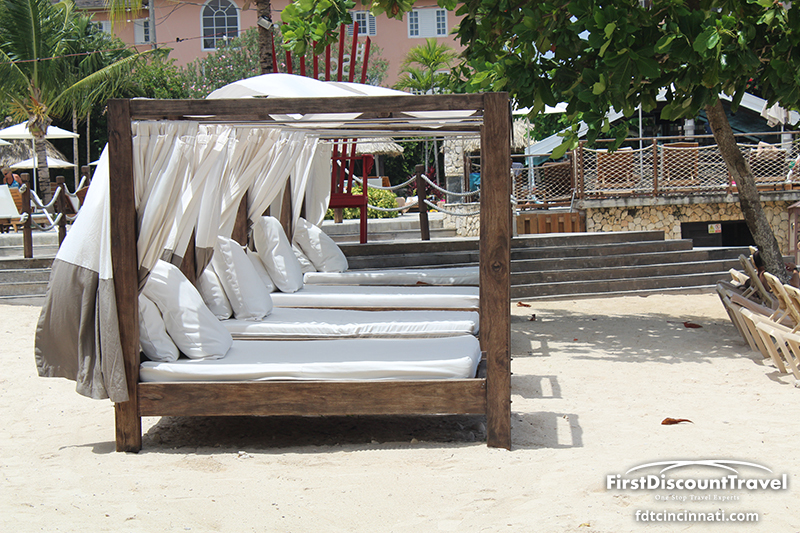 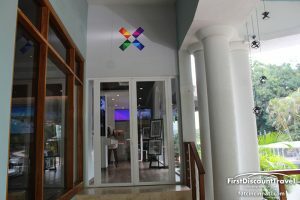 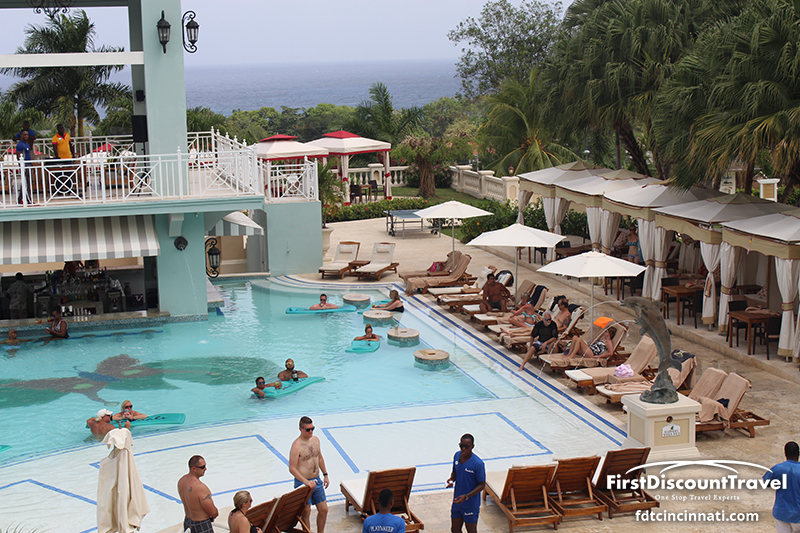 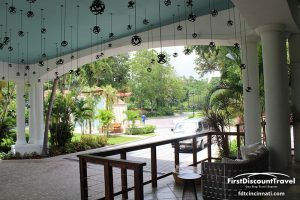 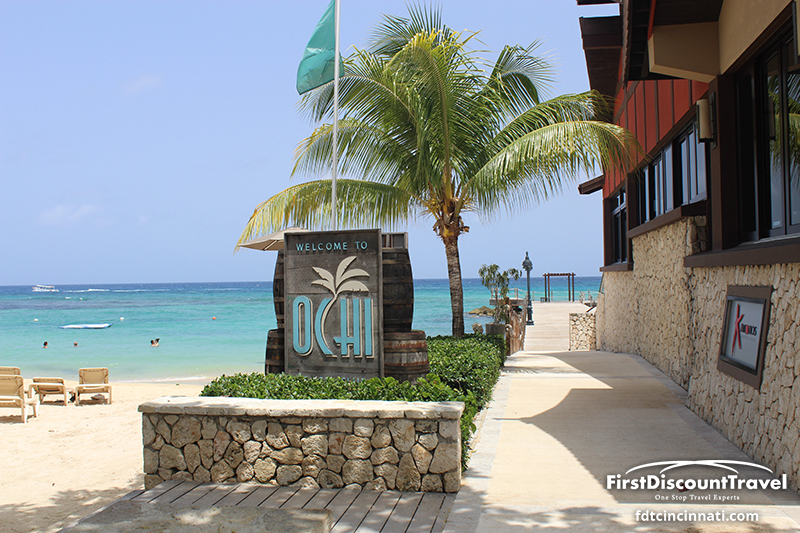 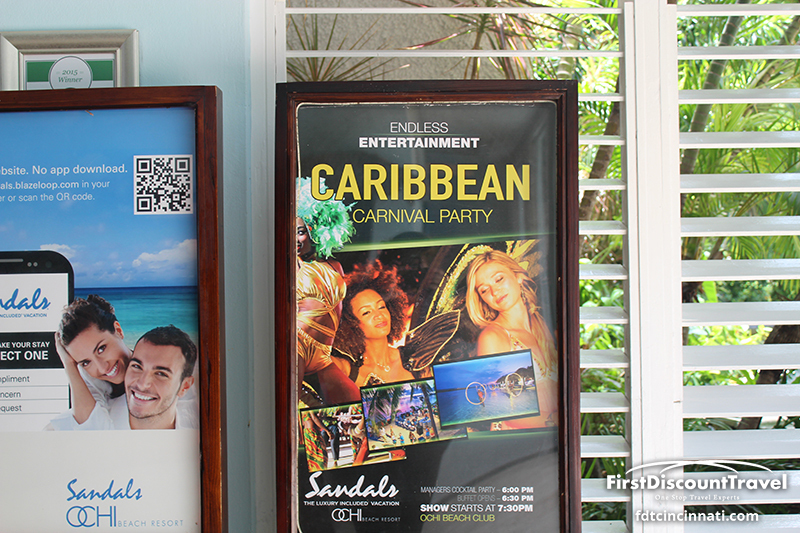 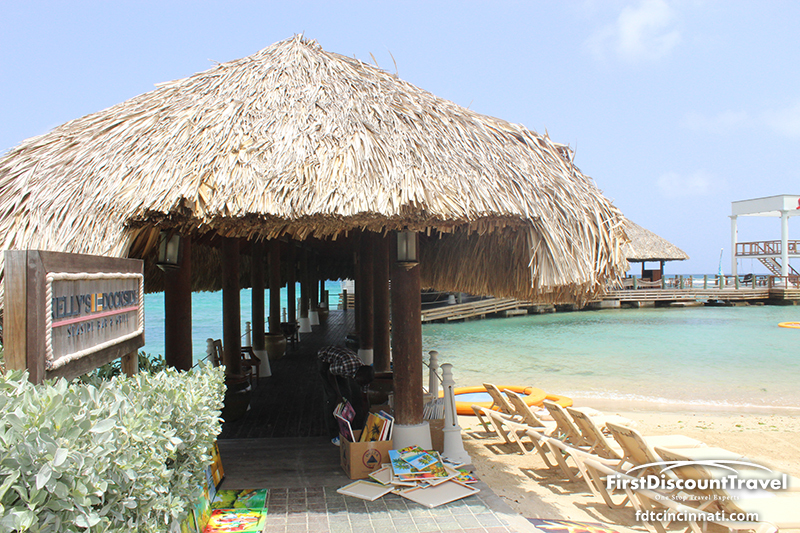 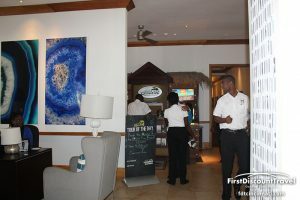 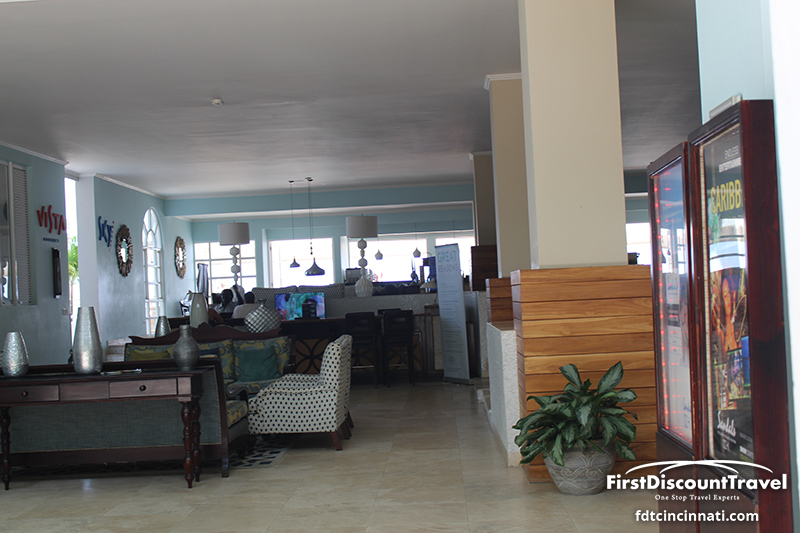 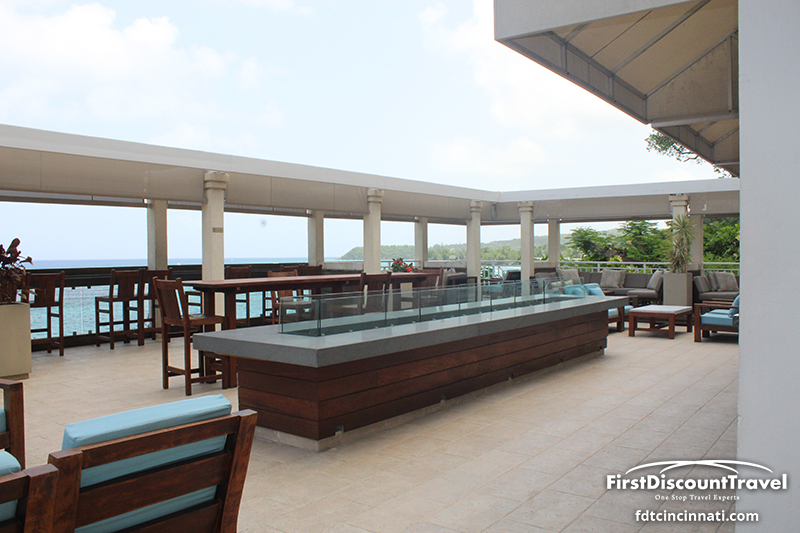 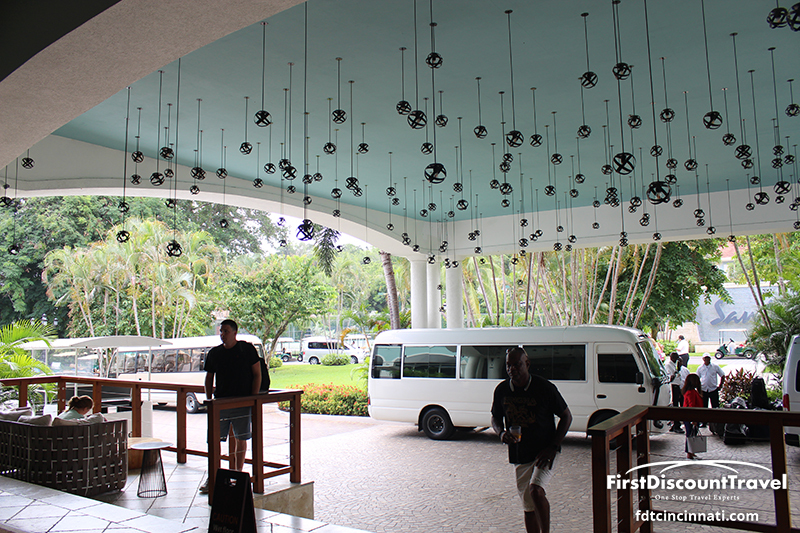 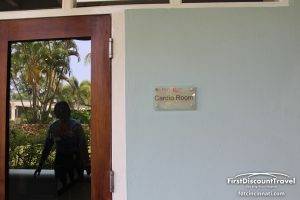 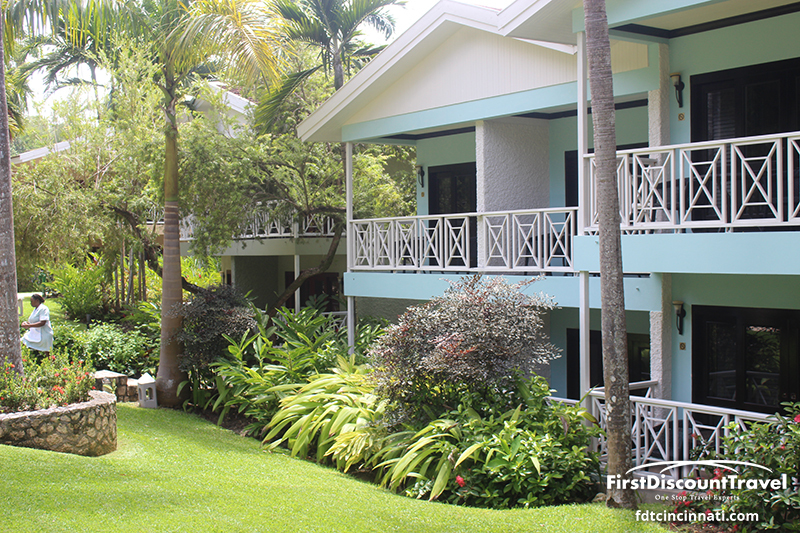 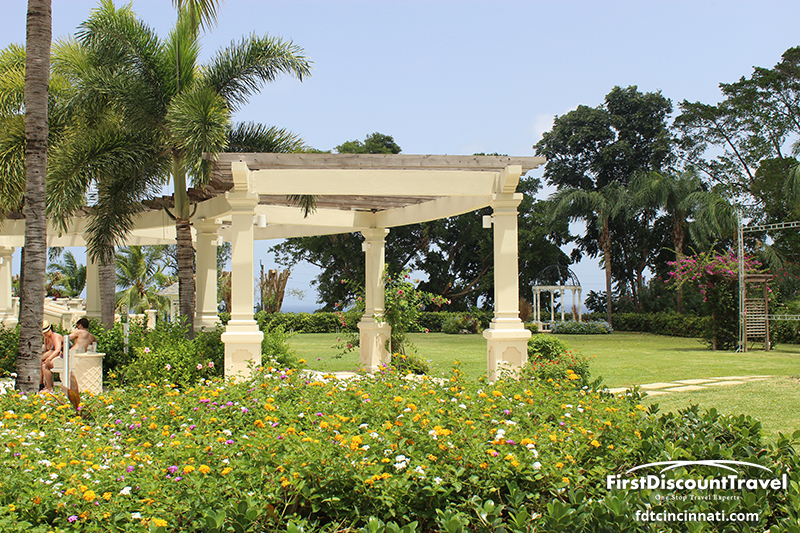 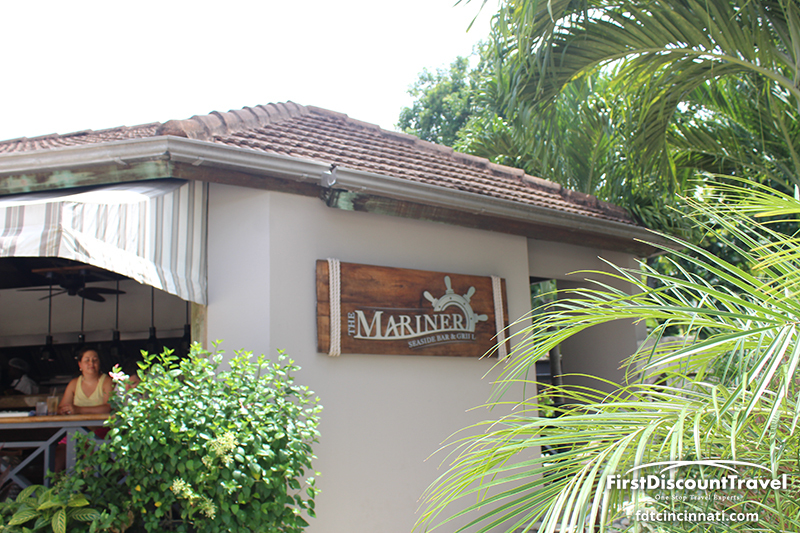 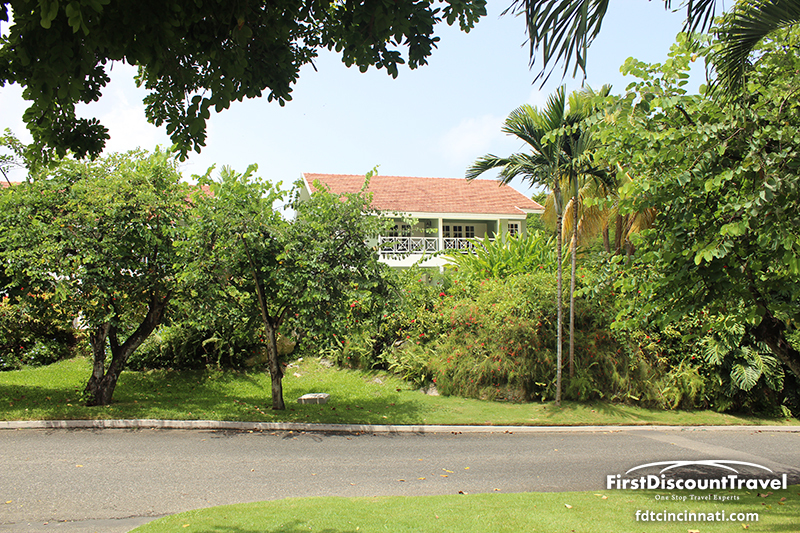 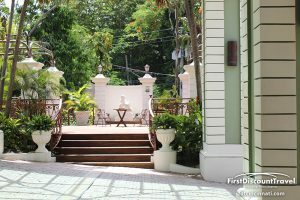 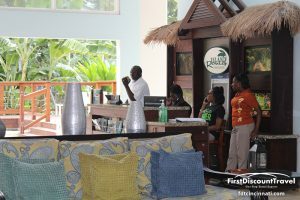 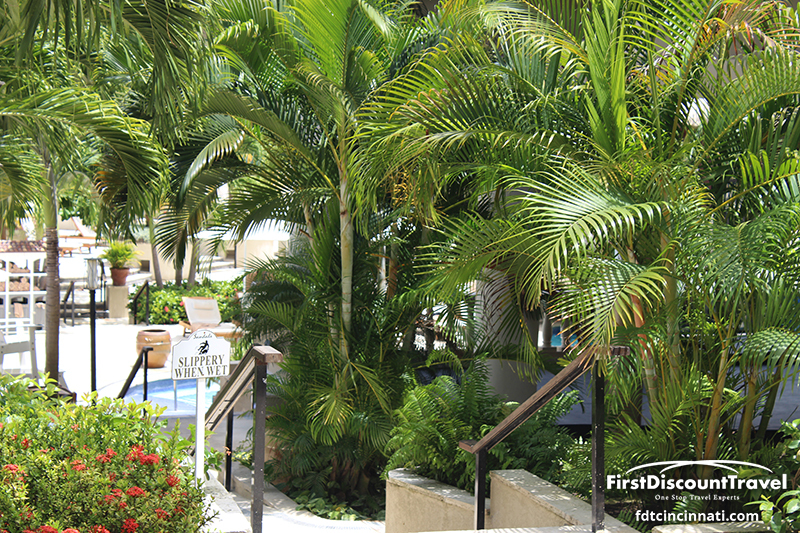 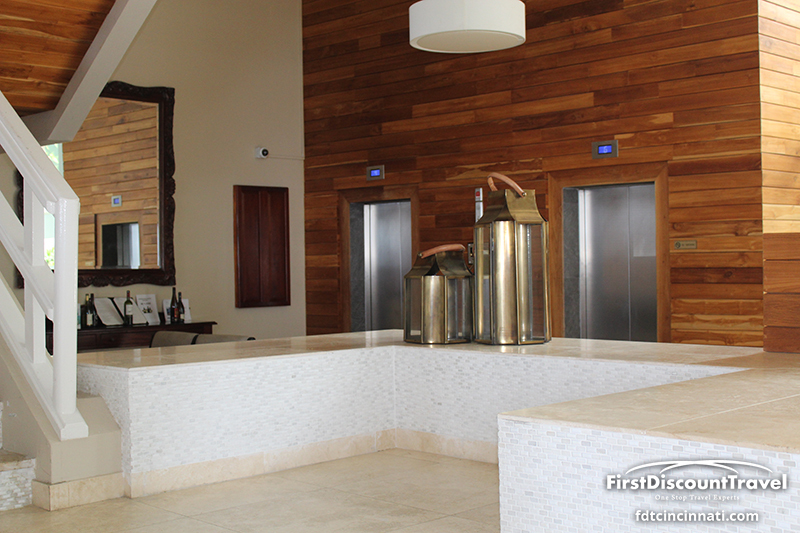 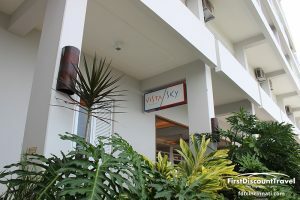 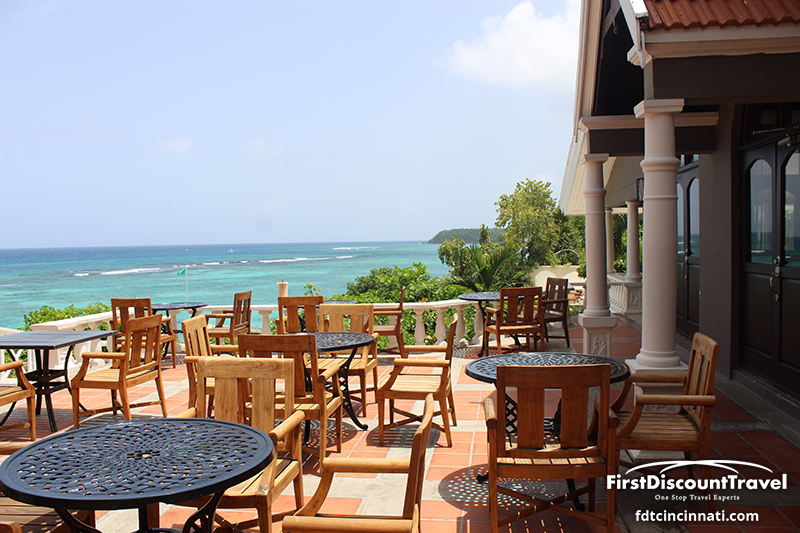 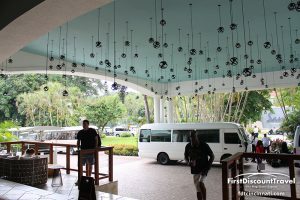 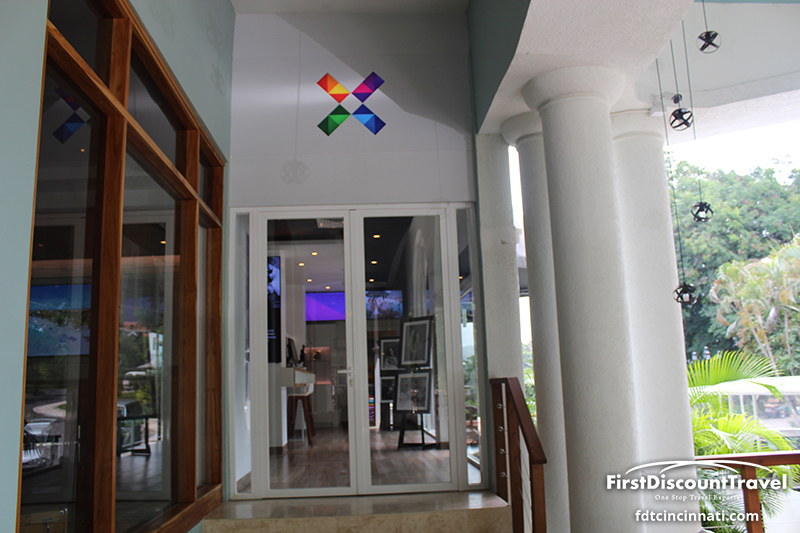 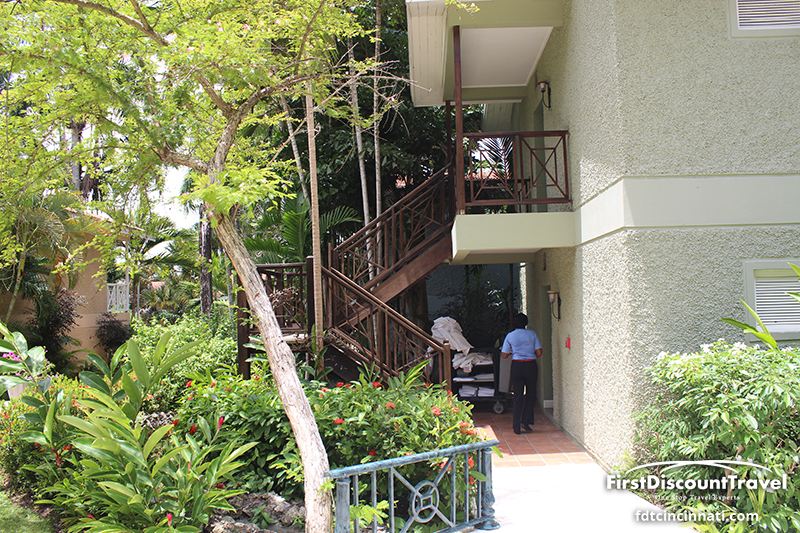 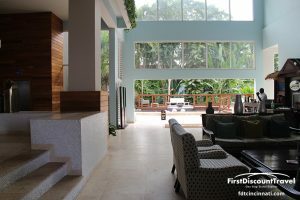 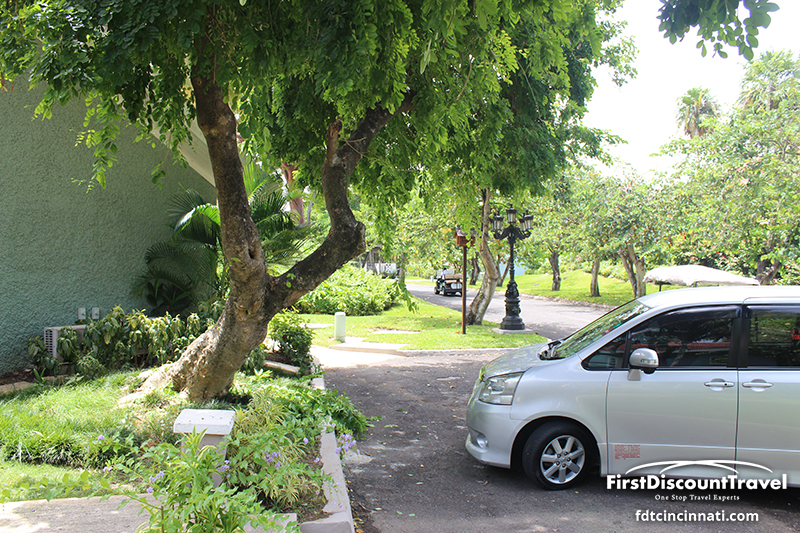 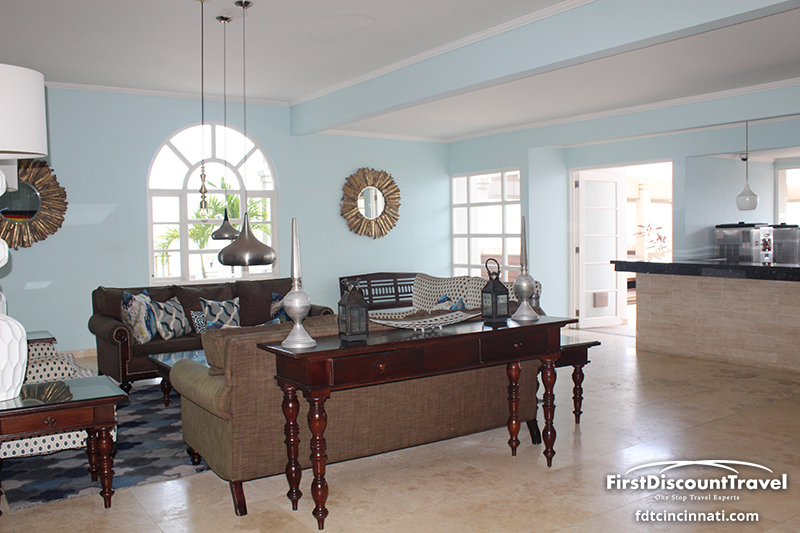 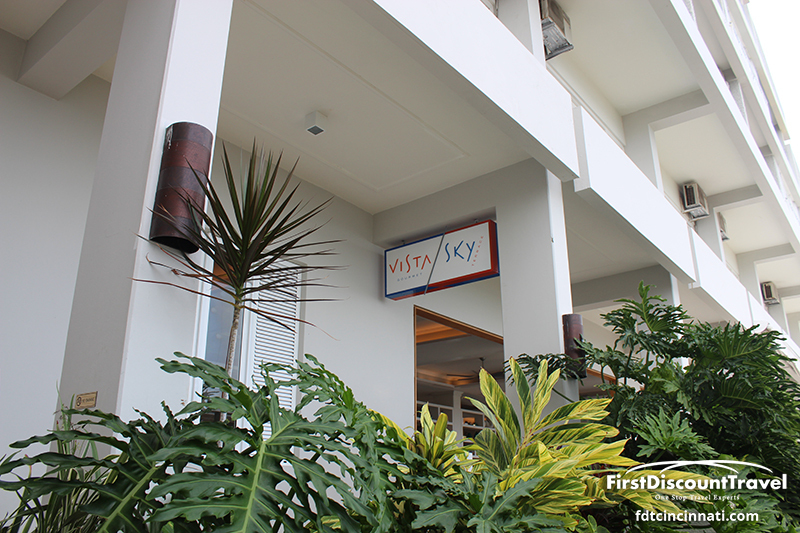 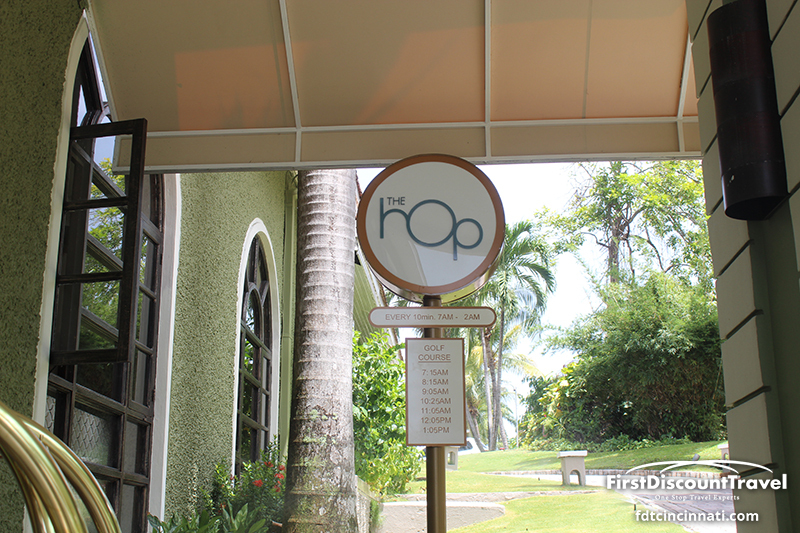 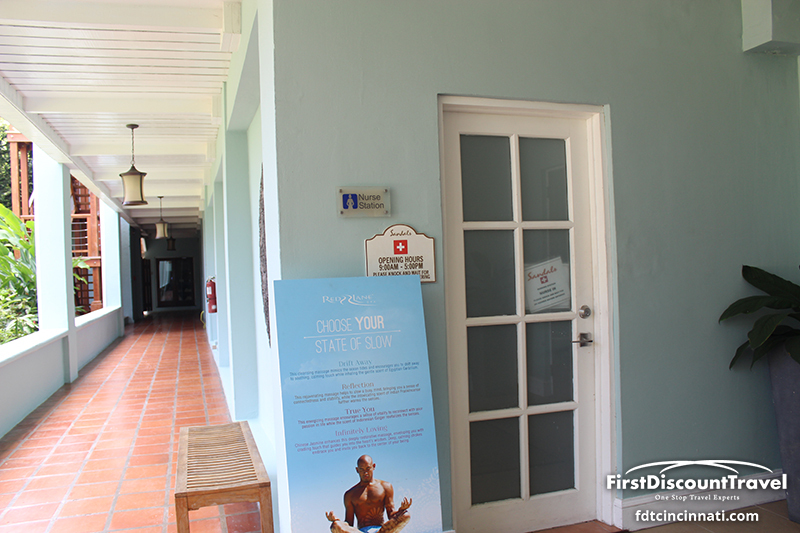 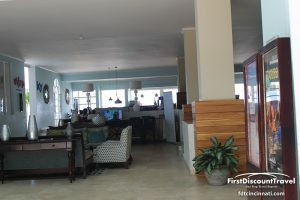 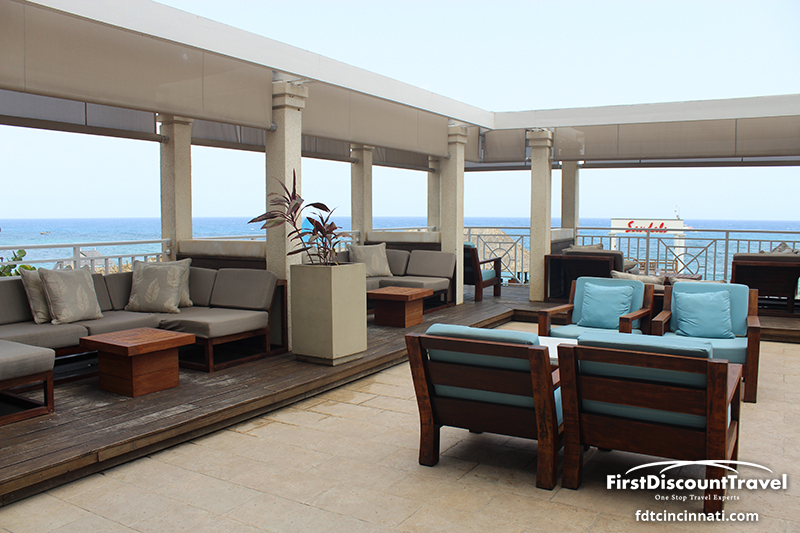 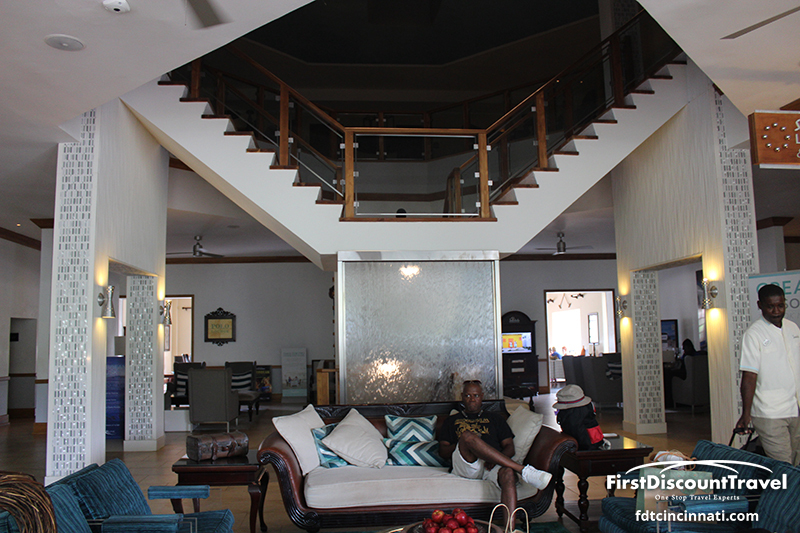 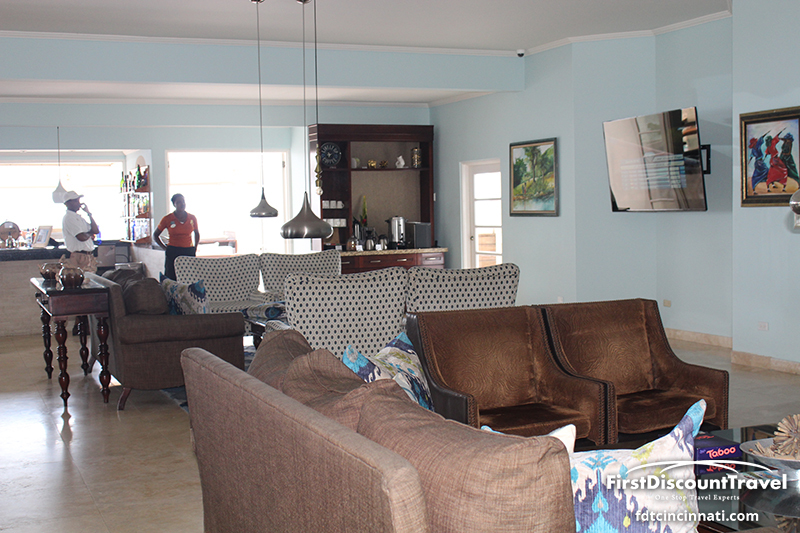 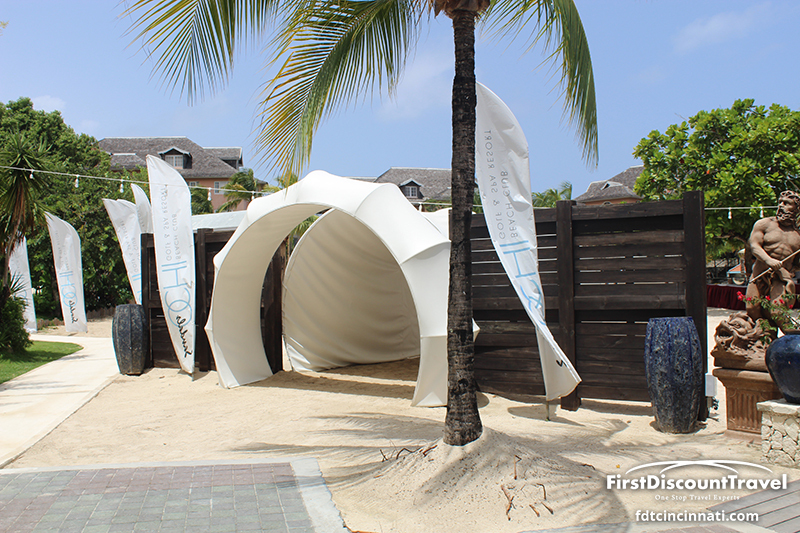 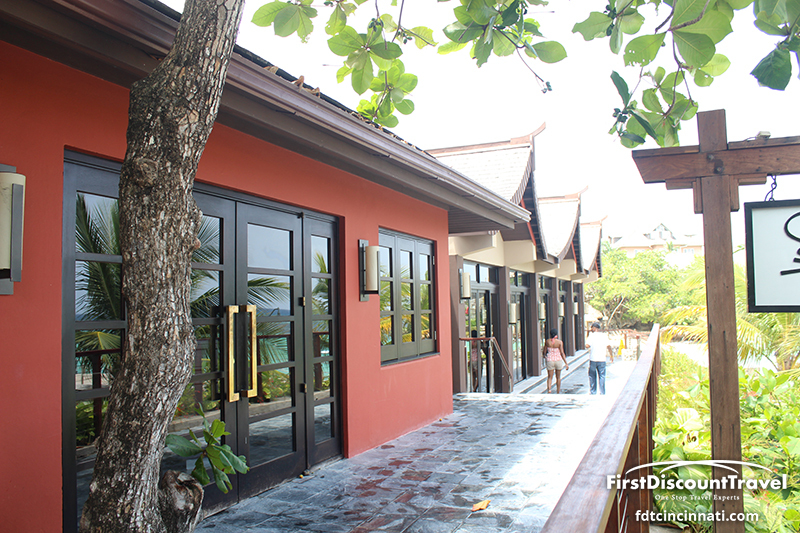 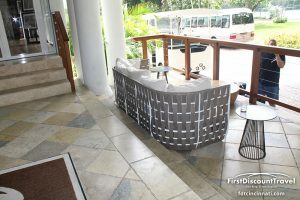 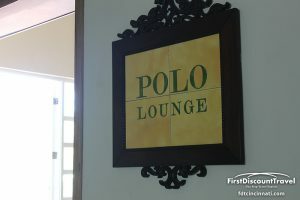 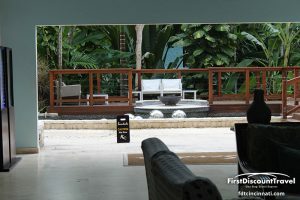 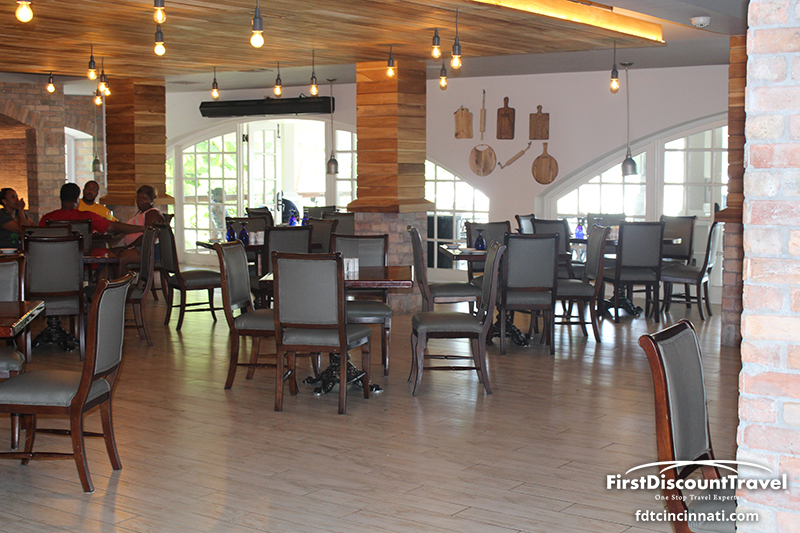 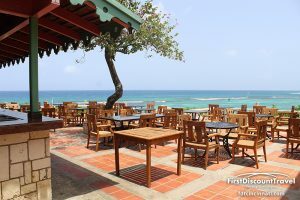 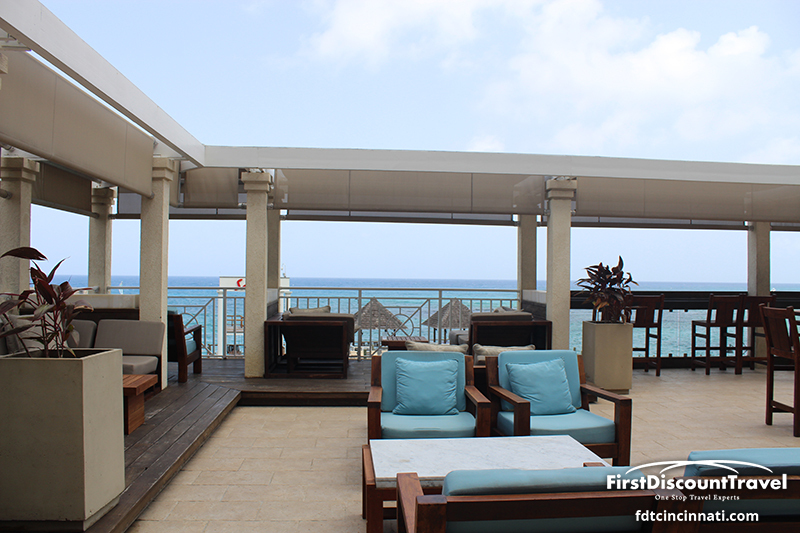 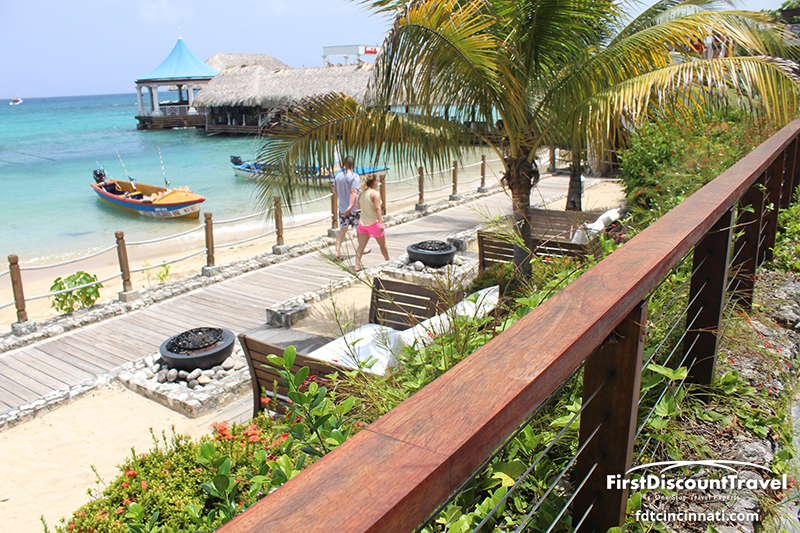 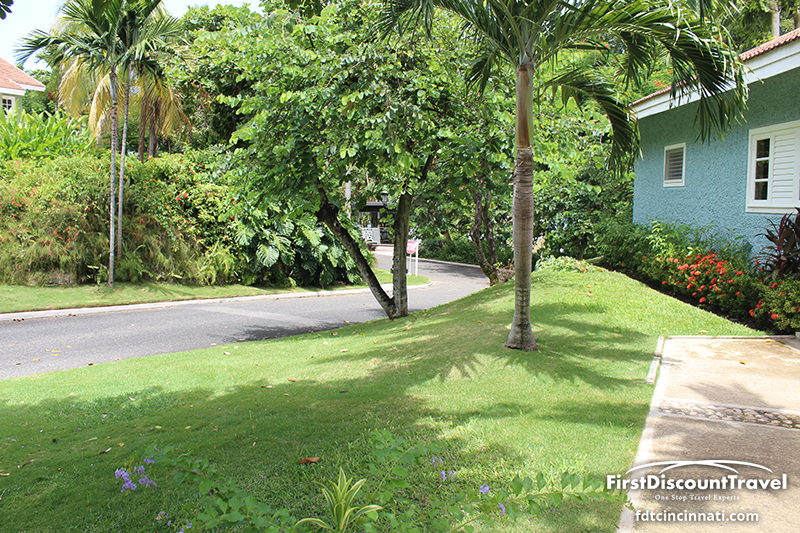 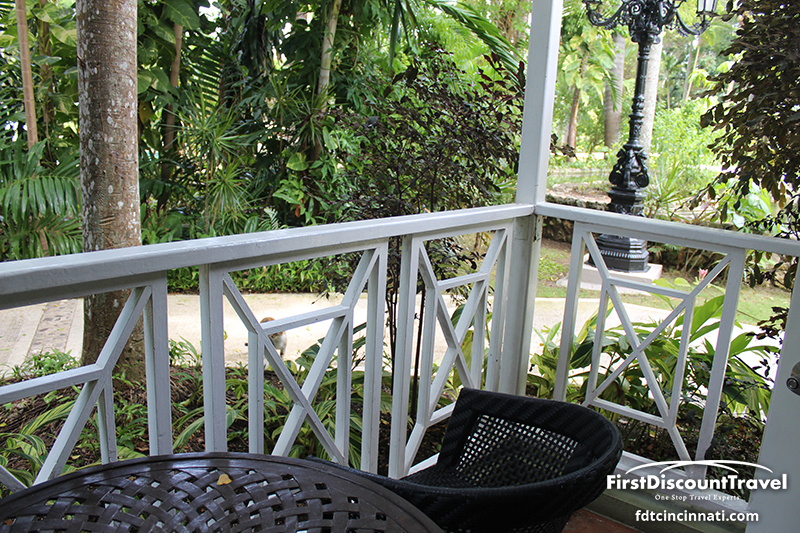 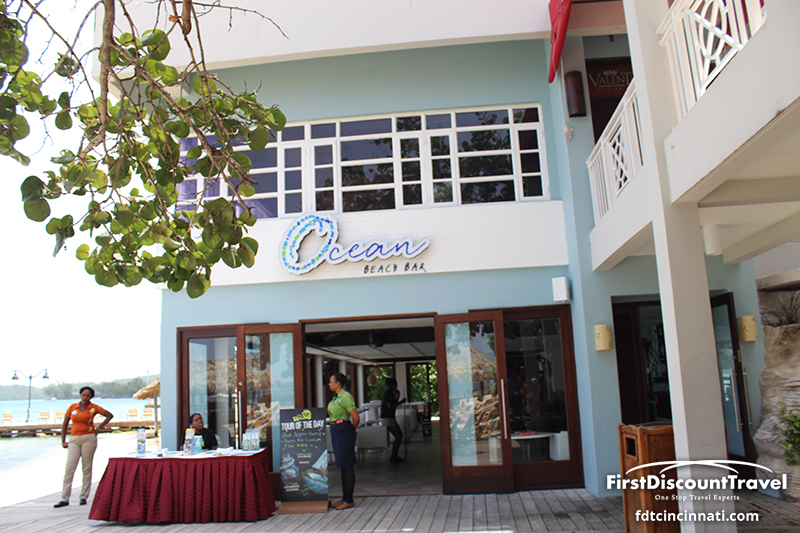 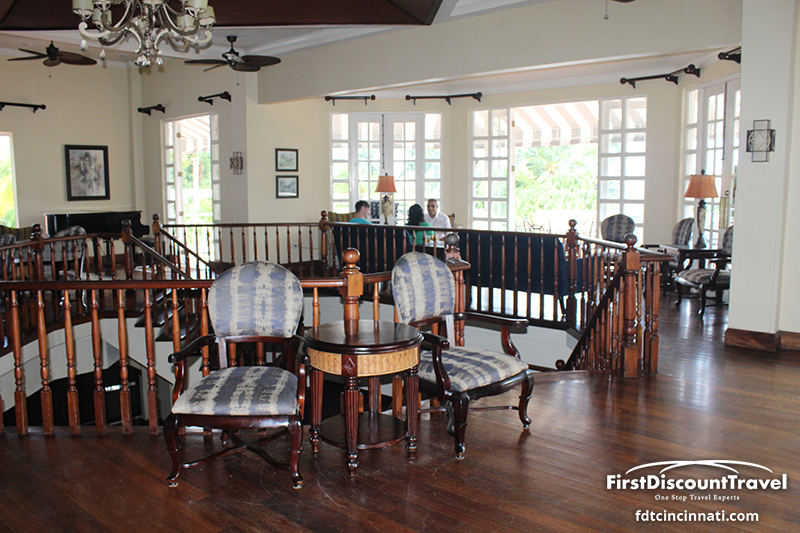 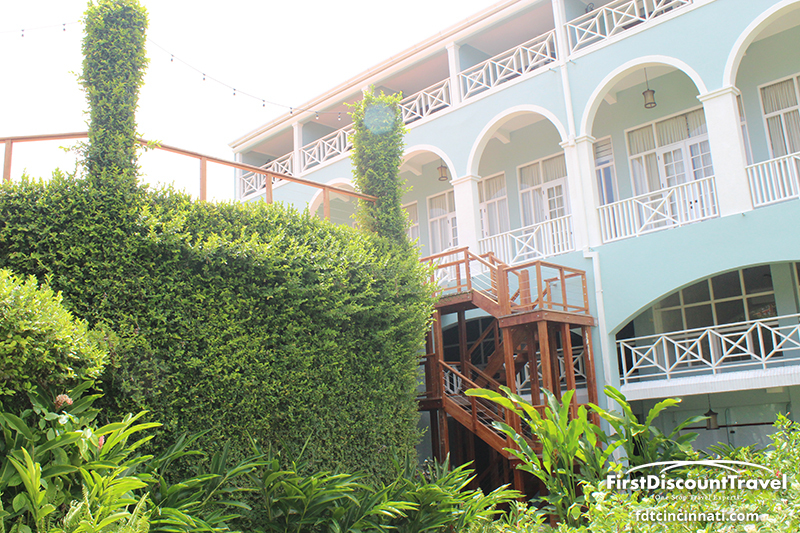 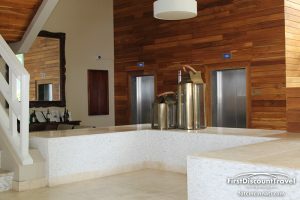 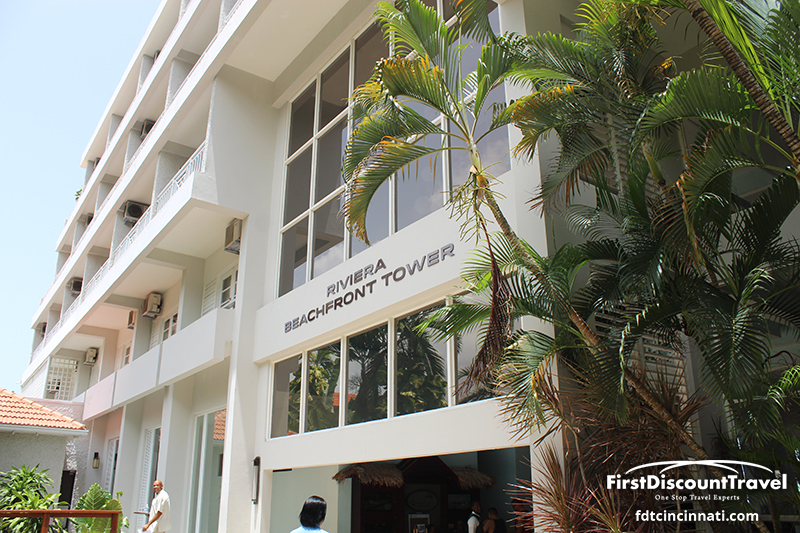 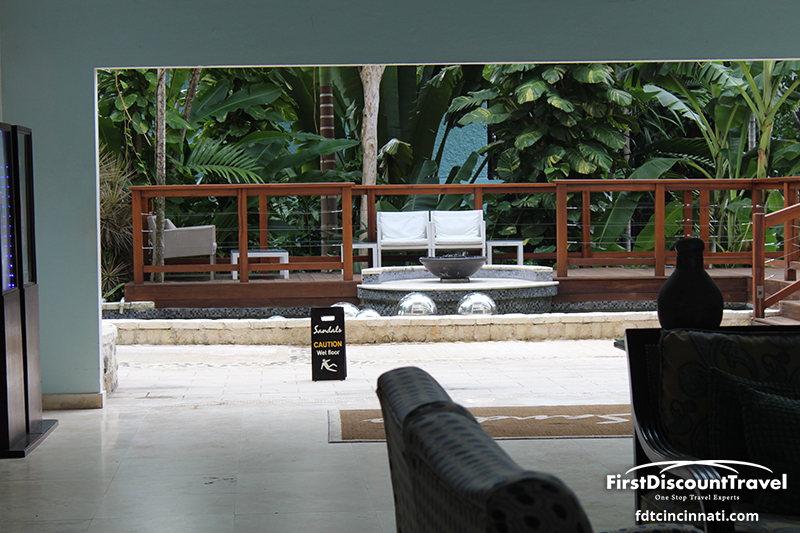 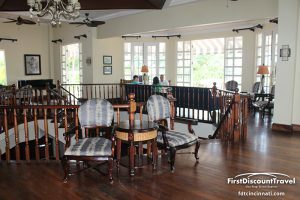 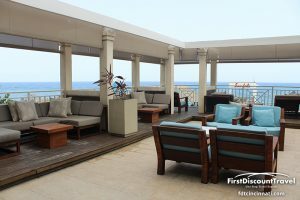 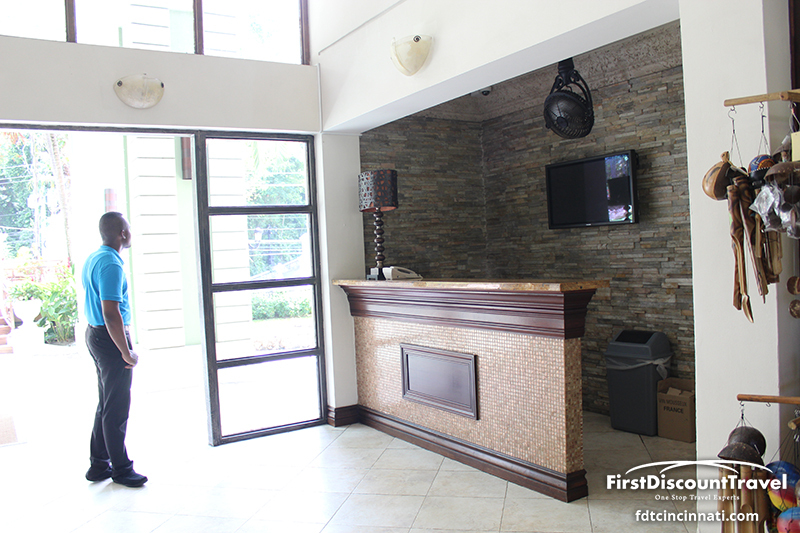 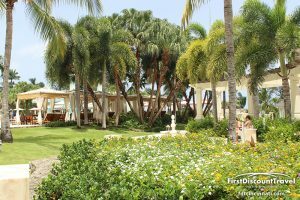 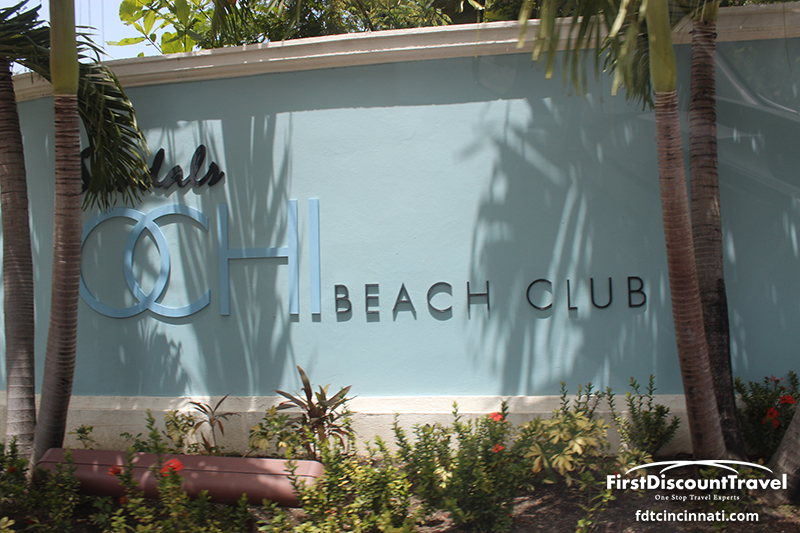 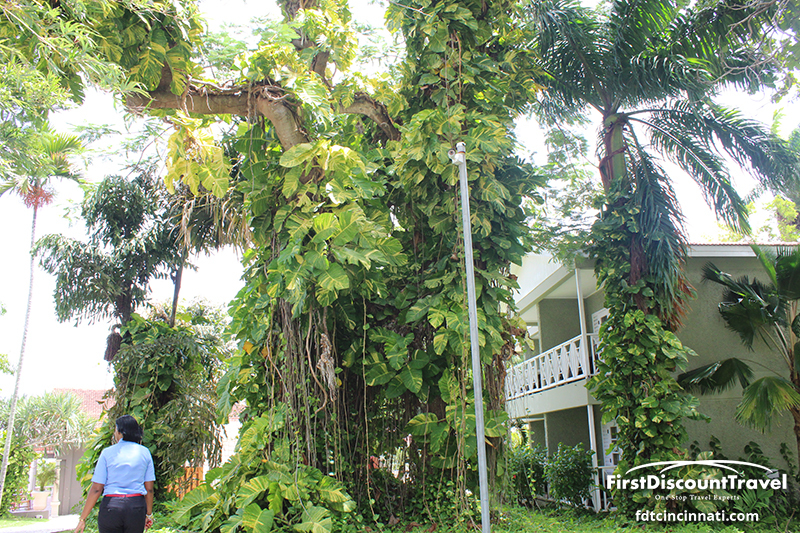 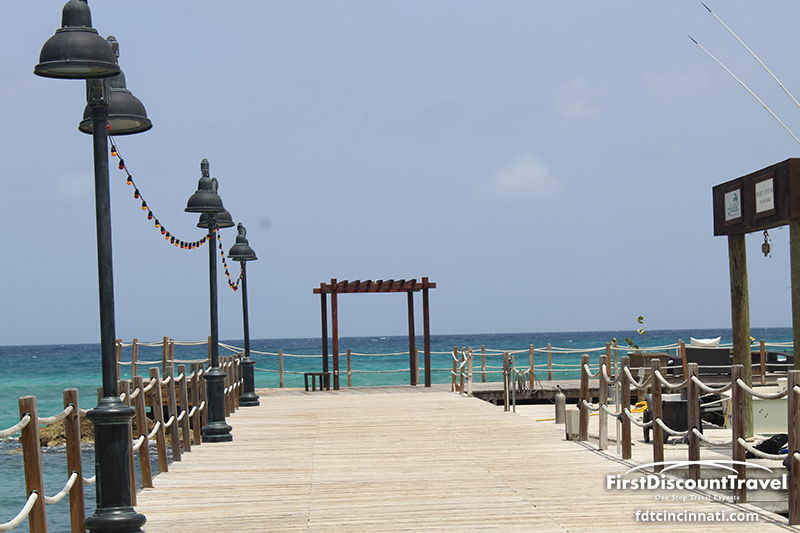 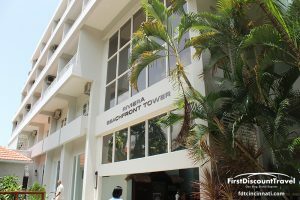 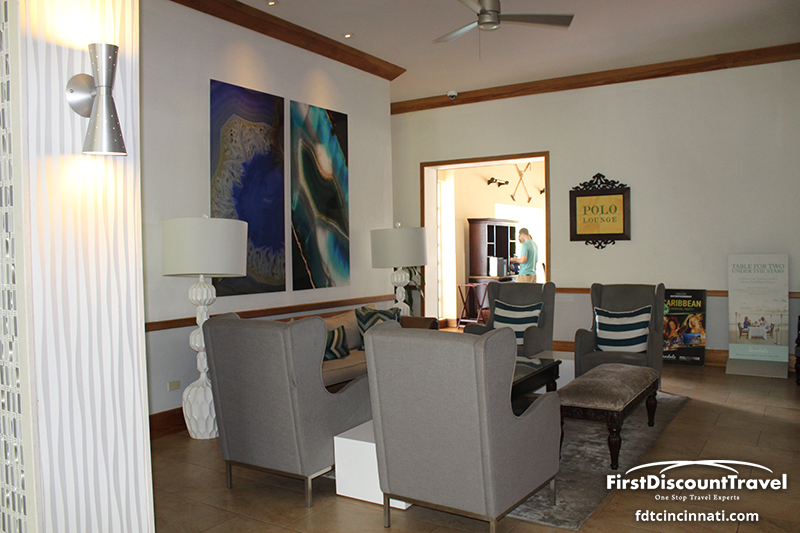 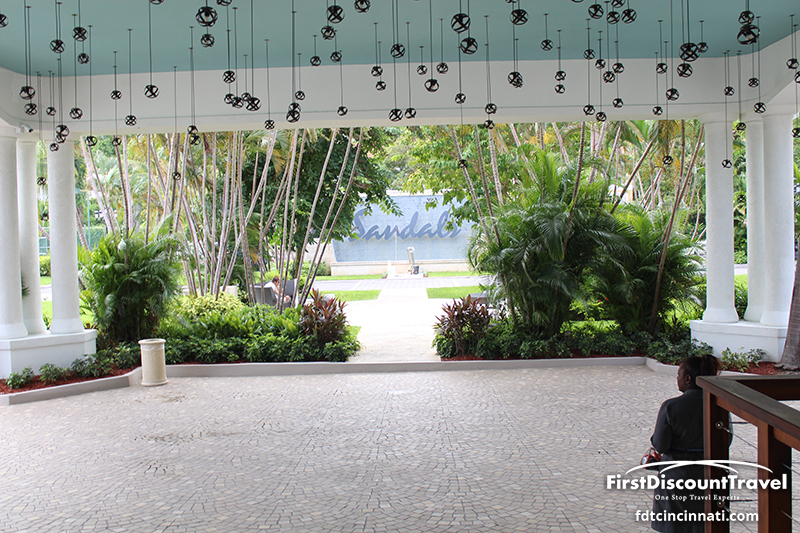 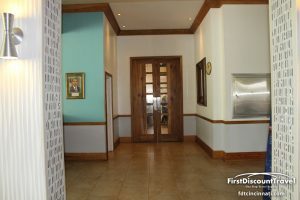 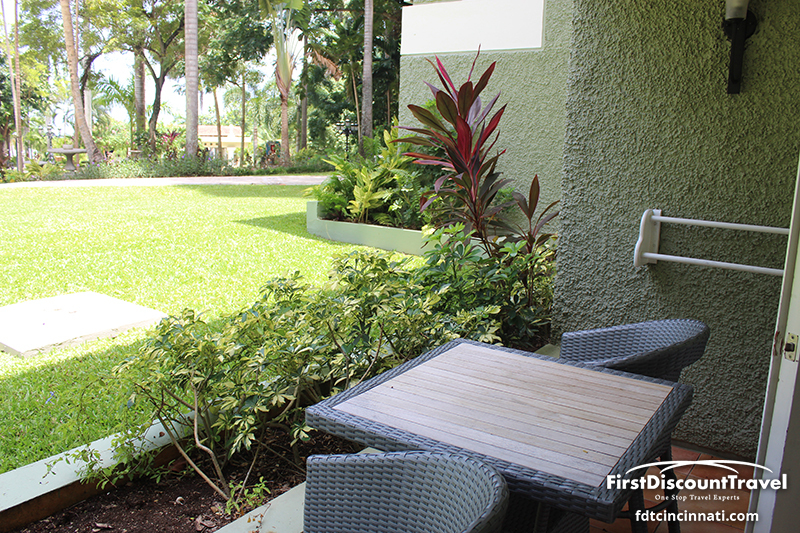 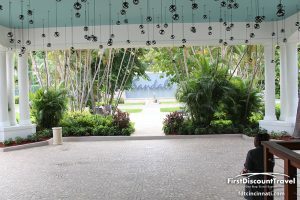 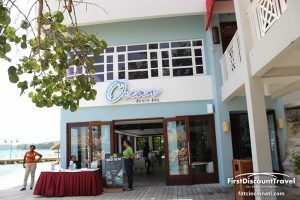 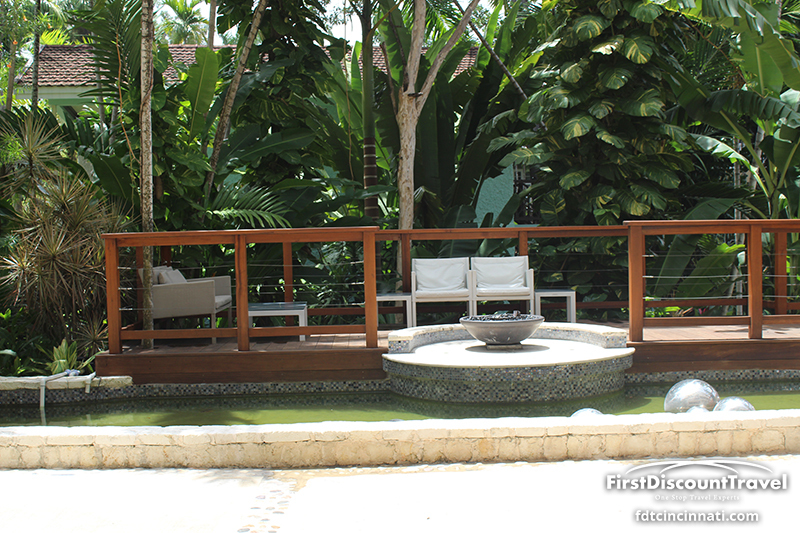 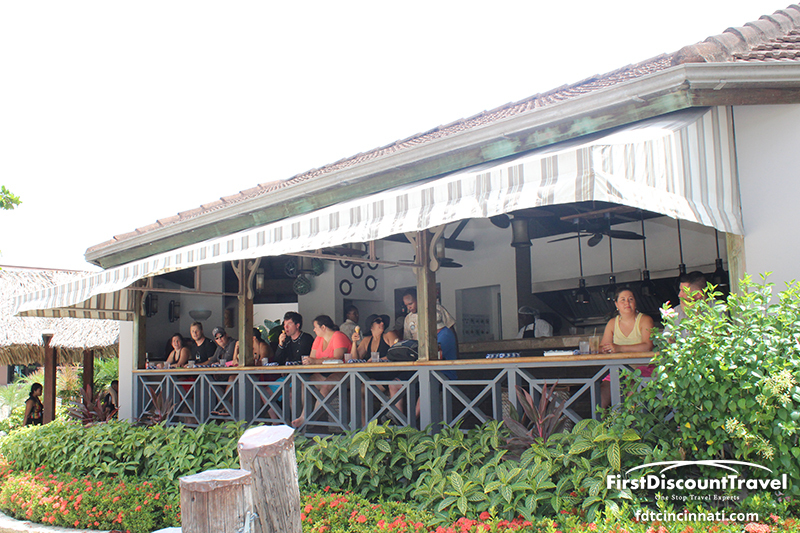 From this lobby, guests are transported via Van across the street to the Ochi Beach Club for beach access. 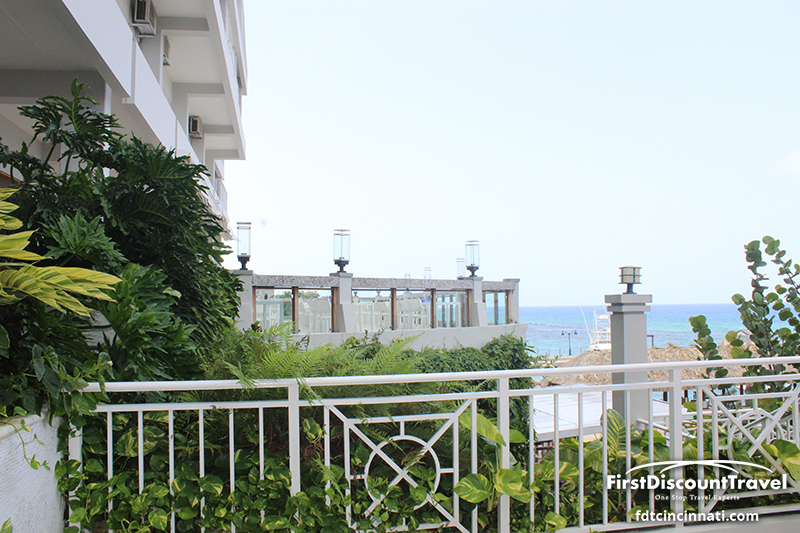 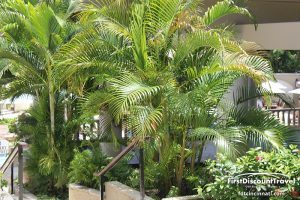 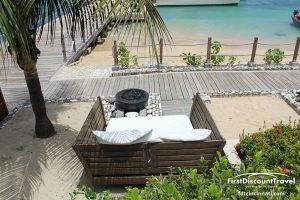 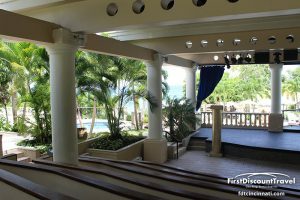 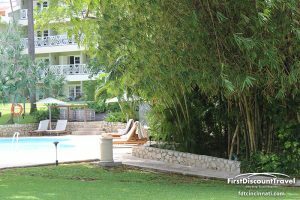 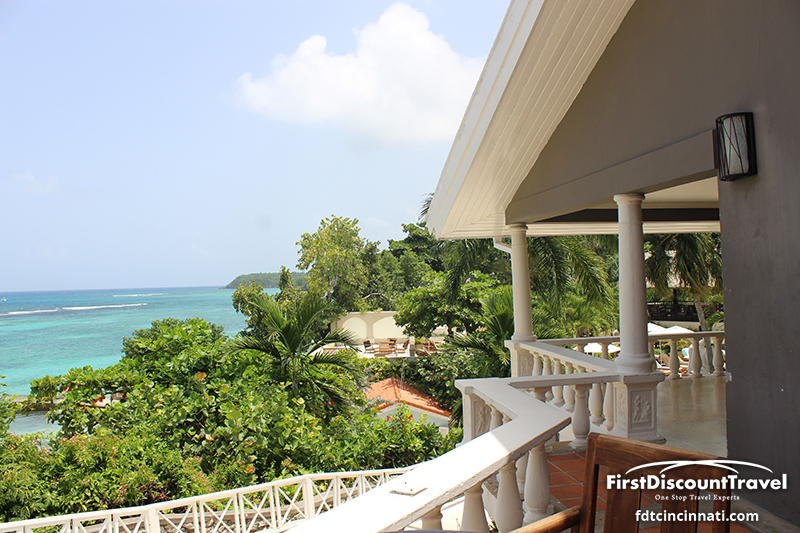 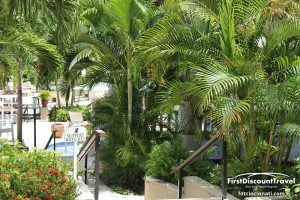 Guests on the Riviera side of the resort are in a traditional high rise hotel with many rooms offering stunning views of the Caribbean Sea. 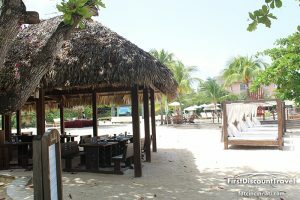 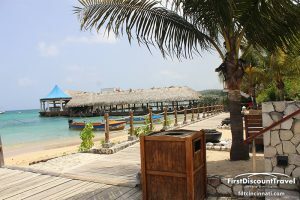 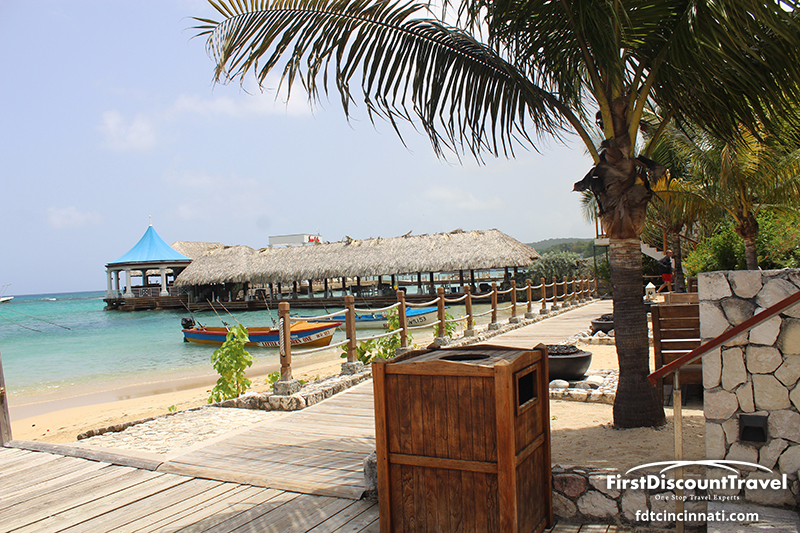 The beach is very nice at the resort (white sand and turquois water), but it is not a great walking beach. 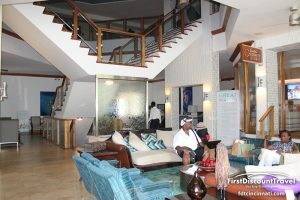 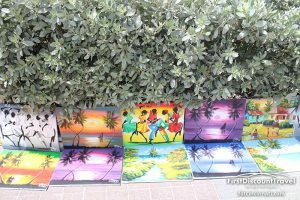 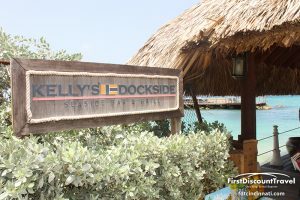 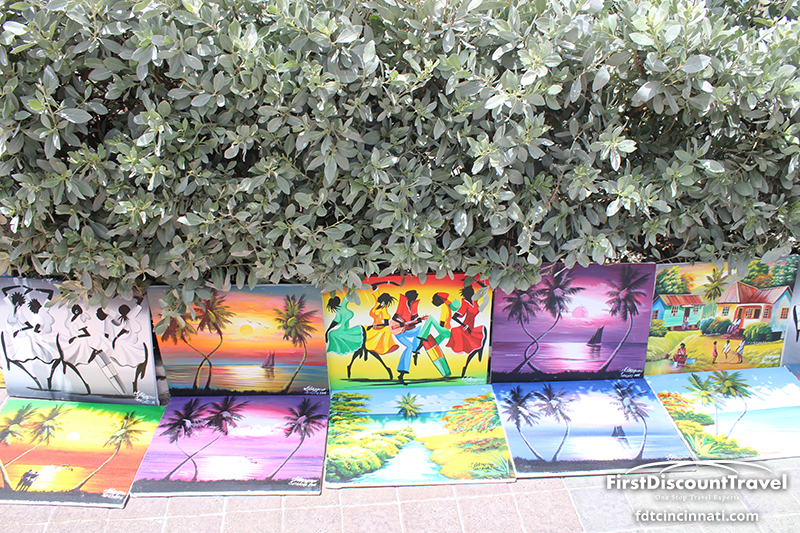 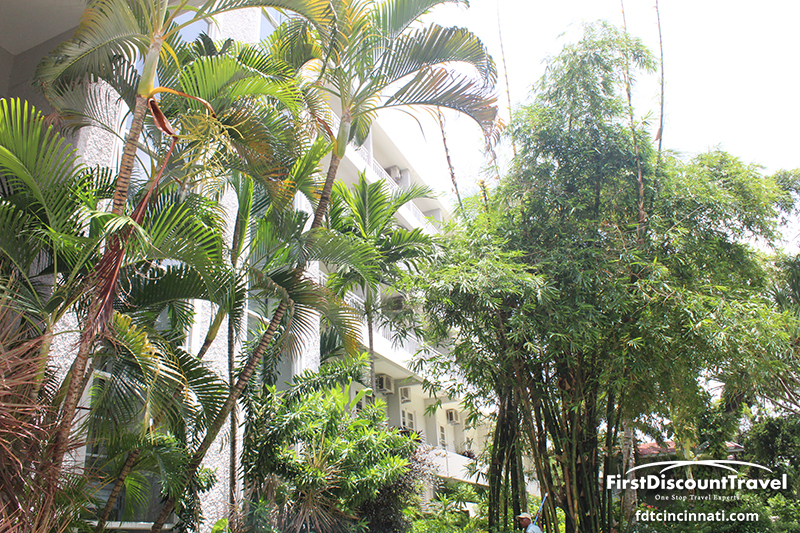 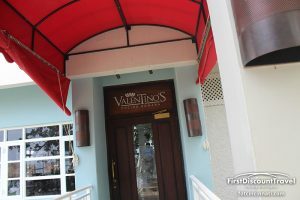 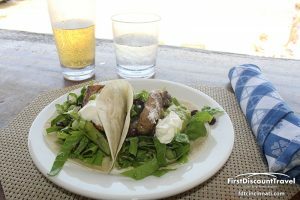 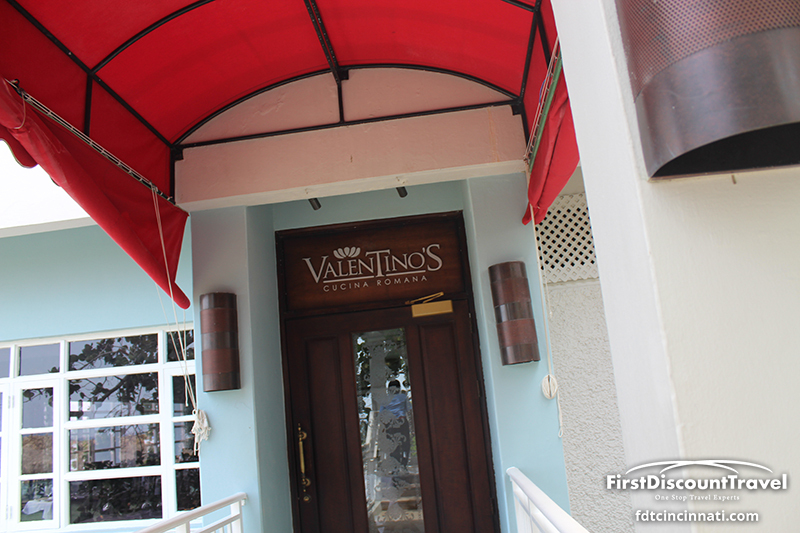 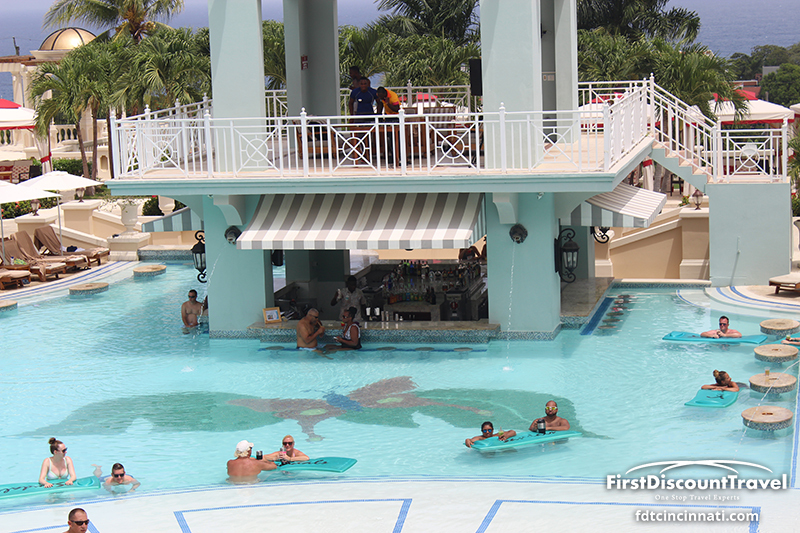 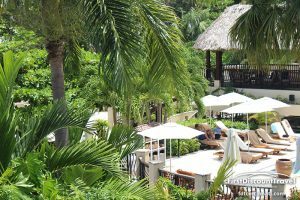 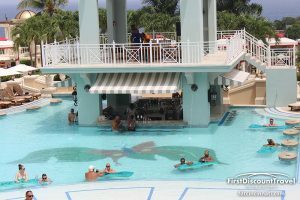 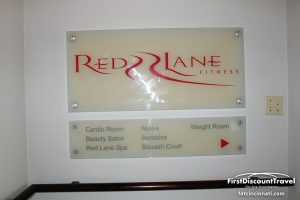 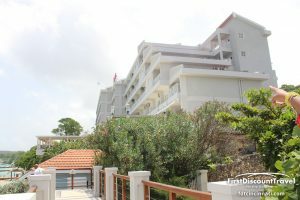 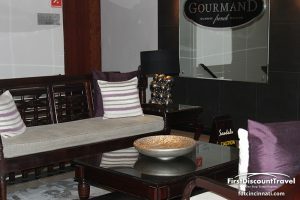 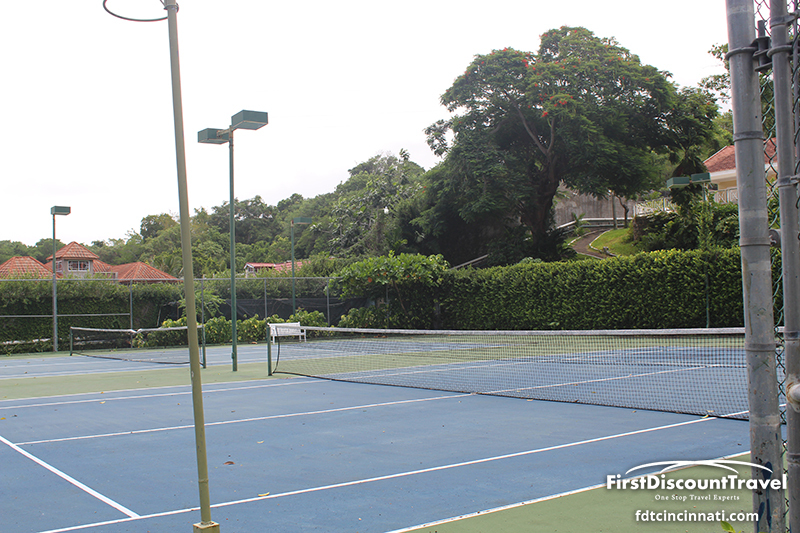 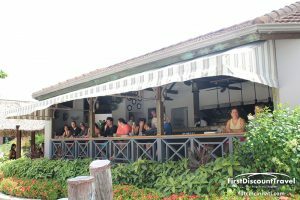 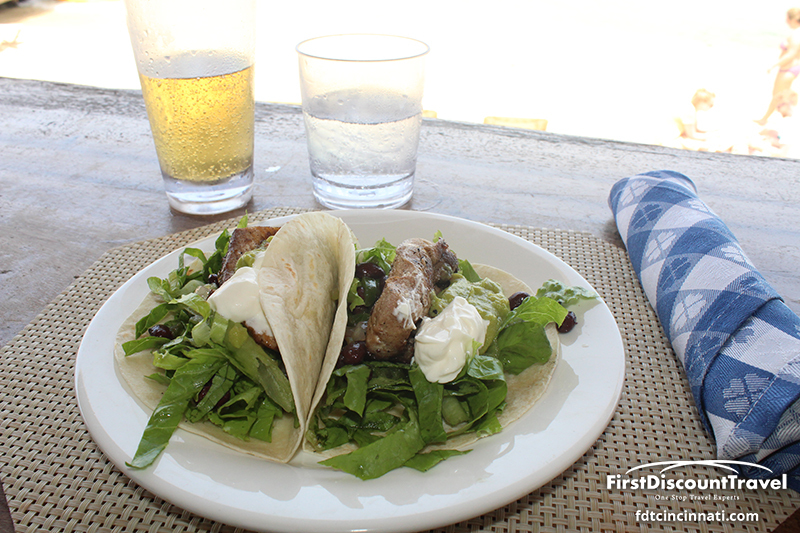 The resort has a very chic South Beach look and attracts a younger social crowd. 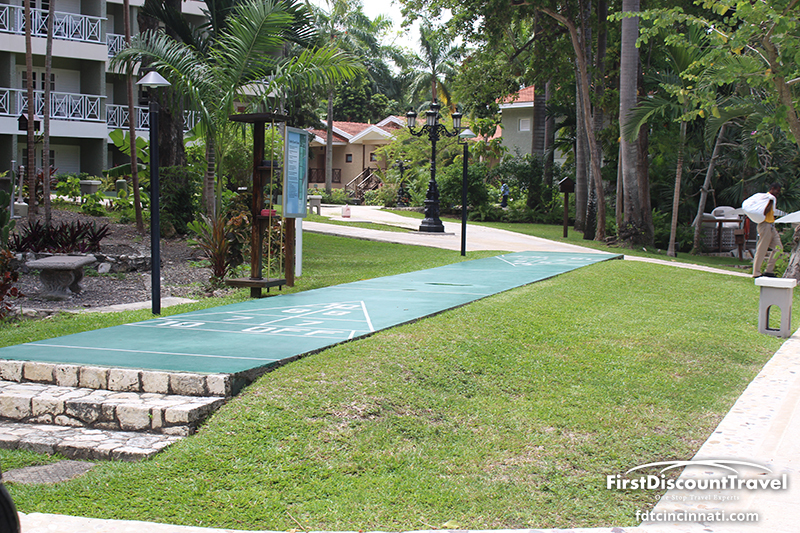 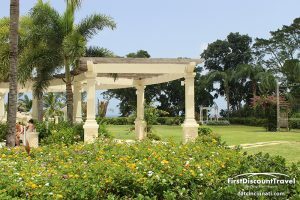 Greens fees and transfers are included to Sandals Country Club (mandatory caddy, cart and optional club rental is not included). 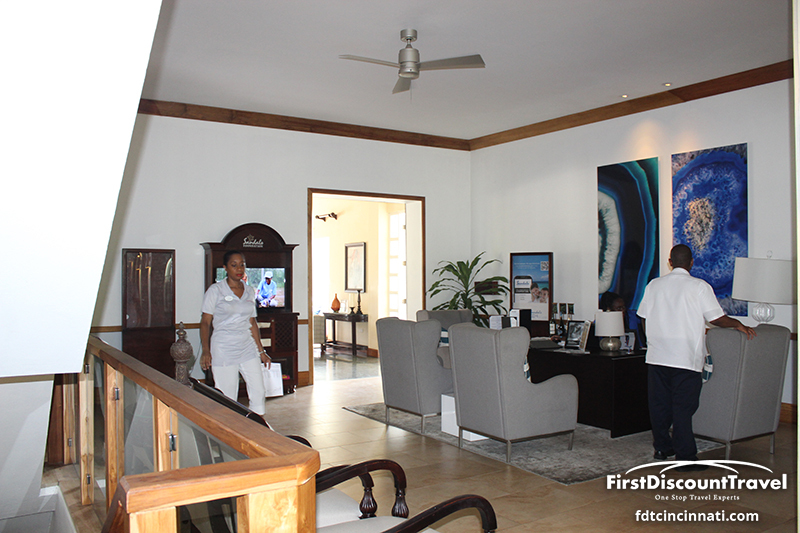 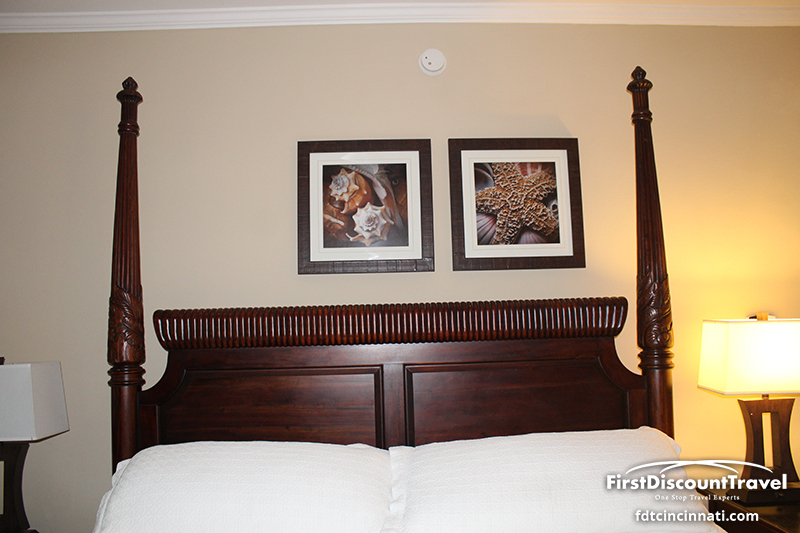 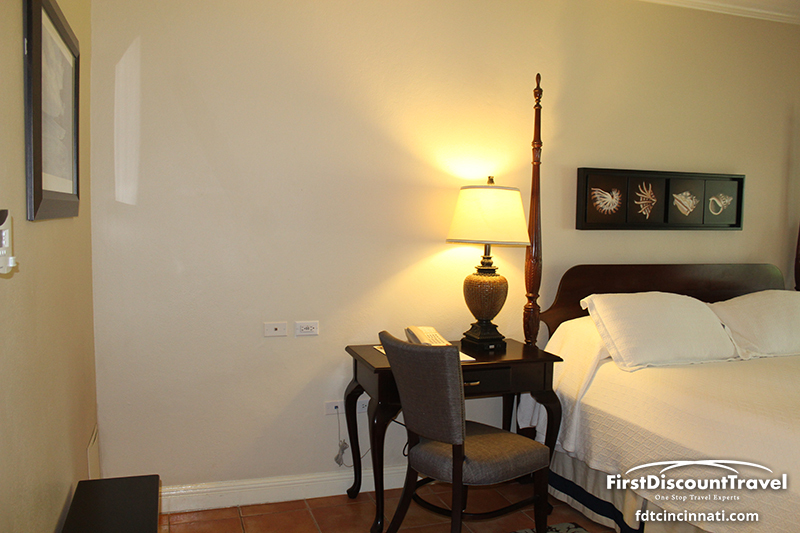 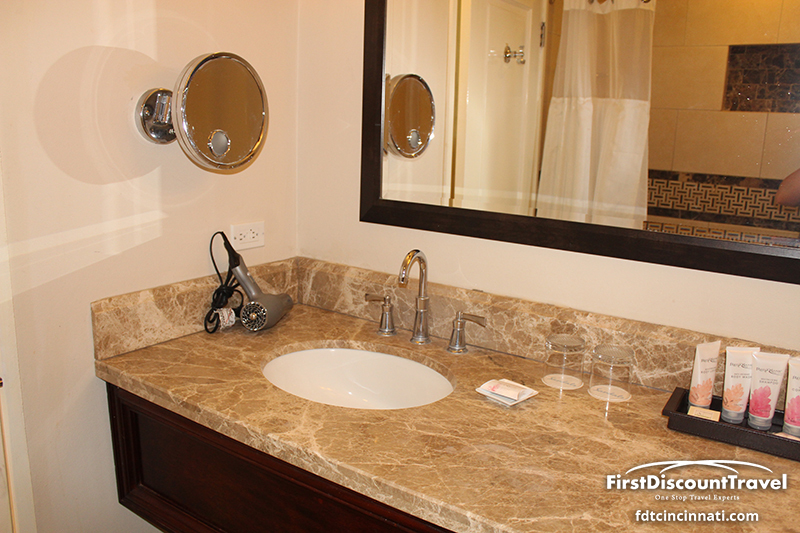 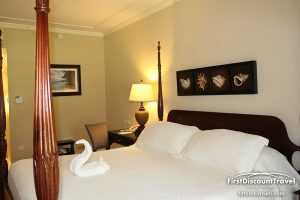 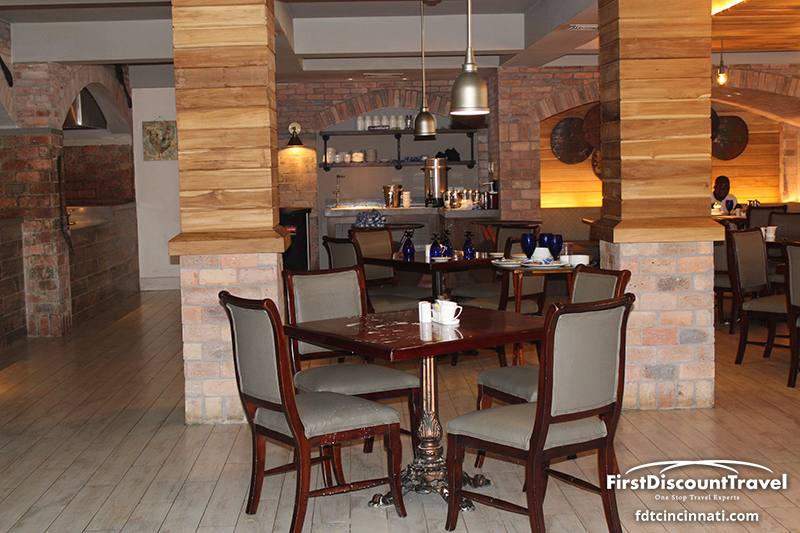 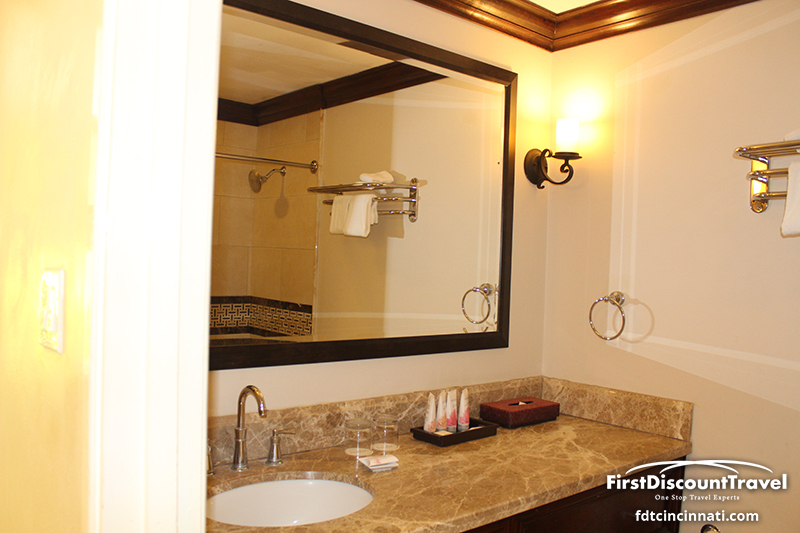 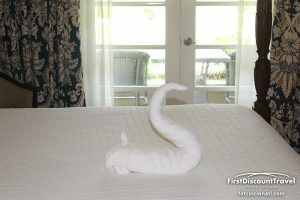 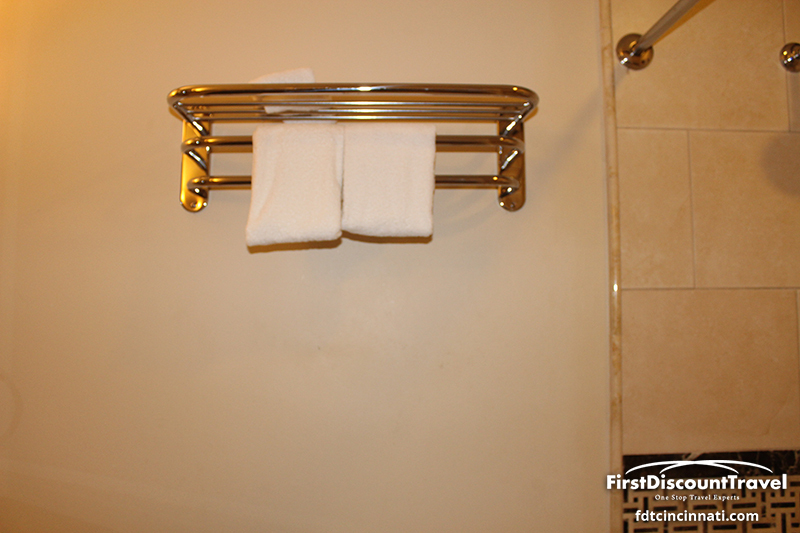 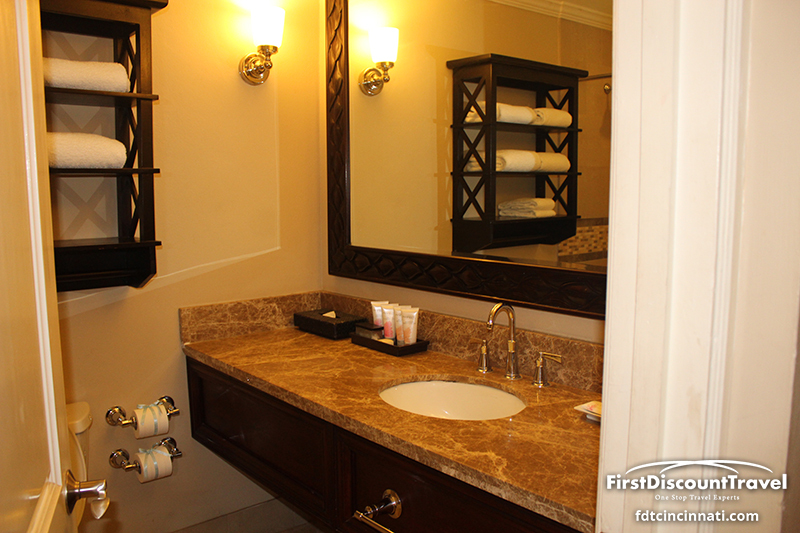 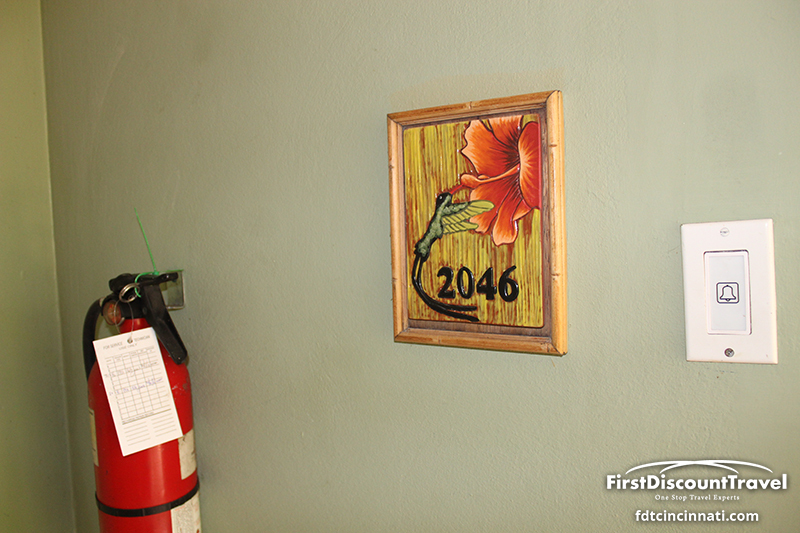 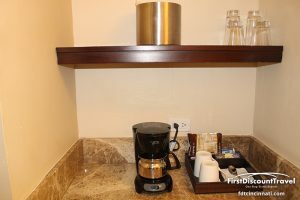 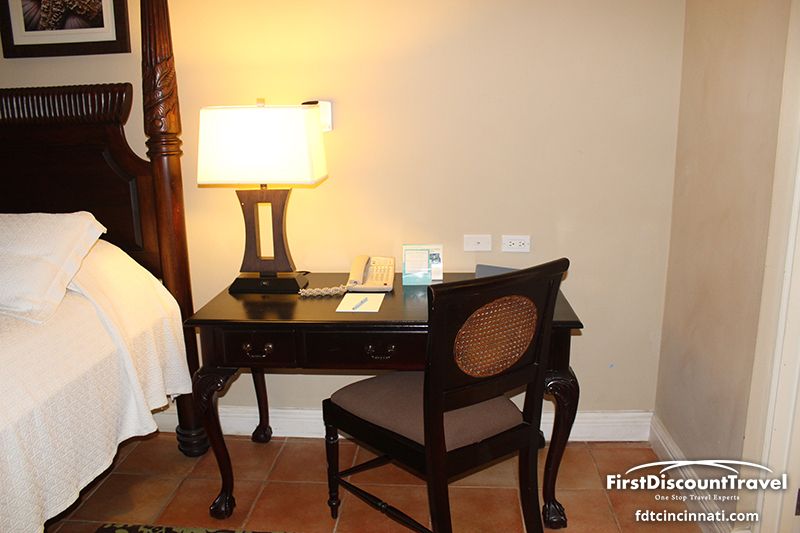 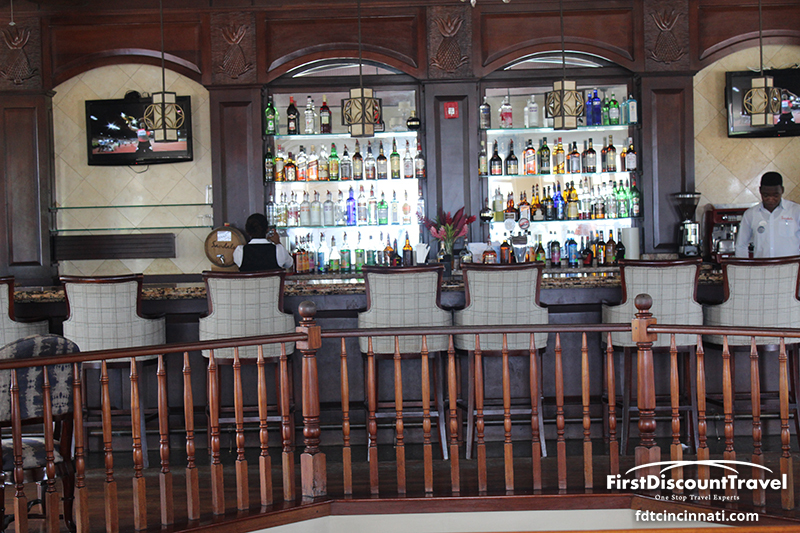 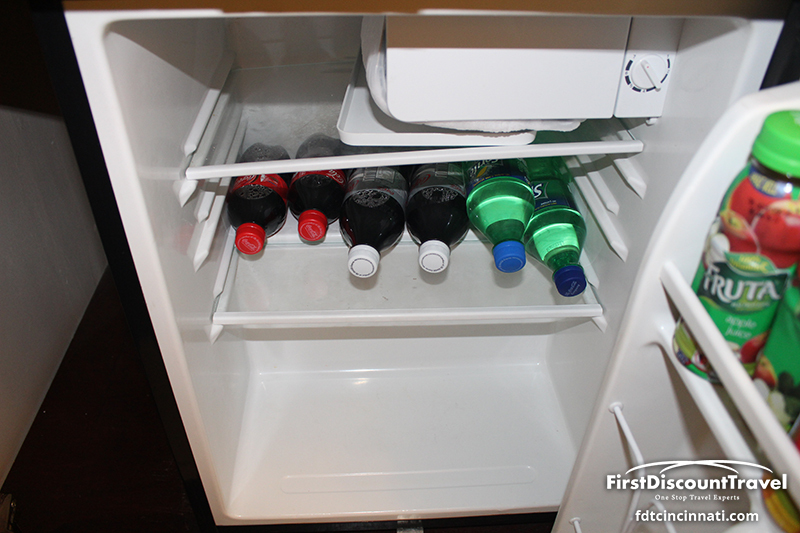 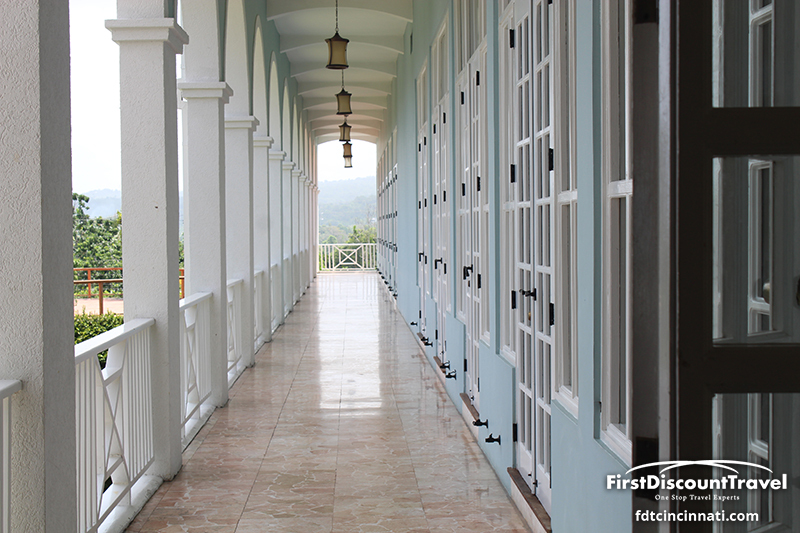 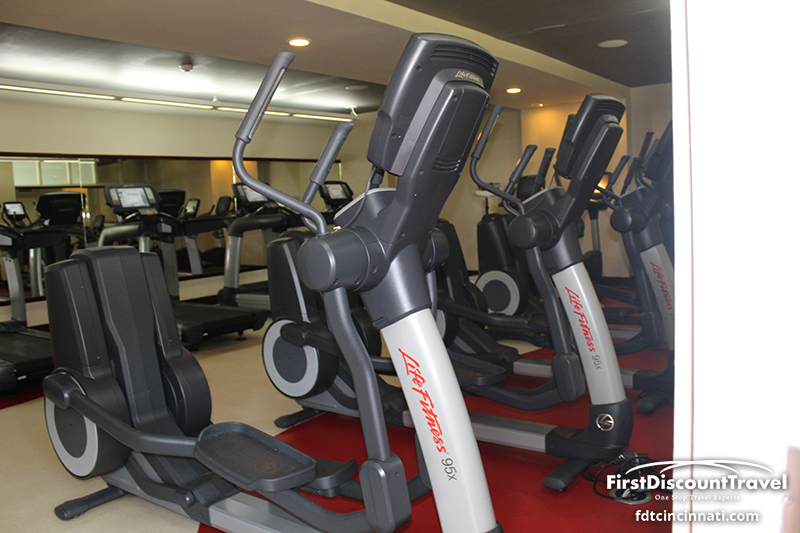 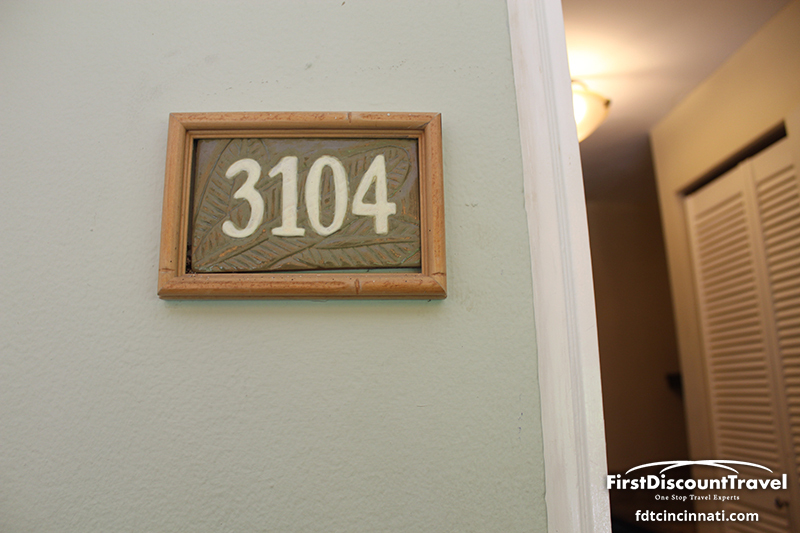 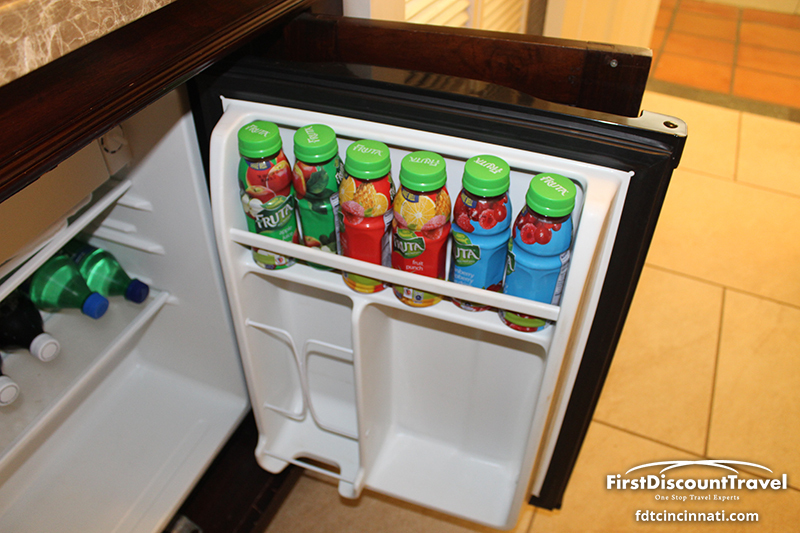 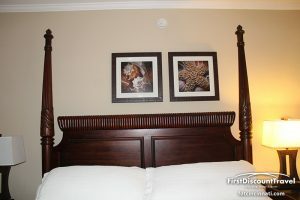 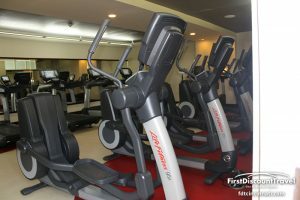 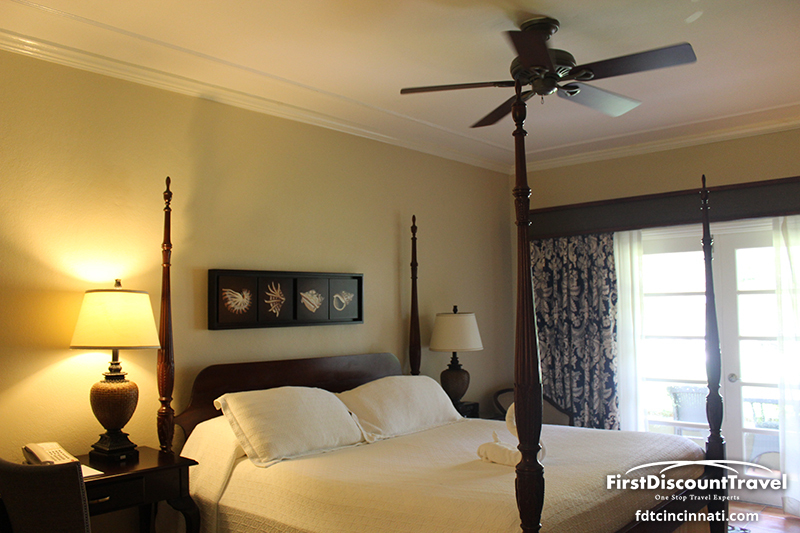 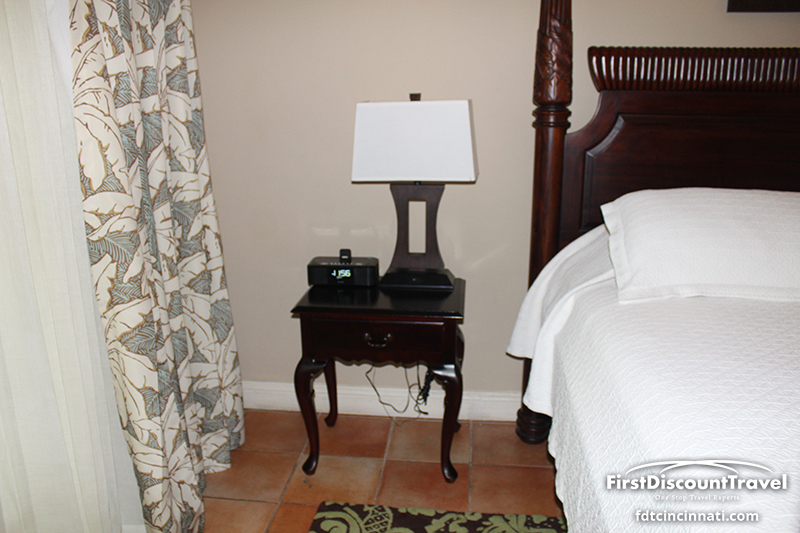 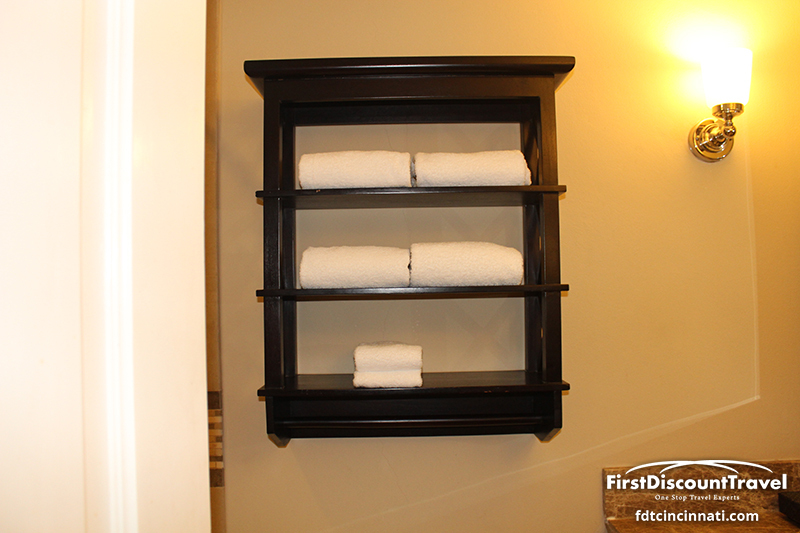 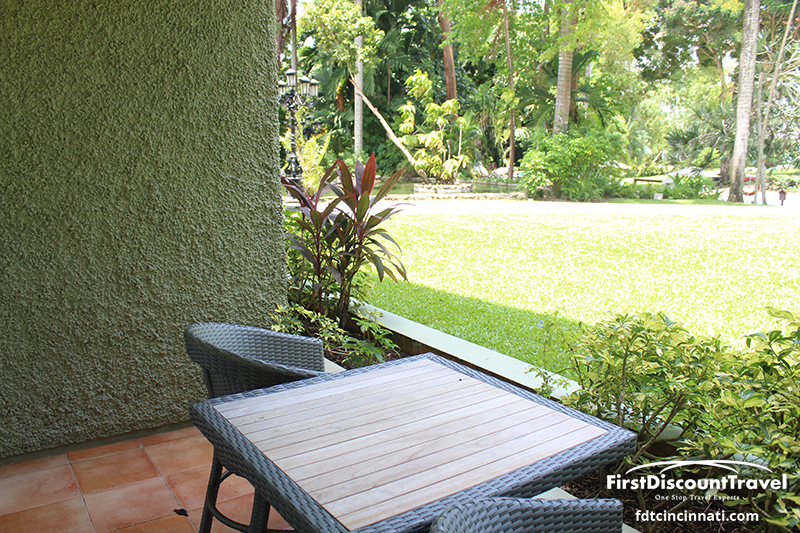 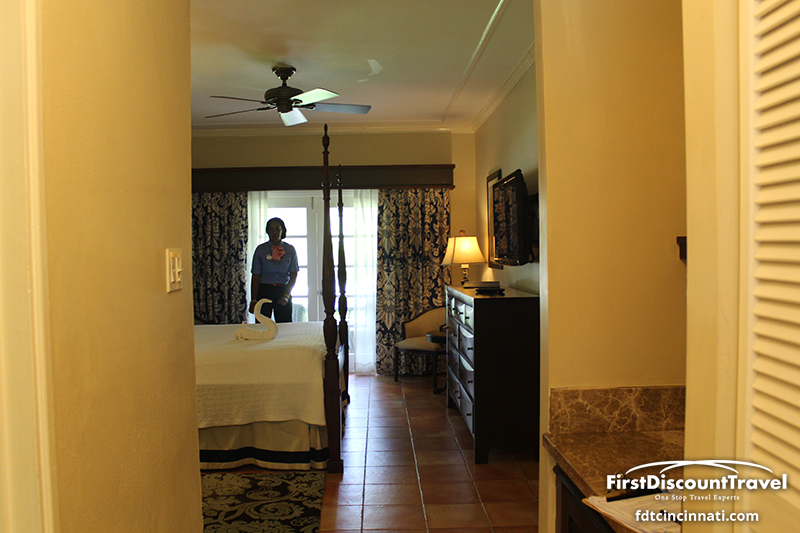 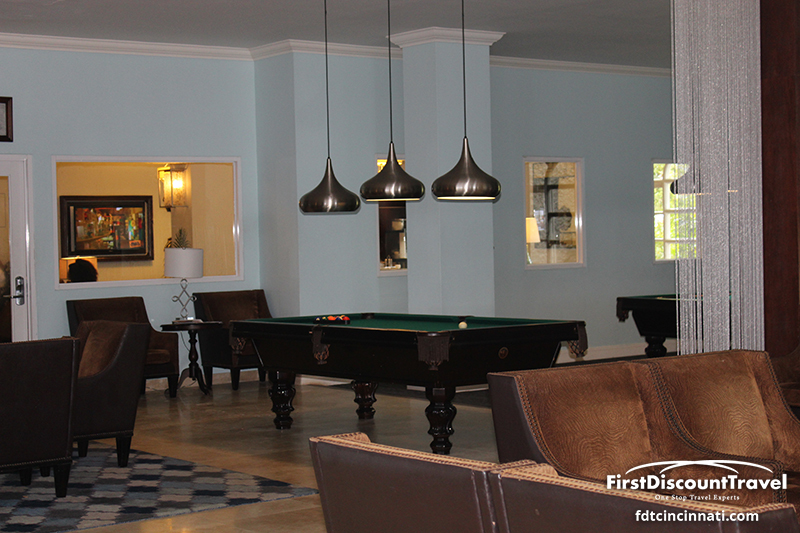 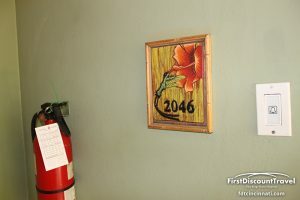 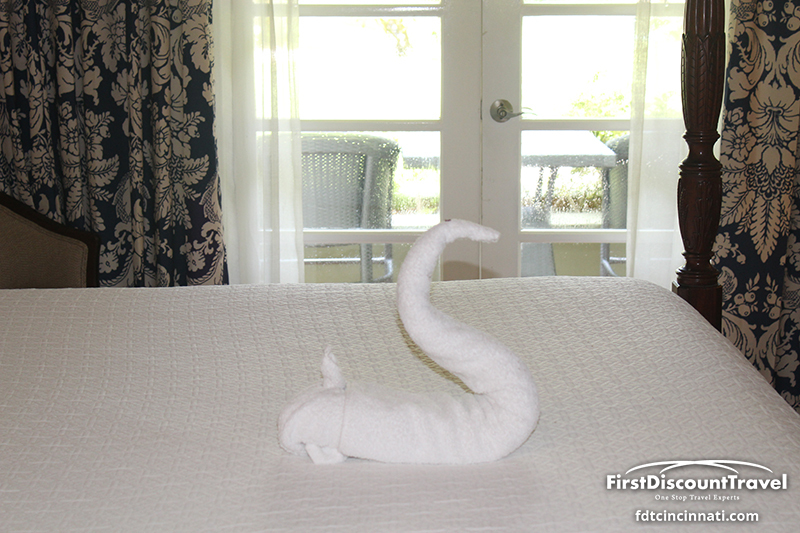 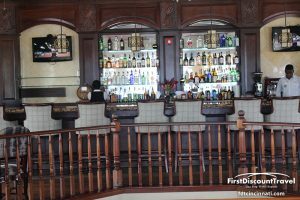 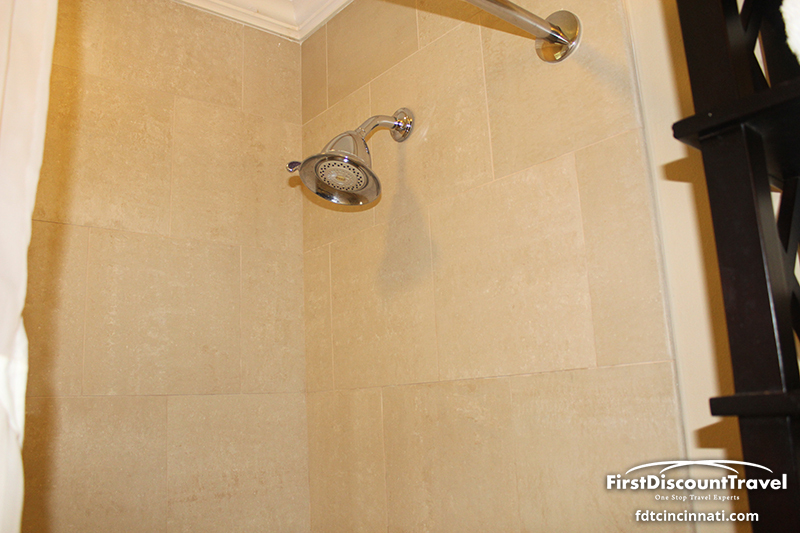 There are two dozen different room categories and many are serviced by the resort’s 72 on staff butlers. 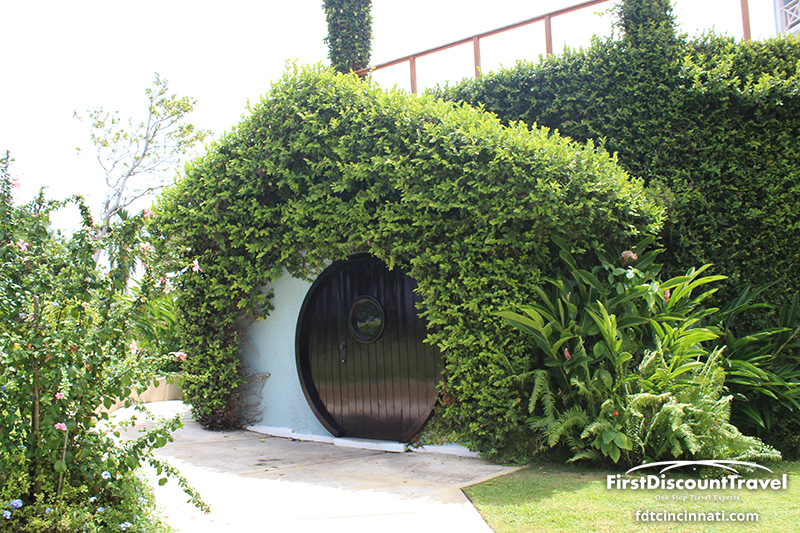 If you’re looking to be pampered by a butler, this is by far the most affordable option. 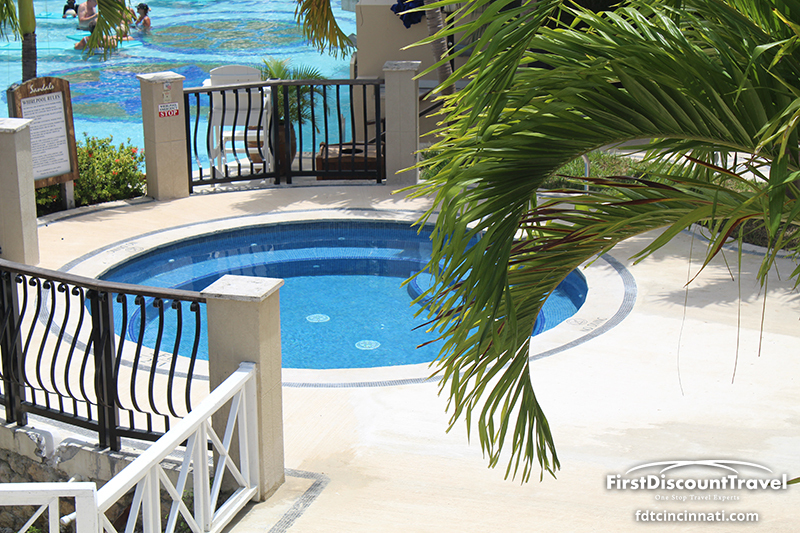 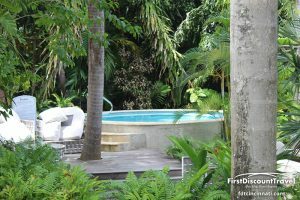 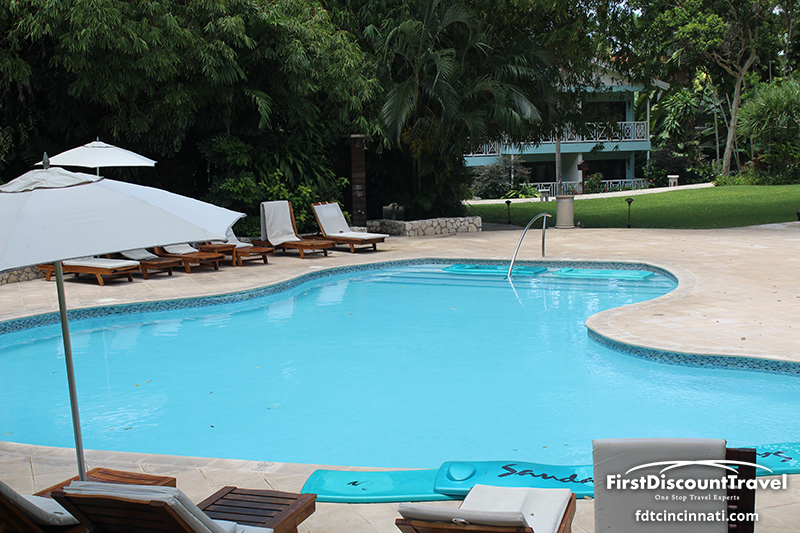 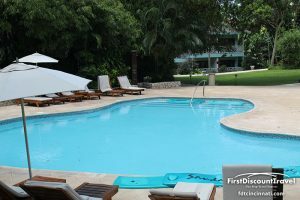 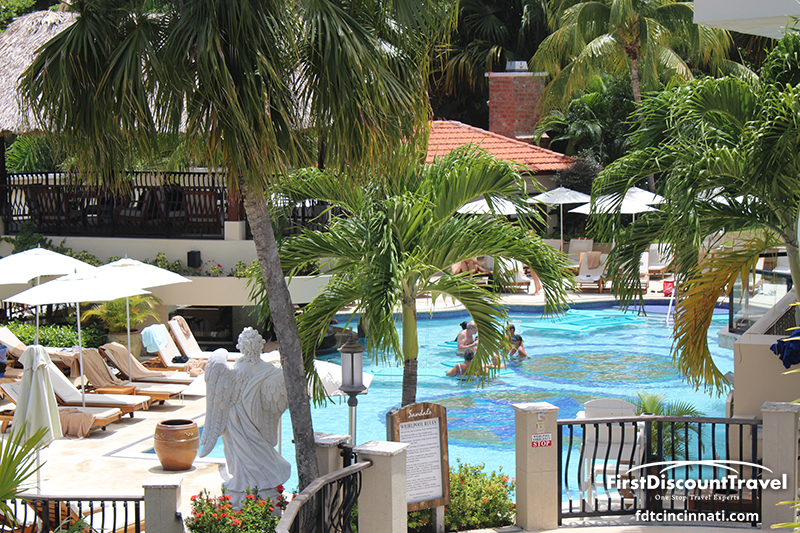 If you’re looking for a suite with private pool, keep in mind only the Romeo and Juliet suites offer private pools. 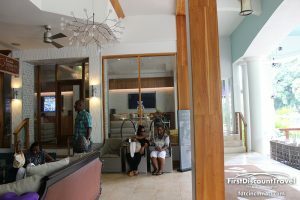 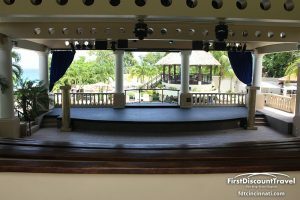 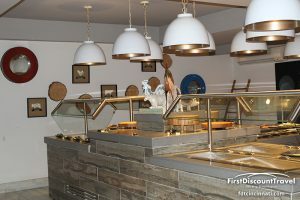 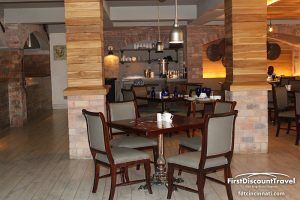 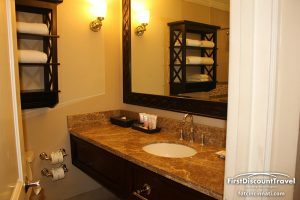 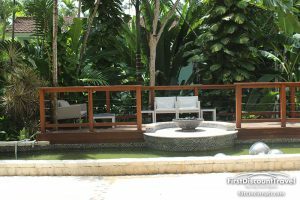 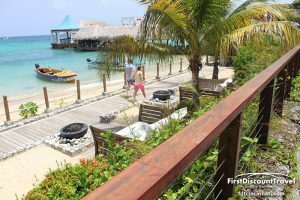 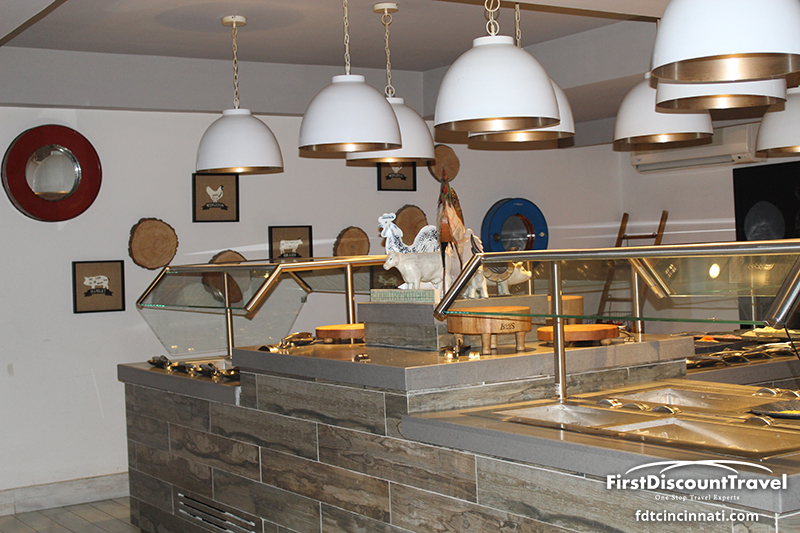 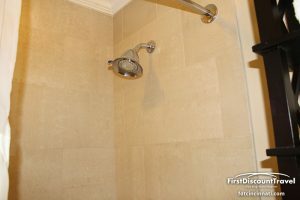 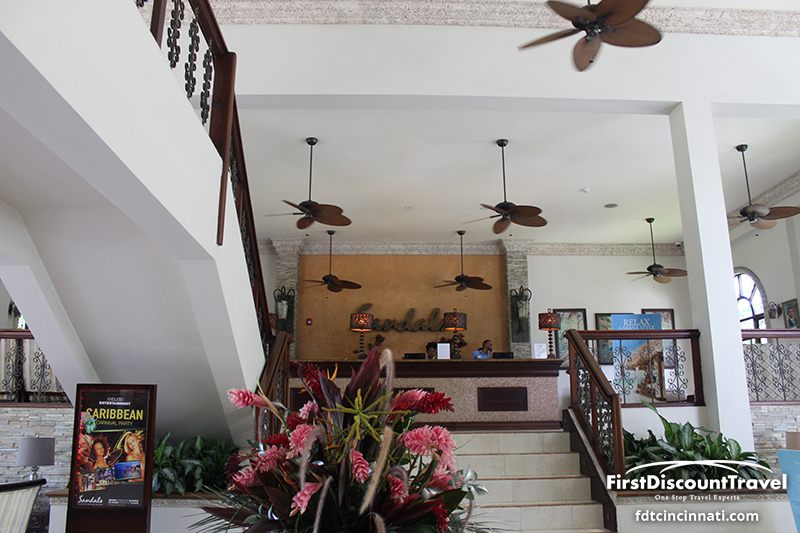 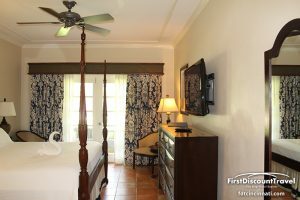 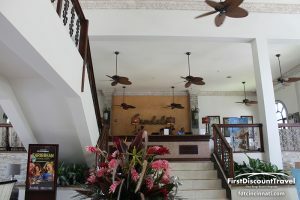 Overall, I really like Sandals Grande Riviera and Sandals did a beyond amazing job with the renovation. 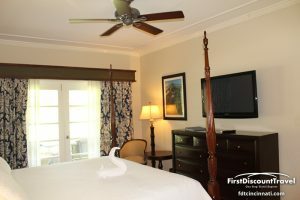 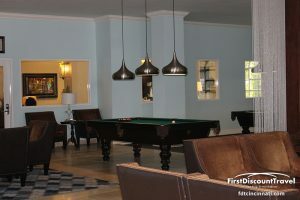 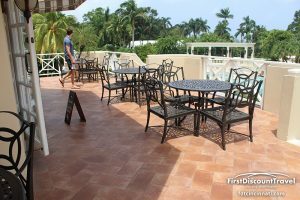 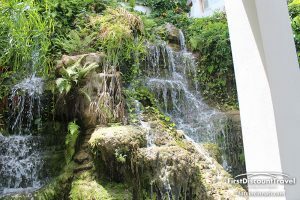 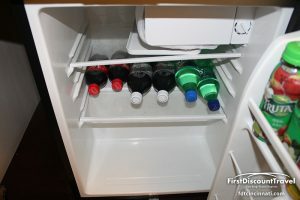 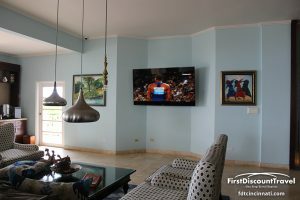 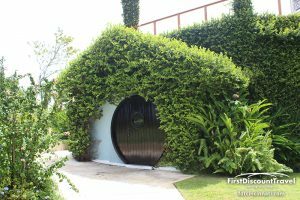 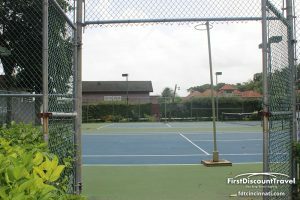 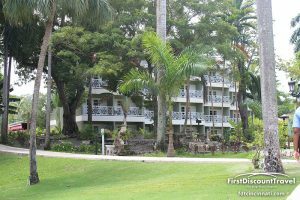 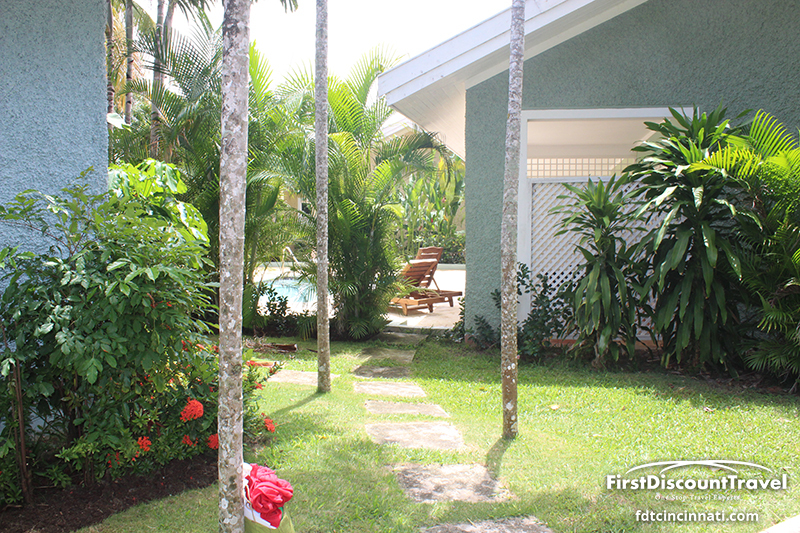 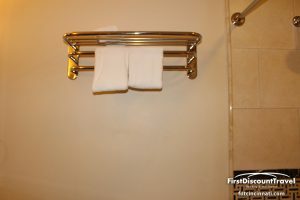 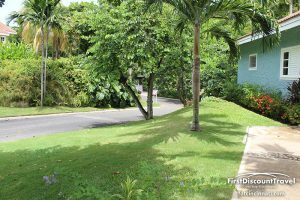 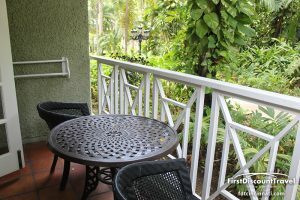 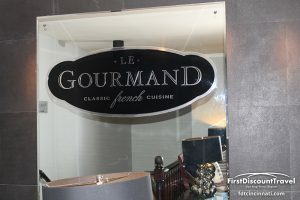 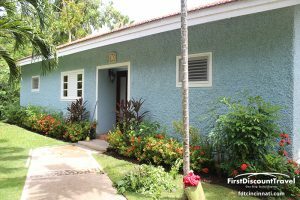 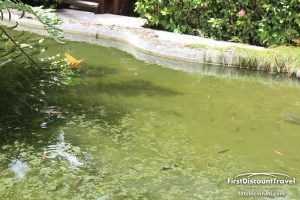 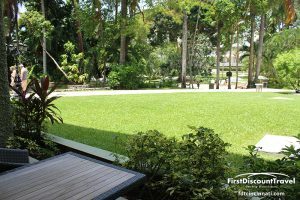 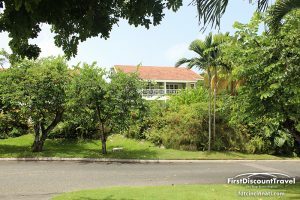 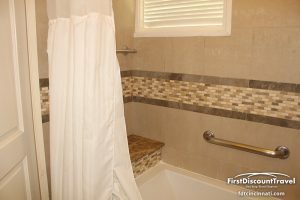 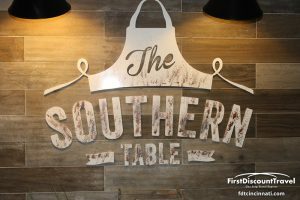 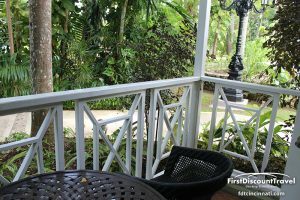 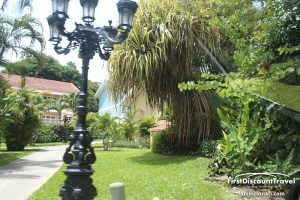 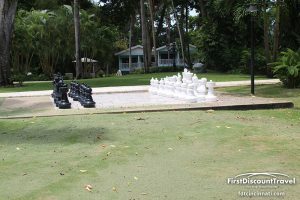 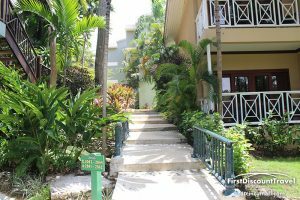 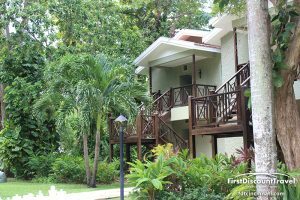 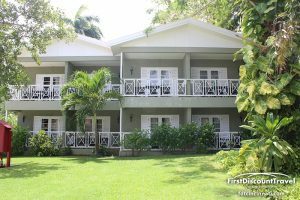 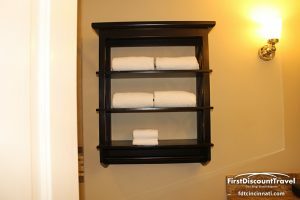 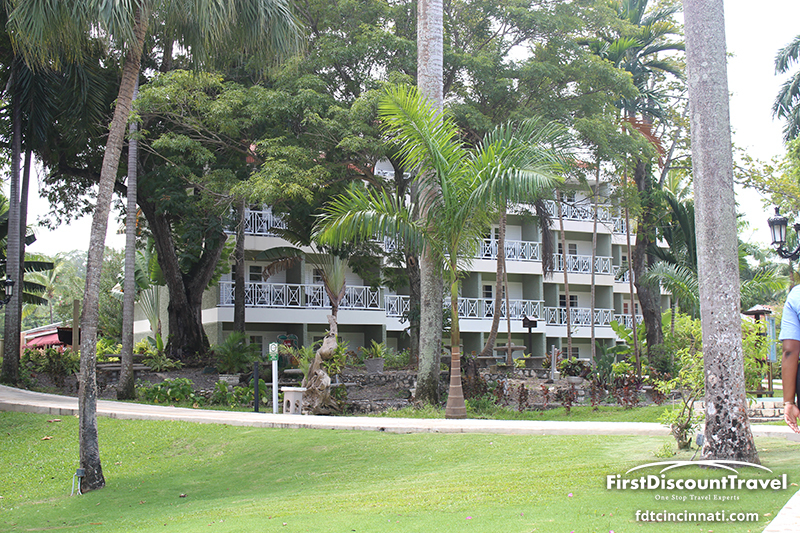 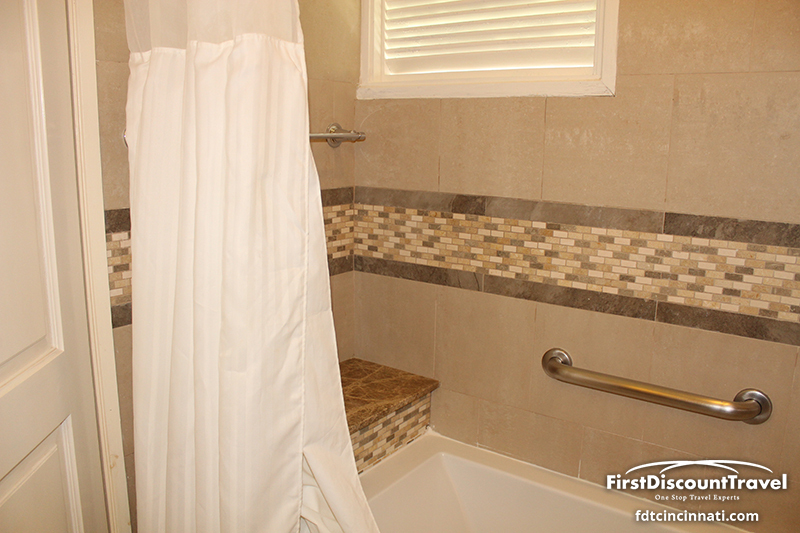 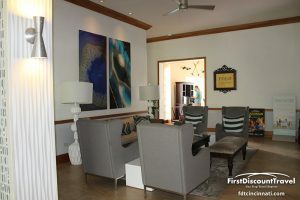 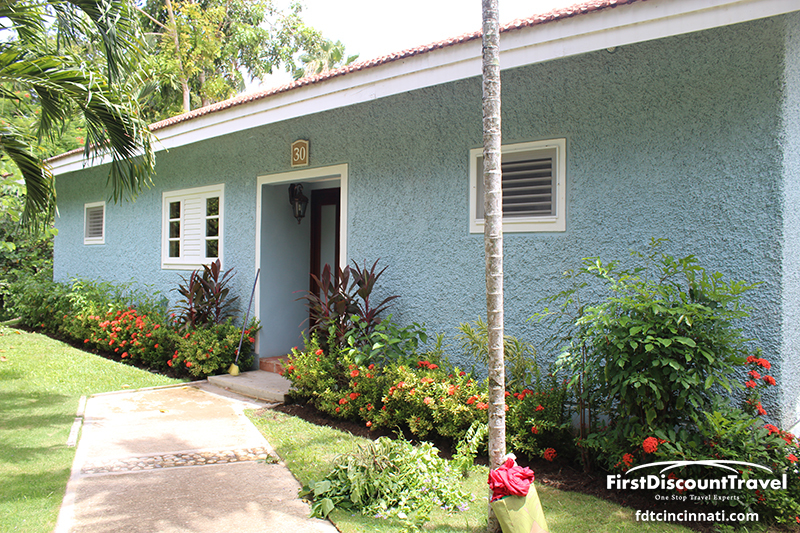 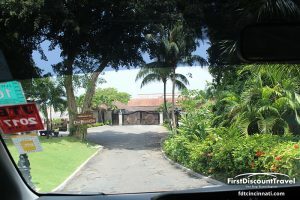 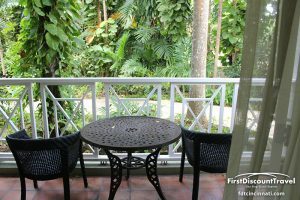 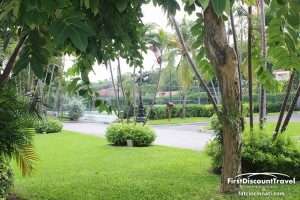 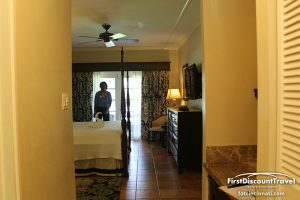 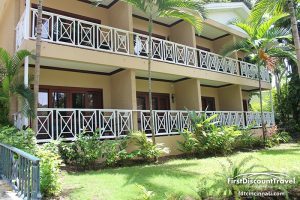 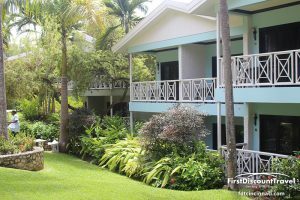 This is a great choice for active guests (both at the resort and wanting to take advantage of the numerous local tours), guests looking for an affordable butler suite, and golfers.